Gift of E.R. 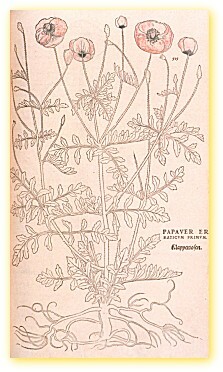 Squibb & Sons and Bristol-Myers Squibb Co.
Gart der Gesundheit is one of the first printed herbals to be published in a vernacular language instead of Latin. 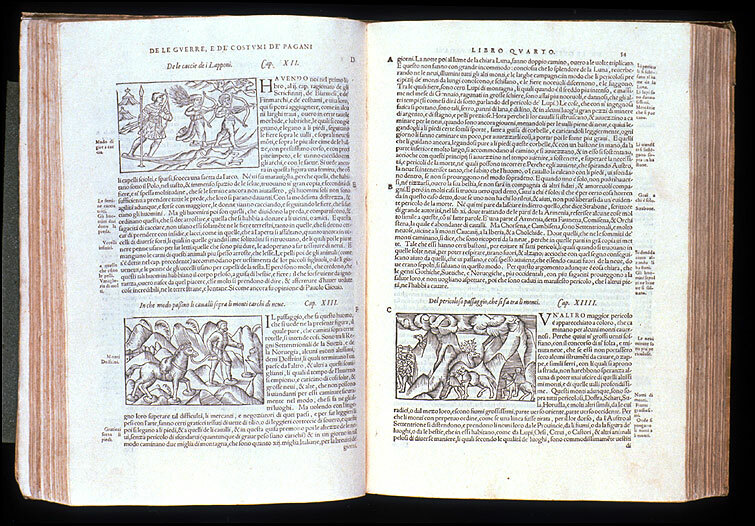 Herbals combined folklore and home remedies, information from classical sources, and religious symbolism into a popular mix of botanical and medical advice. 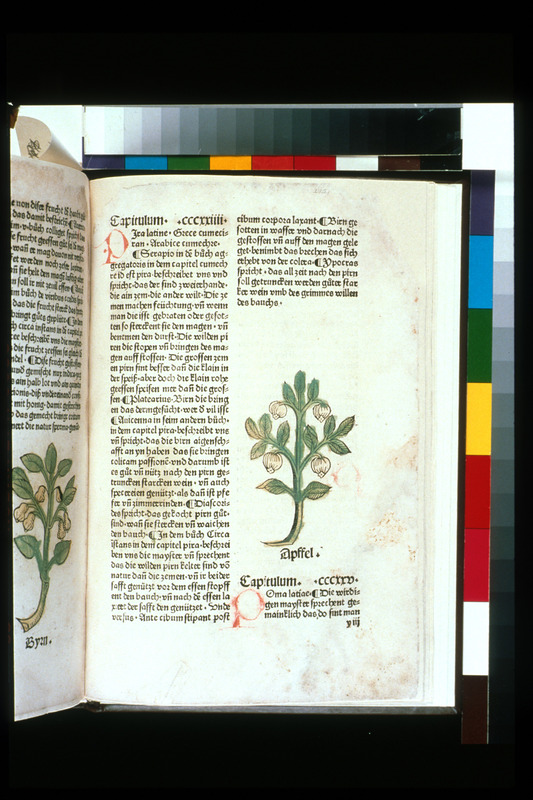 Because text and woodcut images were often copied from earlier works, rather than drawn from nature, herbals became increasingly imprecise over time. While some illustrations remain identifiable, even charming to the modern eye, others are unrecognizable, frustrating both contemporaries and modern researchers. 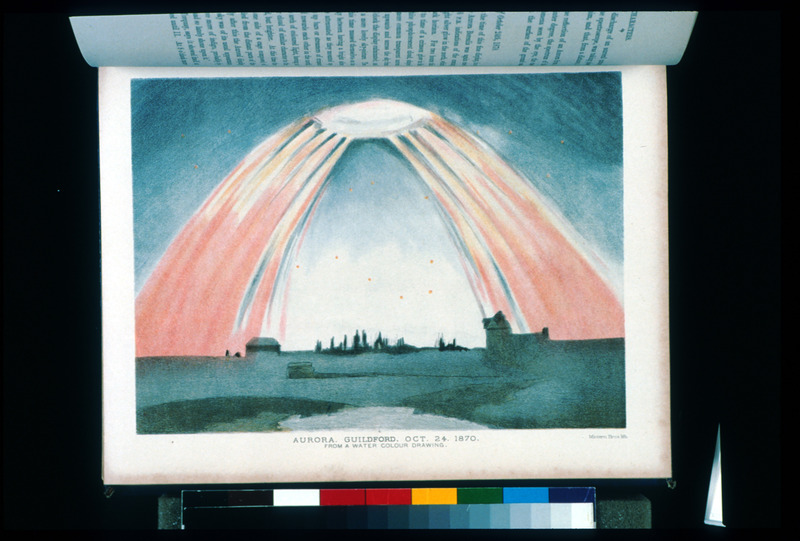 Thirty Plates Illustrative of Natural Phenomena, etc. London: The Society for Promoting Christian Knoledge, 1846. 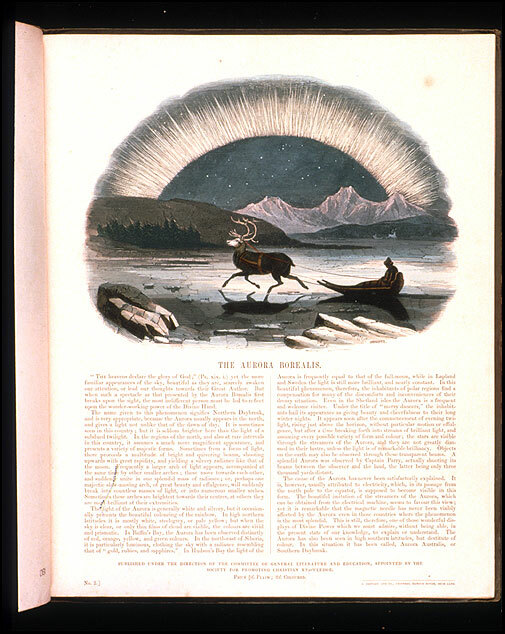 This work contains beautiful color illustrations of various natural phenomena, including icebergs, waterspouts, and glaciers. 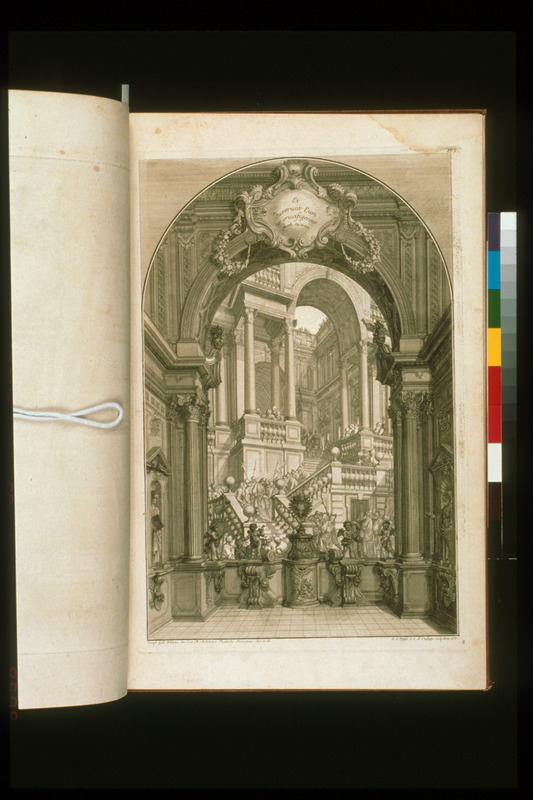 Its publisher, the Society for Promoting Christian Knowledge, was founded in 1698 as an arm of the Church of England. The Society produced not only theological books but also works on popular science, travel, biography, and fiction. Location and Publisher unknown: unknown, 19??. 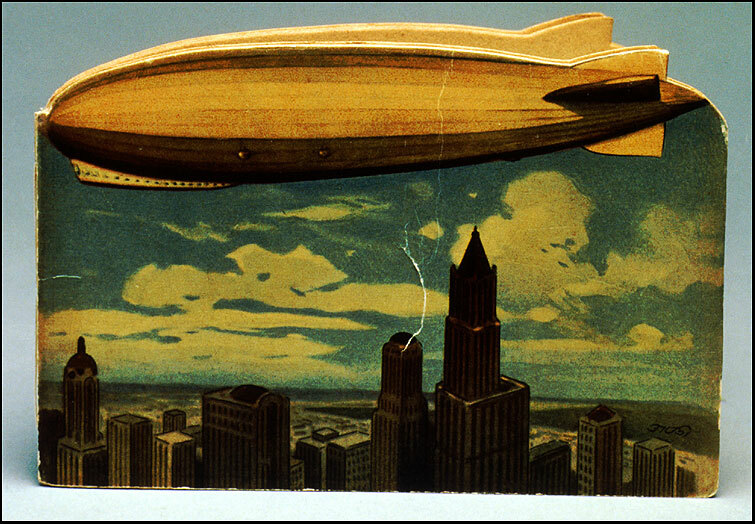 This charming early children’s book celebrates a voyage on a zeppelin, from the Old World to the New. On July 21, 1969, the Apollo XI Lunar Module Eagle landed in the southwest corner of the Sea of Tranquility on the surface of the Moon. The crew consisted of Flight Commander Neil Armstrong, Col. Edwin Aldrin, and Lt. Col. Michael Collins, who later became the first director of the Smithsonian’s National Air and Space Museum. 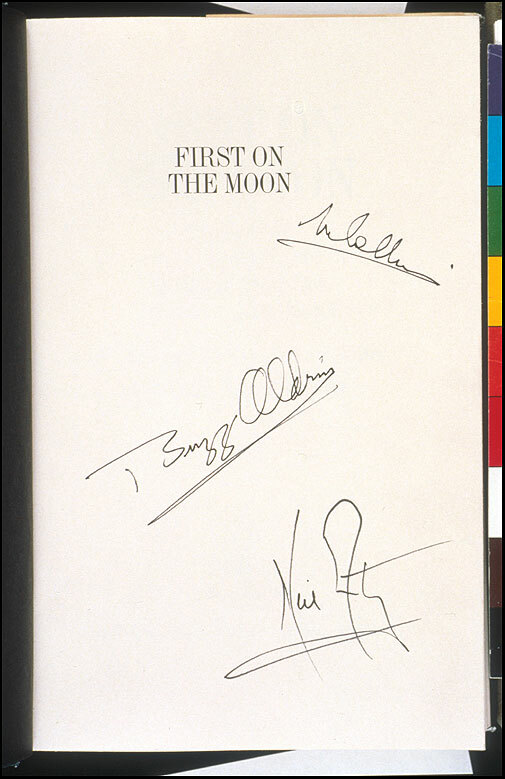 All members of the crew autographed this copy. 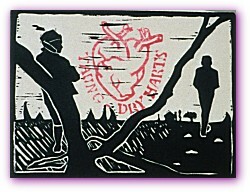 Johannesburg: The Artists’ Press in collaboration with FIG Gallery, 1994. GIF 2 comprises mounted prints, mixed media works, photocopies, and a photograph, covered in brown paper and contained in a wooden slip case by Michael Zeffertt, with bronze animal hooves by Guy du Toit attached to front and back. This volume creatively gathers original artworks, signed and numbered by 18 artists, into a book representing modern African art. 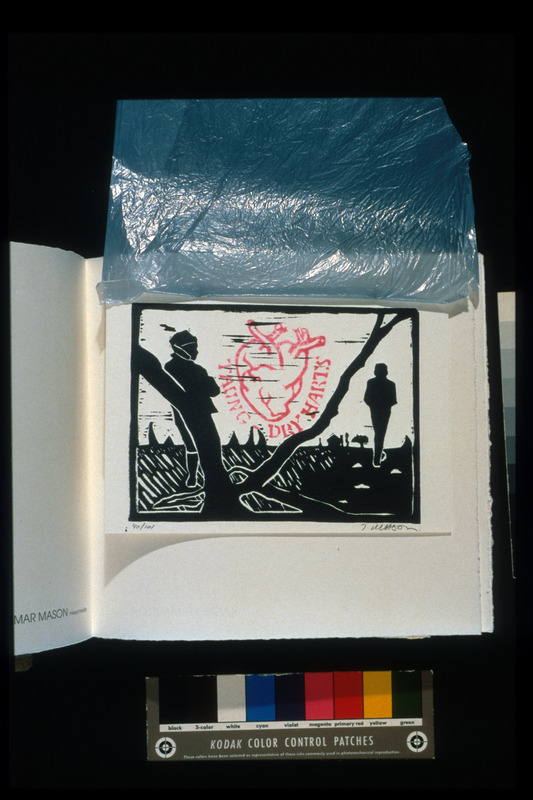 The National Museum of African Art Library has one of the most comprehensive reference collections dealing with contemporary African artists and serves Smithsonian and other researchers worldwide. Troy, N.Y.: Koninsky Music, 1907. 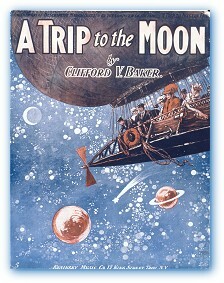 In this fanciful speculation about traveling to the moon in a dirigible, the travelers show no ill effects from their exposure to the cold vacuum of space. In fact, they appear to be greatly enjoying their expedition. 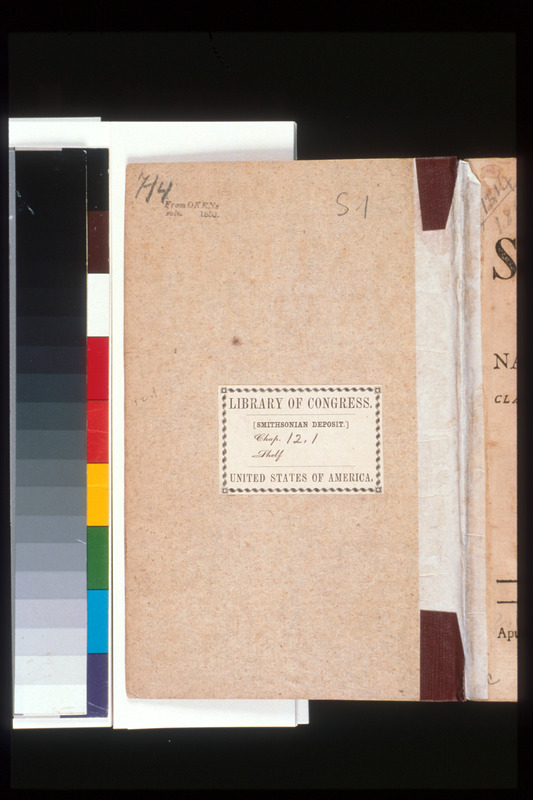 The National Air and Space Library began as a collection of publications that accompanied aeronautical artifacts. 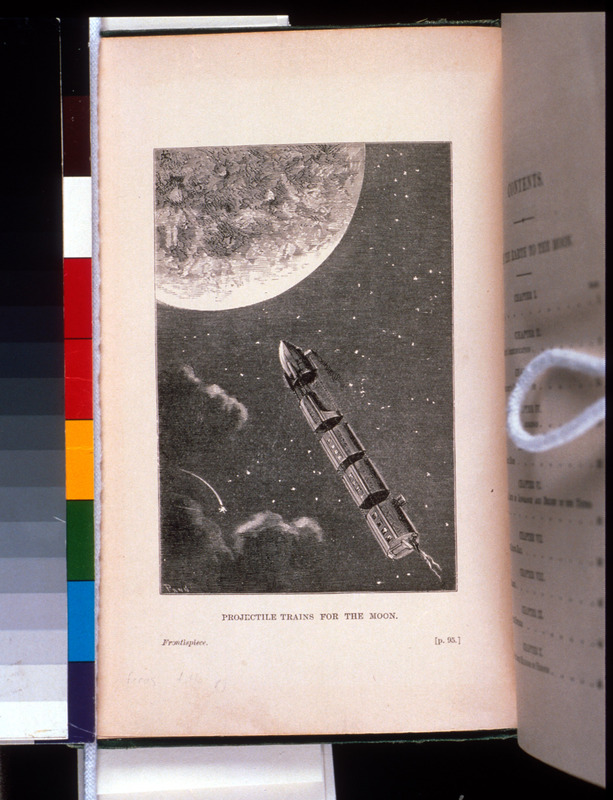 Augmenting research on both early space flight and regular flight, the library also assists the work of cultural and military historians. 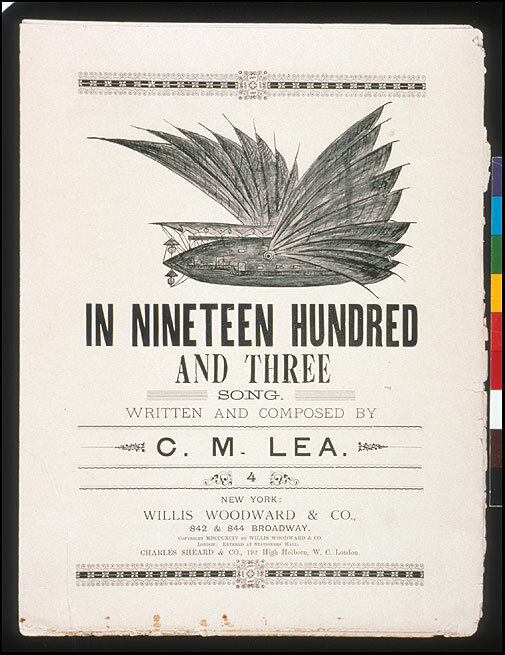 Its Bella Landauer collection of aeronautical sheet music vividly conveys the general public’s great enthusiasm for manned flight and other scientific achievements. Chicago and San Francisco: 1893. 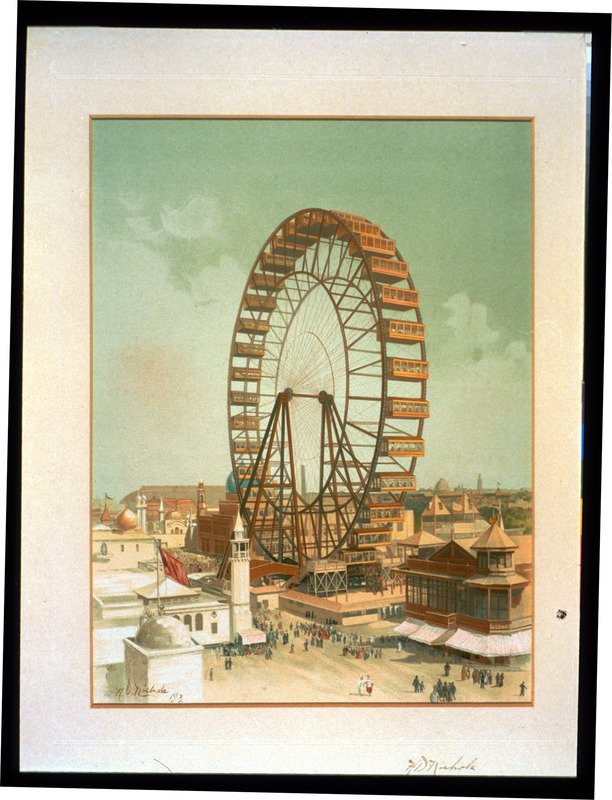 This standard history of the Chicago World’s Columbian Exposition was presented as a limited edition to fair officials and sponsors. Supplemented with 100 folio prints, among them signed etchings and photogravures, it is both a record of the fair and a fine example of chromolithography, or color printing. Documenting technological advances, industrial achievements, and popular entertainment, such publications record the world view of a period. 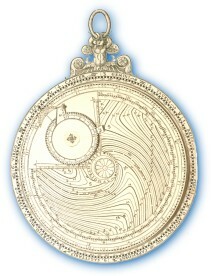 Lyon: Jean de Tournes, 1599. 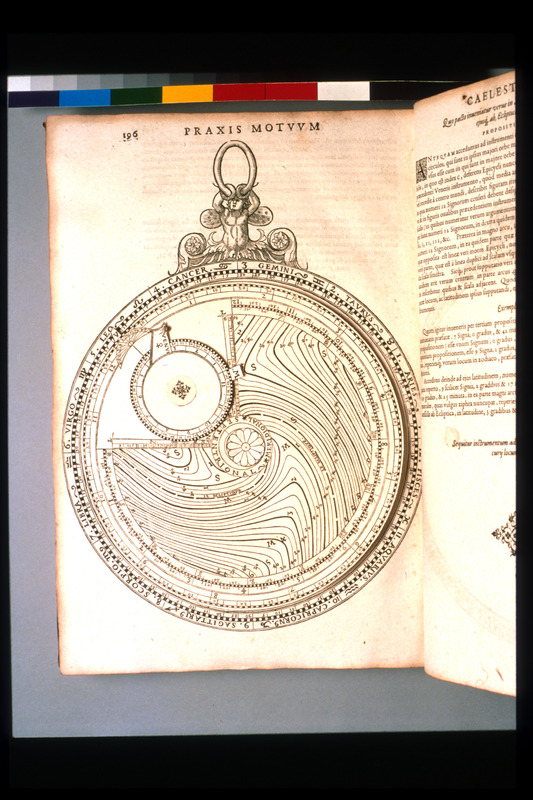 Printed paper instruments called volvelles provided astronomers with the positions of the Sun, Moon, and planets, freeing them from performing lengthy calculations derived from planetary tables. 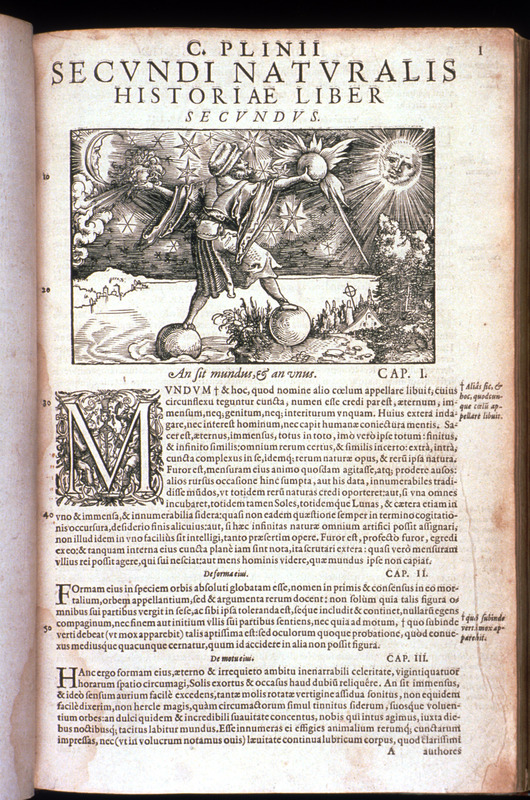 Bassantin’s work, a general overview of astronomy, partly copies Petrus Apianus’s Astronomicum Cæsareum of 1540. 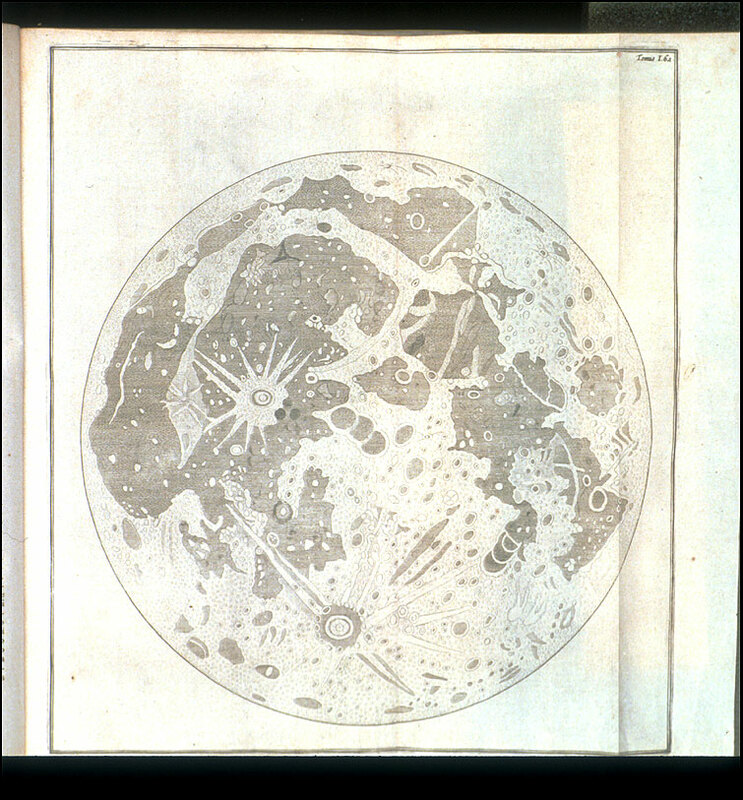 The Irish astronomer William Molyneux (1656-1698) once owned this copy. London: John Murray, 1863. 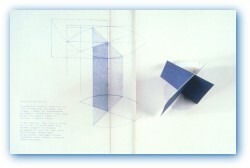 2 vols.. 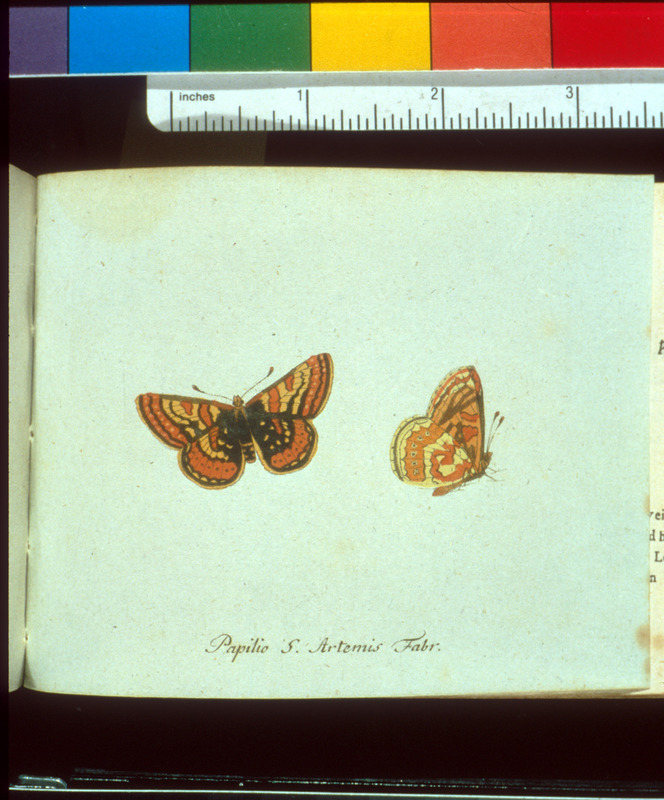 The Englishman Henry W. Bates, fascinated by entomology since childhood, traveled with naturalist Alfred Russel Wallace to Brazil in 1848. He stayed for 11 years, collecting butterflies and other insects in the Amazon rain forest. Despite ill health and unimaginable difficulties, he collected specimens of more than 10,000 animal species, 8,000 of which were new to Western science. 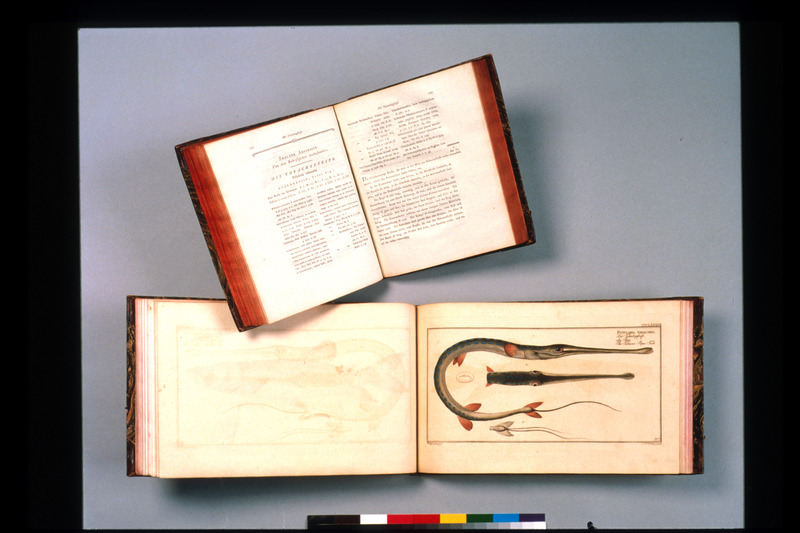 By training an apothecary and botanist, Belon is also recognized by modern science as the founder of comparative anatomy and embryology in animals. He was one of the first naturalist-explorers, and his observations made this book the most thoroughly documented account of the eastern Mediterranean at the time. 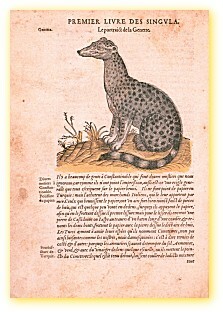 First published in 1553, Observations was re-printed the following year with illustrations. 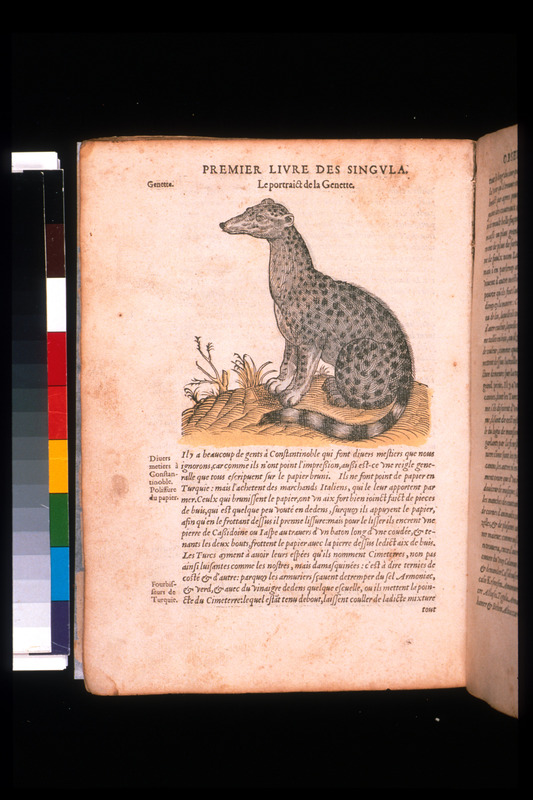 This woodcut accompanies the first scientific description of the giraffe, known in medieval bestiaries as the "cameleopard." Berlin: Hr. Hesse, 1782-95. 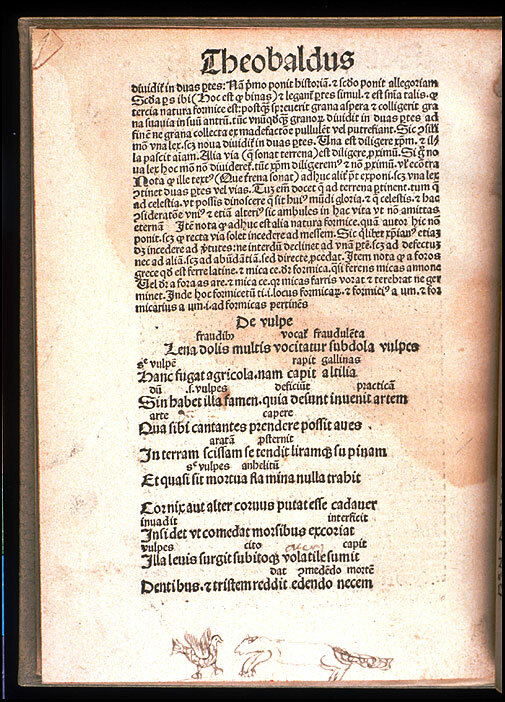 4 vols. and atlases. 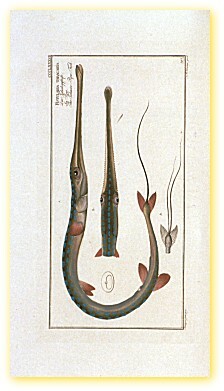 Bloch’s work is one of the high points in the history of ichthyology, both graphically and taxonomically. 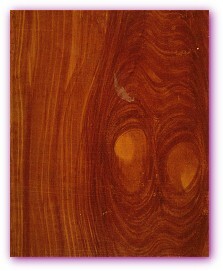 It is still in use as a standard reference for identification. 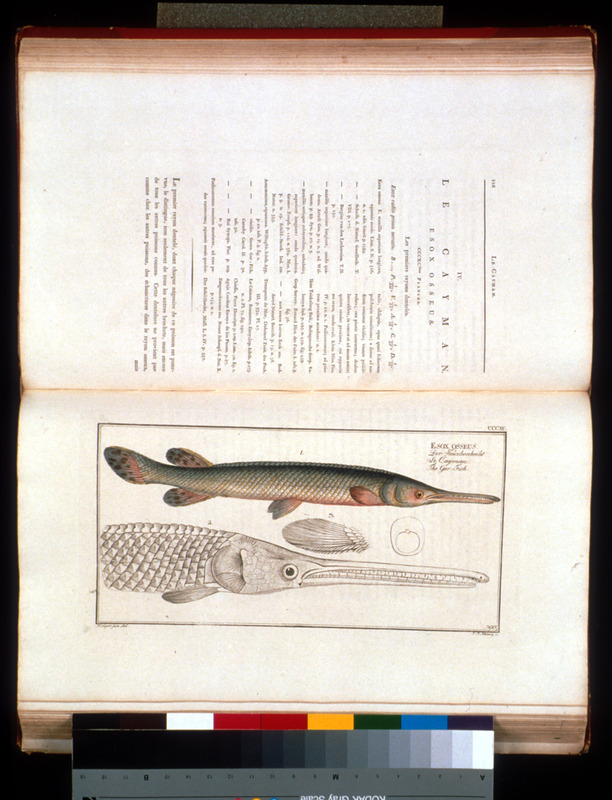 Bloch described fishes from all over the world, relying on numerous contacts around the globe. In all, he listed more than 169 new species. 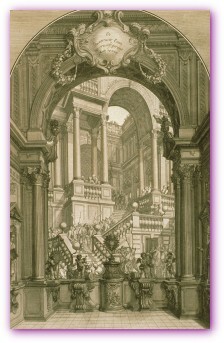 A French edition, published in Berlin in 1785–97, allowed the work to reach a wider audience. Various engravers produced the plates in a remarkably consistent style over a 12-year period. The Smithsonian is one of only nine institutions in the world to hold a complete set of the original German editions and one of only two libraries to hold both the German and the French. 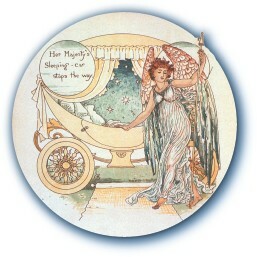 Chromolithography, a color printing technique of the mid-to-late 1800s, often resembles an oil painting or watercolor. 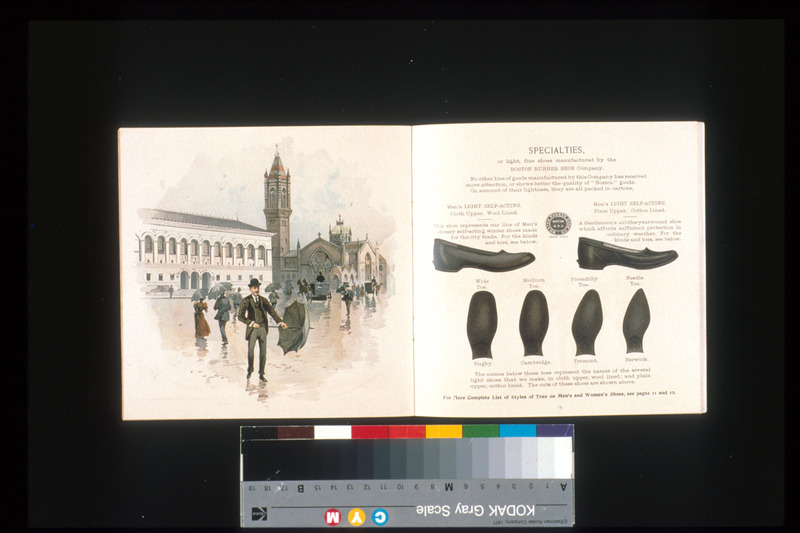 This Boston Rubber Shoe Company catalog used chromolithographs to great effect. 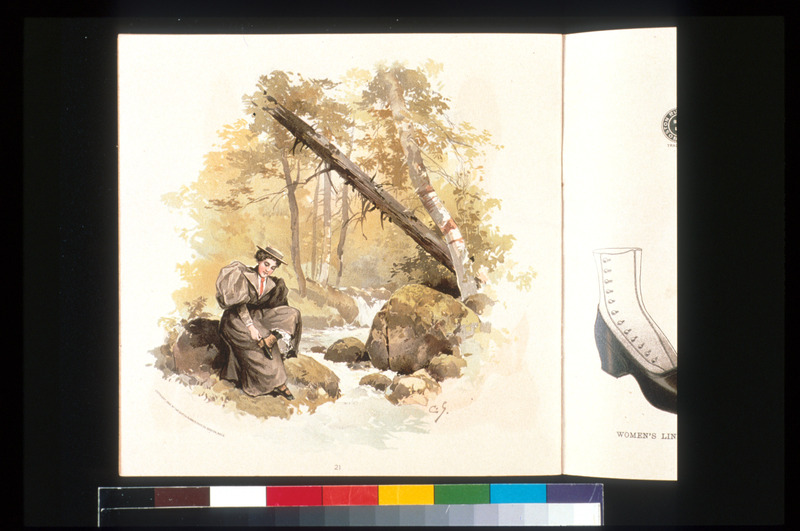 To illustrate the variety and appropriateness of its boots for different outdoorsmen, the Boston Rubber Shoe Company depicted them on fishermen, hunters, and loggers. 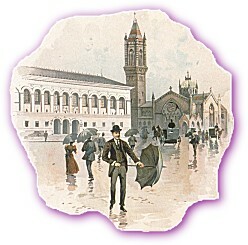 In another approach, similar to today’s life-style advertising, the company pictured young women out in nature or paired proper Bostonians on rainy days with famous city landmarks, such as the Boston Public Library. Buck Rogers, 25th century, featuring Buddy and Allura in "Strange Adventures in the Spider Ship"
Chicago: Pleasure Books, [about 1935]. 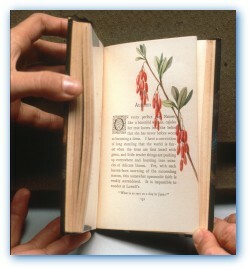 Children’s pop-up books are an old printer’s technique used to surprise and charm the reader by breaking the surface of the page. 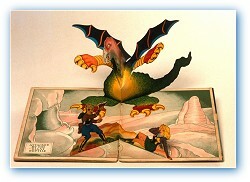 A number of pop-up books in the 1930s re-created popular fairy tales and comic strips. Just as in early printed books, monsters terrify travelers to new lands and bizarre creatures terrorize voyagers in outer space. In this episode from the beloved science-fiction comic strip Buck Rogers, Buck's friends Buddy and Allura battle insect-like space aliens. London and New York: E. & F.N. 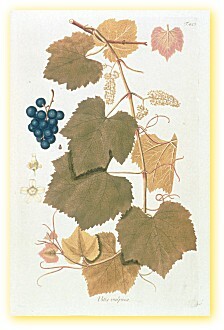 Spon, 1879. 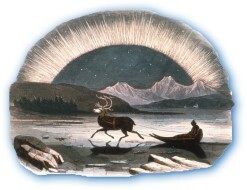 Early voyagers to the polar regions often saw the northern lights, a remarkable luminous display that some considered to be mists emanating from the earth. 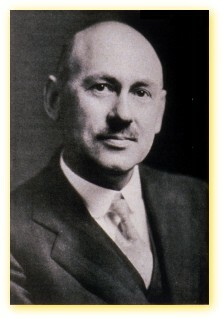 Capron was one of the first scientists to discuss the chemical and physical nature of the phenomenon. By the 1950s, it was accepted that the northern lights are caused by the interaction of high-energy electrons from the Sun with atoms in the Earth’s upper atmosphere. 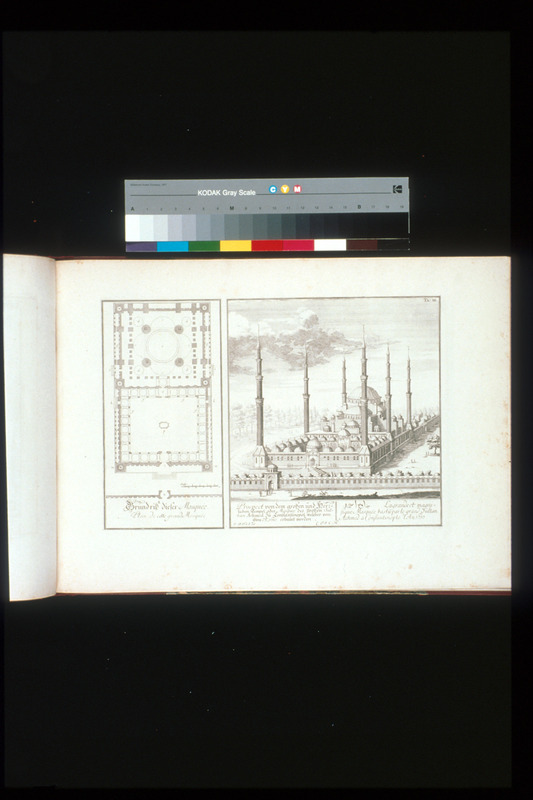 London: for the author, 1731-43 [1729-48]. 2 vols.. 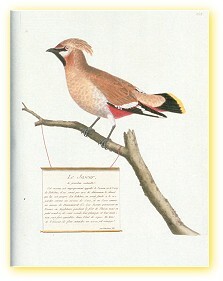 The two-volume magnum opus of Mark Catesby is the product of one man’s dedication and effort, from his years of travel and research to his hand-coloring of the printed plates (which he learned to etch himself so as to implement his own technique for indicating feathers). 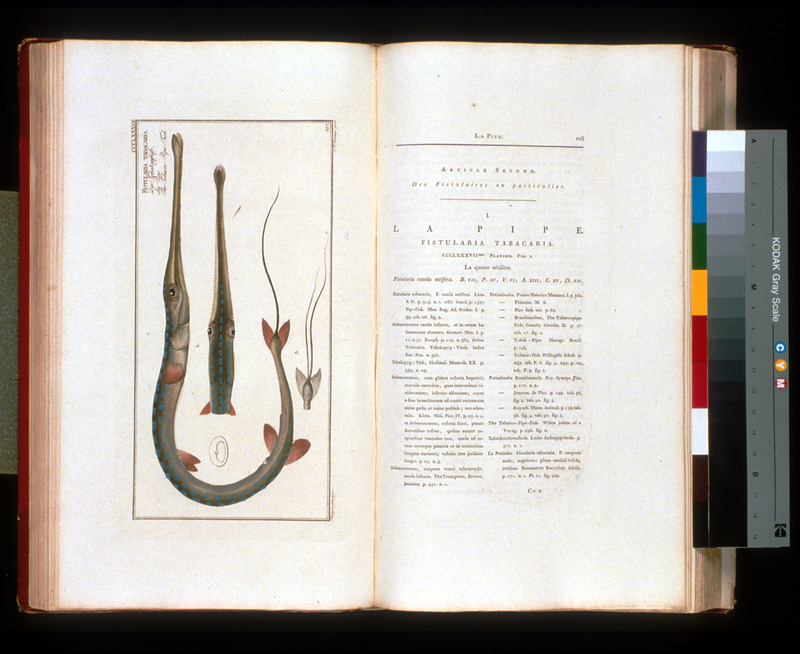 Eighteenth-century classifier Carolus Linnaeus cited more than a hundred of his species descriptions, and the book is the first fully illustrated work on the flora and fauna of southeastern North America. 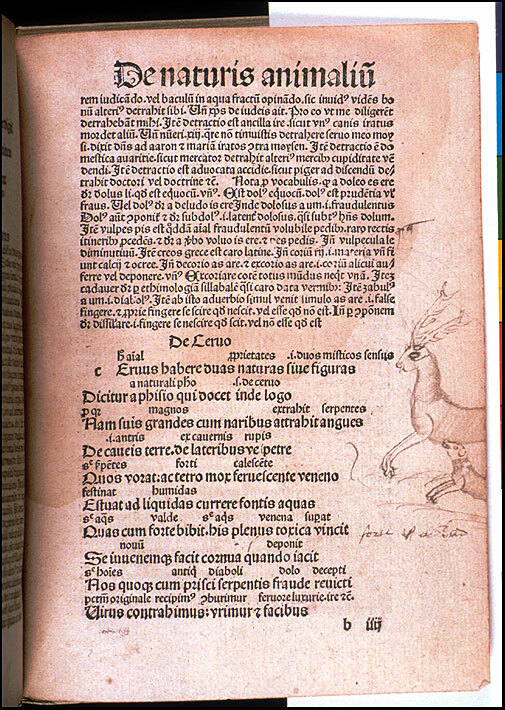 Plants and animals often are grouped in their natural associations, and the folio format allowed many species to be depicted lifesize. 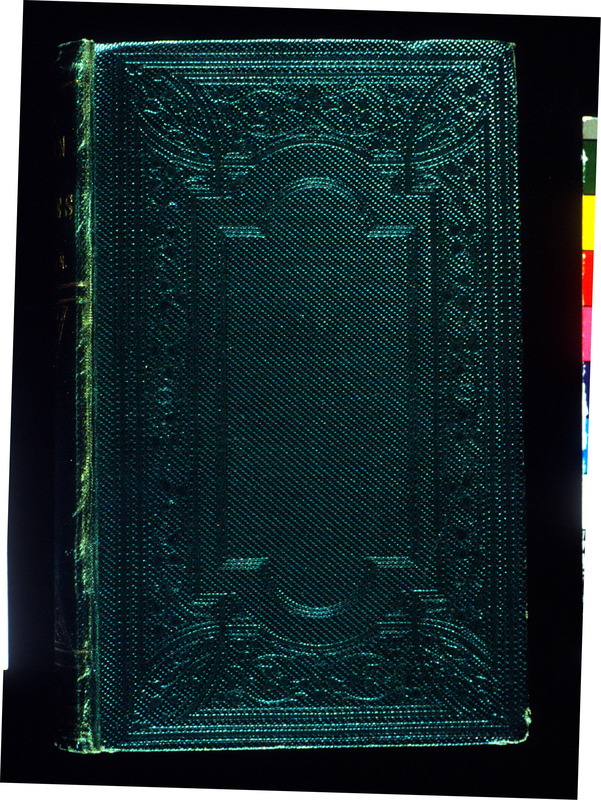 The Smithsonian Libraries holds a magnificent copy of the first edition, complete with the rare prospectus and the advertisement for the Appendix, in a contemporary full-leather binding. 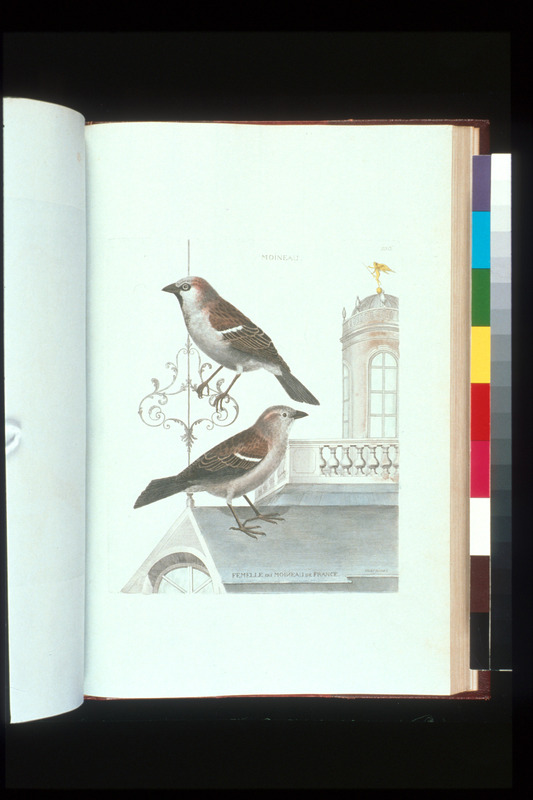 The book has a distinguished provenance that traces back to the Abdy family, noted for its support of natural history publications in 18th-century England, and more recently to noted ornithology-book collector Evan Morton Evans (1870-1955). Springfield, Mass: McLoughlin Bros., 1952. 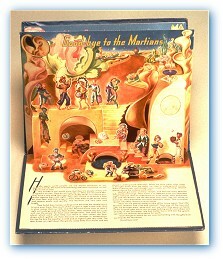 Many of Clyne’s colorful pop-up books center on the adventures of the Jump-Ups, a typical American family of the 1950s. 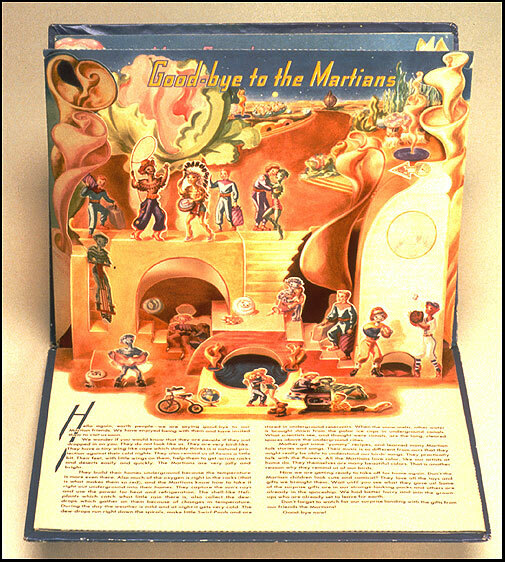 In this book, one of a collection of nearly 600 pop-up and books with moveable parts donated to the Cooper-Hewitt, National Design Museum Library in the 1980s, the Jolly Jump-Ups journey to Mars, where they encounter friendly aliens. 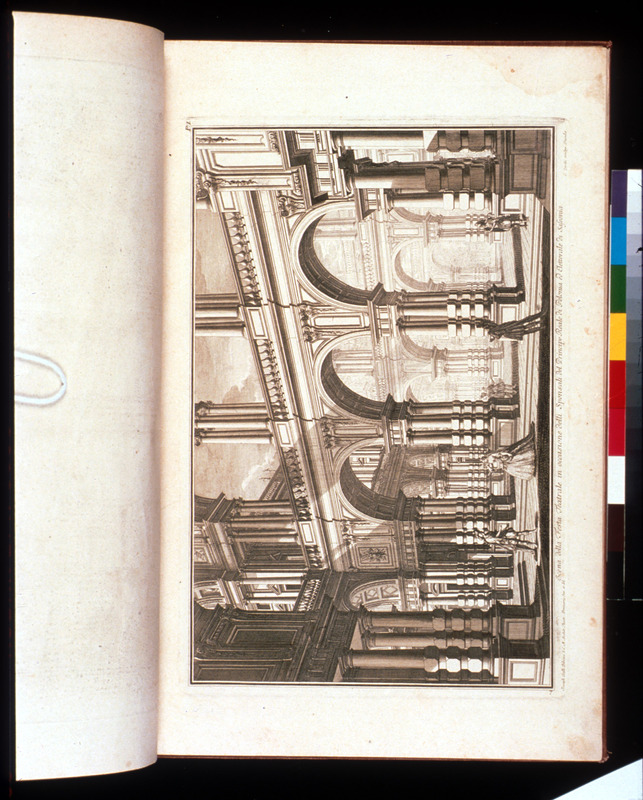 London: W. Strahan and Y. Cadell, 1774. 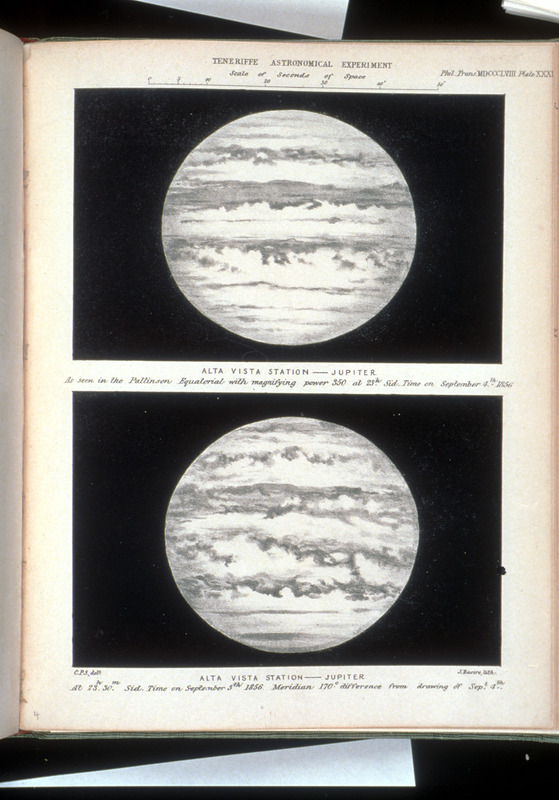 2 vols..
James Cook’s voyages initiated the modern era of scientific exploration. Establishing a model for future expeditions, his three voyages had an explicitly scientific rather than political purpose, carrying artists and naturalists who brought back large collections of plants, animals, and ethnographic artifacts from the regions visited. In his second voyage (1772-75), considered by many the most remarkable voyage ever, Cook circumnavigated the world at the Antarctic Circle with the help of a chronometer, a new instrument that enabled him to determine his ship’s longitude accurately. 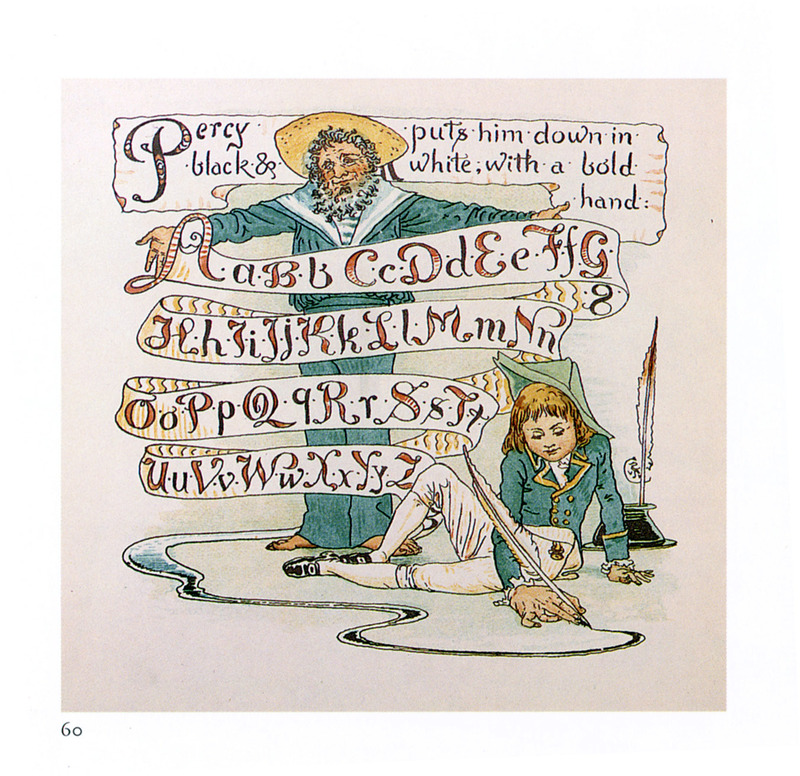 The colorful work of Walter Crane, a designer and illustrator of the British Arts and Crafts movement, combines fine design with practical lessons for children presented in an amusing way. 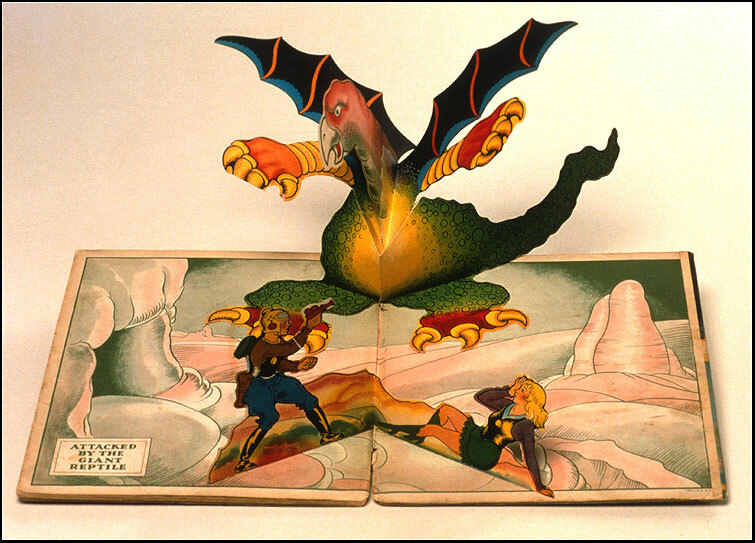 Crane believed he could teach children about good design by incorporating the latest styles in his imaginative books for young people. He eagerly promoted the publication of inexpensive softcover picture books that a growing literate middle class could afford. 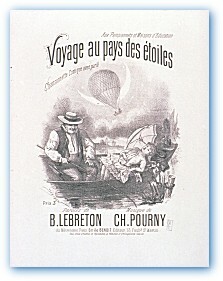 In A Romance of the Three Rs, which Crane wrote for his young son Lionel, a boy has many adventures as he journeys around the world in his quest to learn how to read and write. Seattle, Cambridge, Mass. : E.S.Curtis, The University Press, 1907-30. 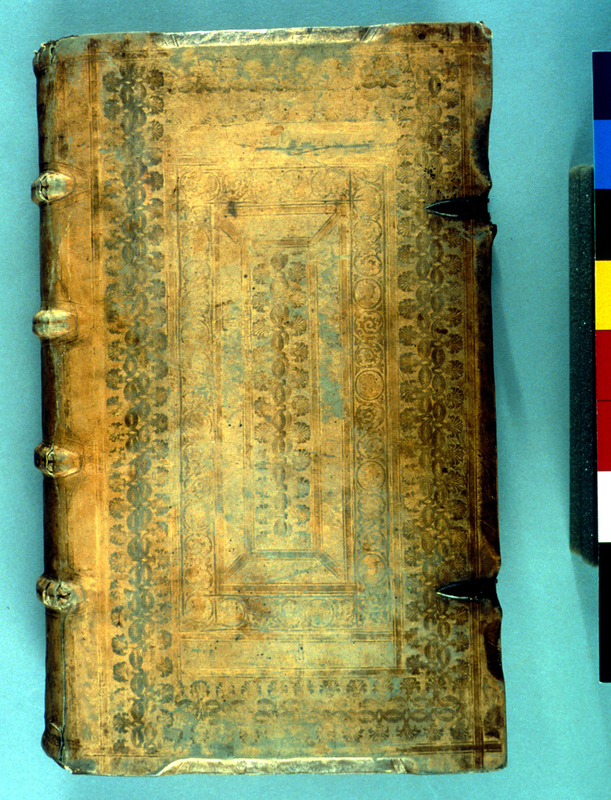 20 vols. text, 20 portfolios of loose plates. Edward S. Curtis, a professional photographer in Seattle, devoted his life to documenting what was perceived to be a vanishing race. His monumental publication presented to the public an extensive ethnographical study of numerous tribes, and his photographs remain memorable icons of the American Indian. 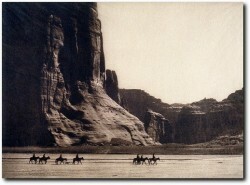 The Smithsonian Libraries holds a complete set of his work, donated by Mrs. Edward H. Harriman, whose husband had conducted an expedition to Alaska, with Curtis as photographer, in 1899. Destined by his family for the clergy, Charles Darwin served, unpaid, as the official naturalist on the H.M.S. Beagle's surveying voyage to South America (1831-36). Only later, after his return, did the significance of his observations lead Darwin to his revolutionary conclusions. 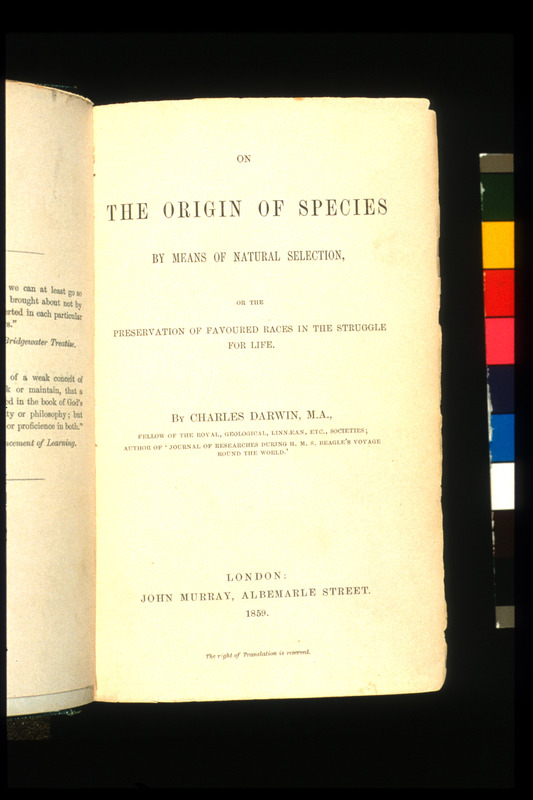 He was not the only scientist to advance the theory of evolution, but he spent 20 years working out its operation through the processes of natural selection before publishing Origin in 1859. The book caused a sensation, and although the fact of evolution is irrefutable, the controversy over the mechanism continues unabated. 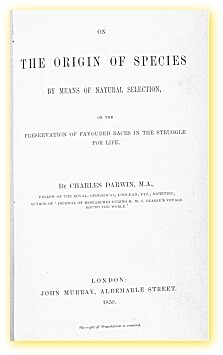 As an old man, only two years before his death, Darwin wrote: "March 16 1880 / Down House . . . / Dear Sir / I must send one line to thank you for thinking to send me the article on inheritance, which is a subject which always interests me. Dear Sir / Yours faithfully & [ ? ] / Ch. 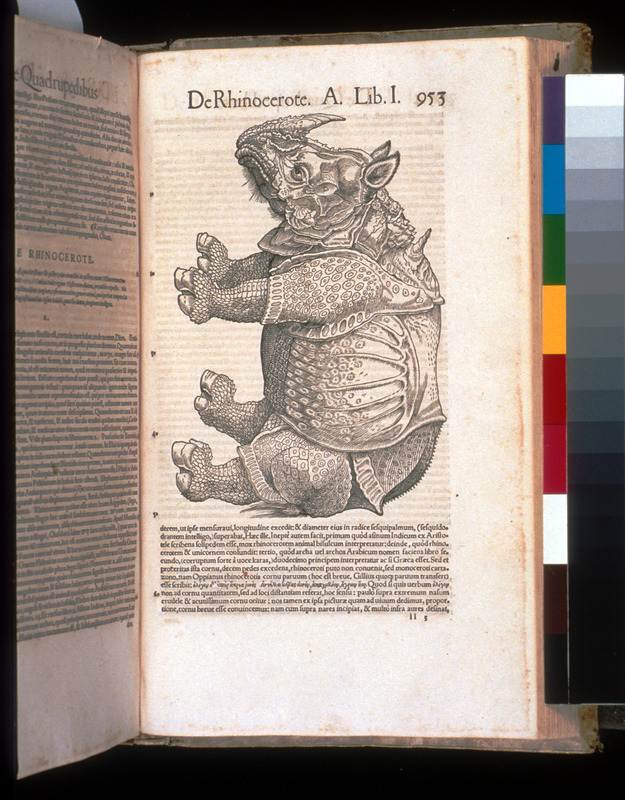 Darwin"
Fantastical monsters were a common feature of medieval bestiaries, which derived from classical texts of the second to fourth centuries A.D. The bestiary incorporated oral traditions, travelers’ tales, Christian symbolism, and allegory into a compendium of moralizing tales based on animals familiar, exotic, and sometimes imaginary. Copied and recopied in manuscript form over a thousand years, these texts became more varied and elaborate when printed versions proliferated in the late 1400s. The genre as a whole, however, was soon superceded by the more scientific works of the Renaissance. 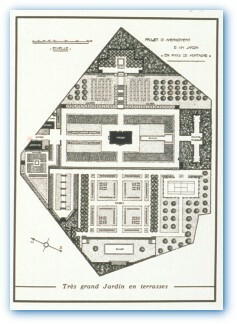 Paris: Chez Cuchet, 1783-84. 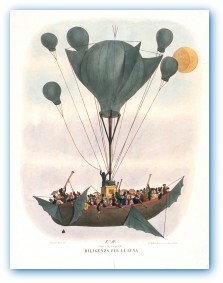 2 vols..
Travelers sailed into the sky for the first time in hot-air balloons. 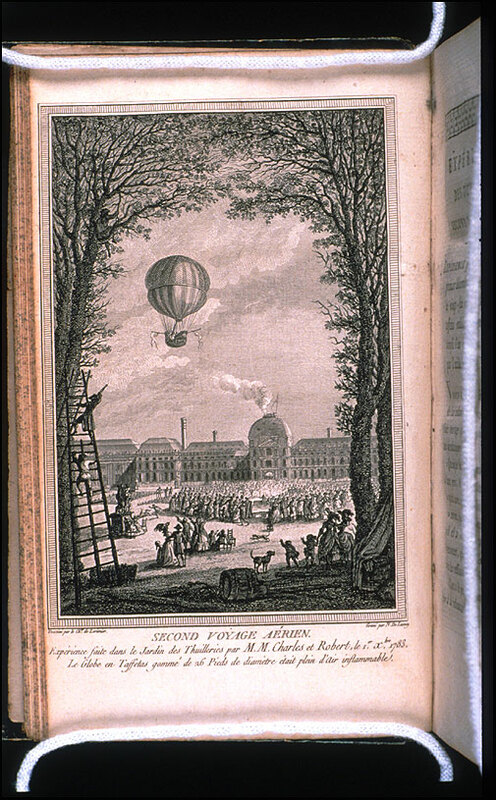 Joseph and Etienne Montgolfier -- brothers, papermakers, and early experimenters in balloon flight -- organized the first manned public ascension, piloted by Pilâtre de Rozier and the Marquis d’Arlandes, in 1783. 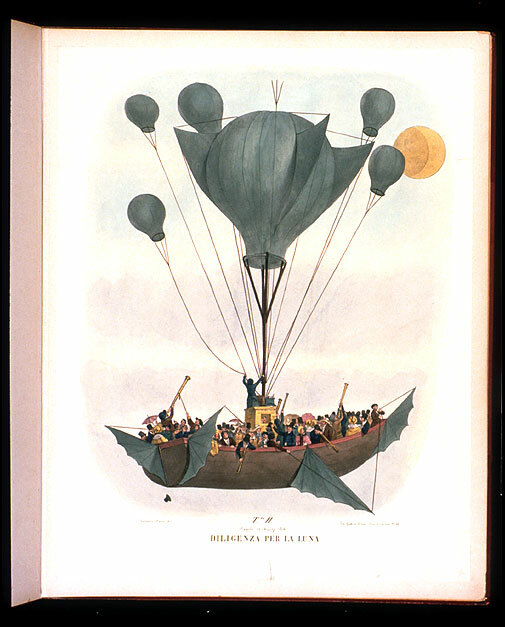 Faujas de Saint-Fond’s account and description of their exploits was reprinted often, and the work is still consulted in studying the advent of aeronautics. 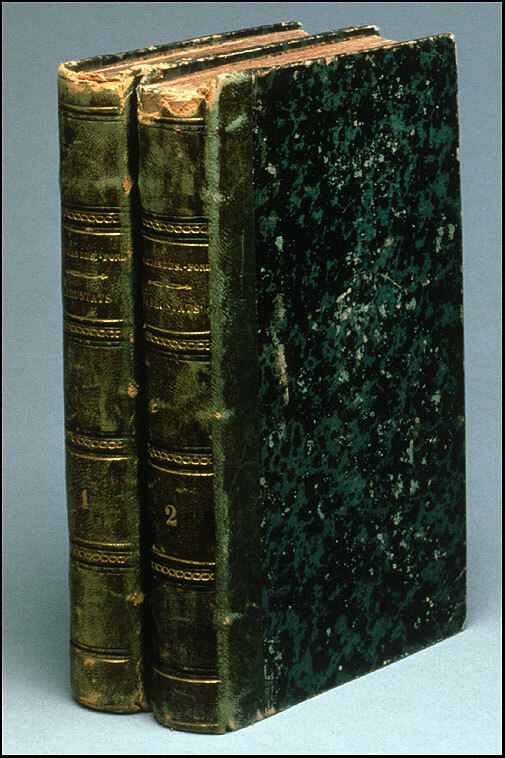 The Smithsonian Libraries has both volumes of the first edition in fine condition, a rare combination. 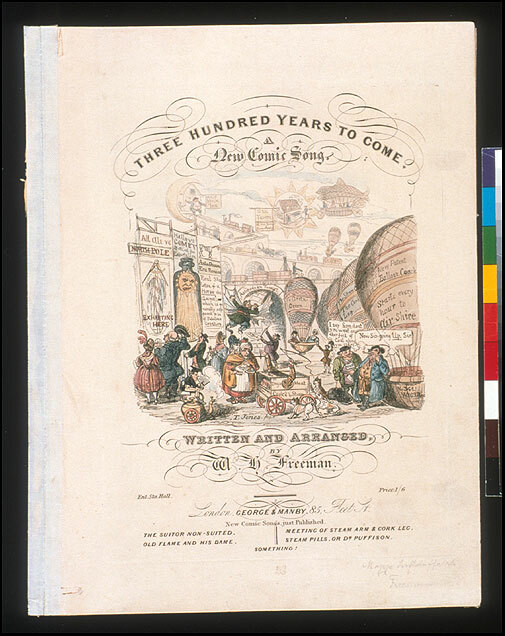 "Three Hundred Years to Come"
London: George and Manby, no date. 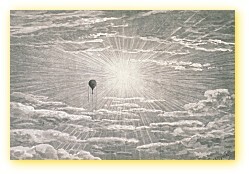 Among the song’s predictions of things to come is routine air travel in hot air balloons. The traffic is terrible! 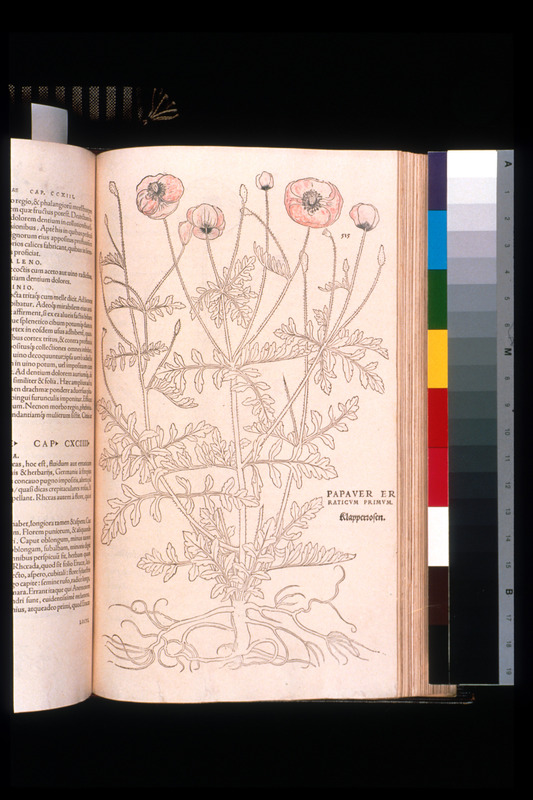 In Renaissance times, medical treatments were based on botany, but the herbals and other books available to practitioners often inaccurately identified plants. 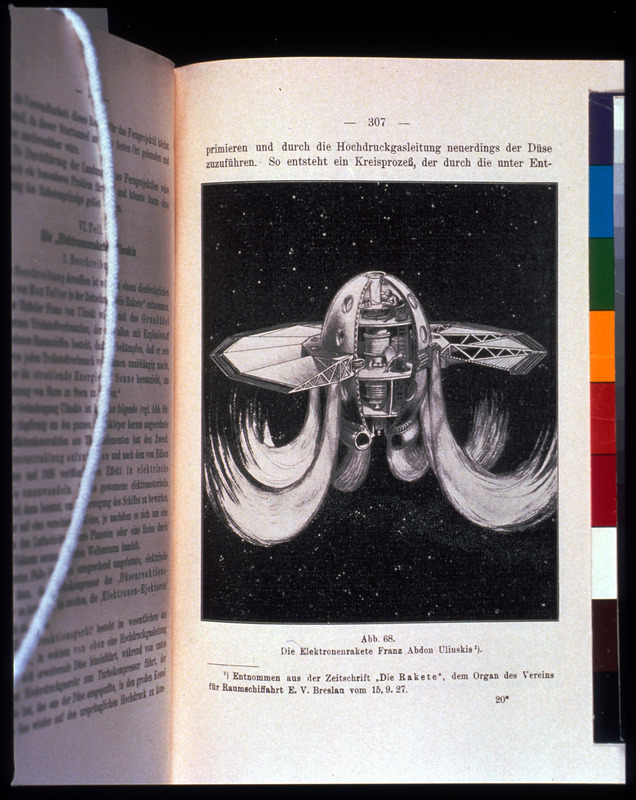 German physician Leonhart Fuchs deplored this lack of knowledge and produced his book to rectify it. 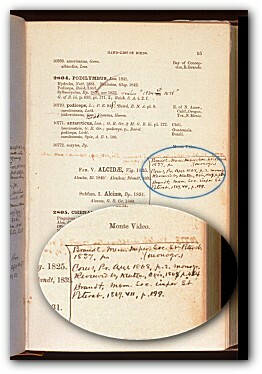 Fuchs compiled the text from various classical sources but added his own field observations. 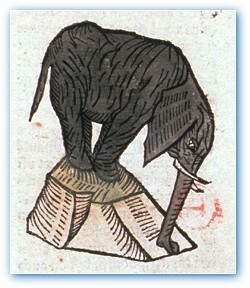 The work is famous for its more than 500 woodcut illustrations, drawn by Heinrich Füllmaurer and Albrecht Meyer and cut by Veit Rudolf Speckle. 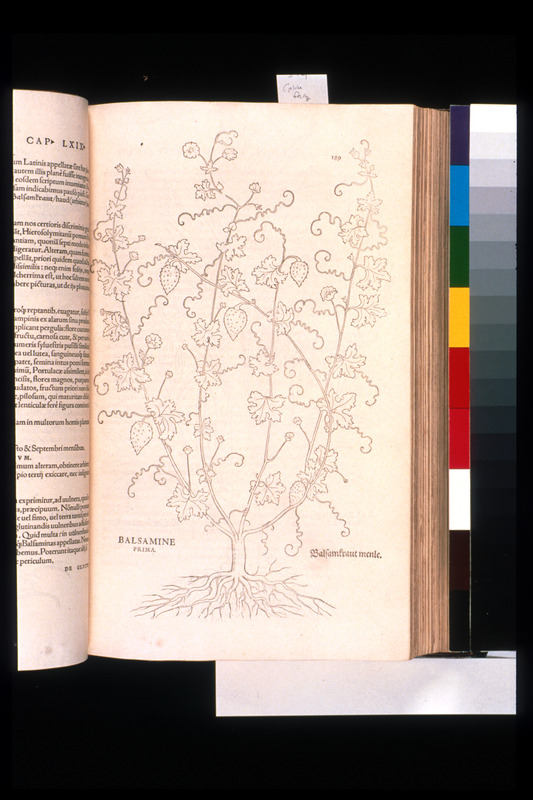 The Smithsonian Libraries copy is uncolored, which accentuates the extraordinary beauty of line achieved by the artists and demonstrates the Renaissance shift to the accurate observation and drawing of plants from life. English artist and designer William Morris owned a copy of Fuchs’s book and clearly took inspiration from it for some of his own designs. Catalogue of Kitchen Garden, Herb, Flower, Tree and Grass Seeds, Bulbous Flower Roots, Green House Plants, & c. & c. . . . , 13th ed. Grant Thorburn, born in Scotland in 1773, arrived in New York in 1794 at age 21. He was a nail-maker and sold novelties and hardware in the city, but when he found that his best sales were for flowers in pots, he turned to the seed business. 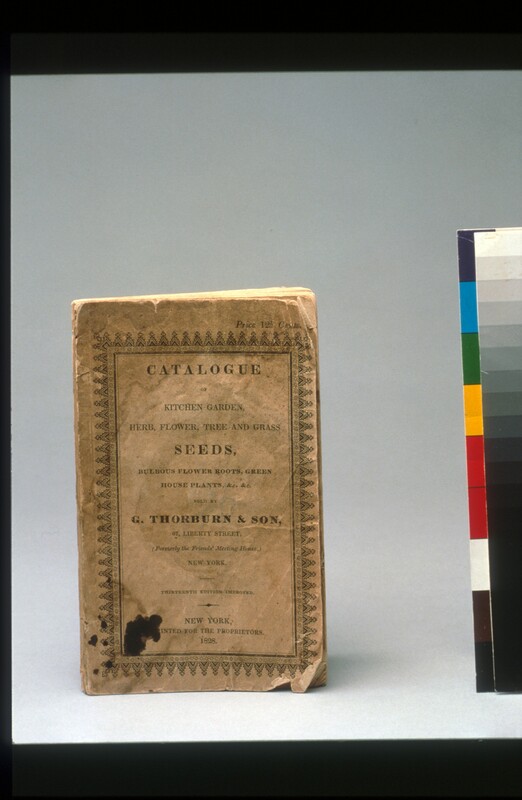 His was probably the first American business of importance to sell stock seeds. 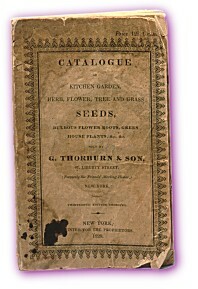 The 1822 Thorburn catalog was the first seed book in America to be issued in pamphlet form and the first to include illustrations. 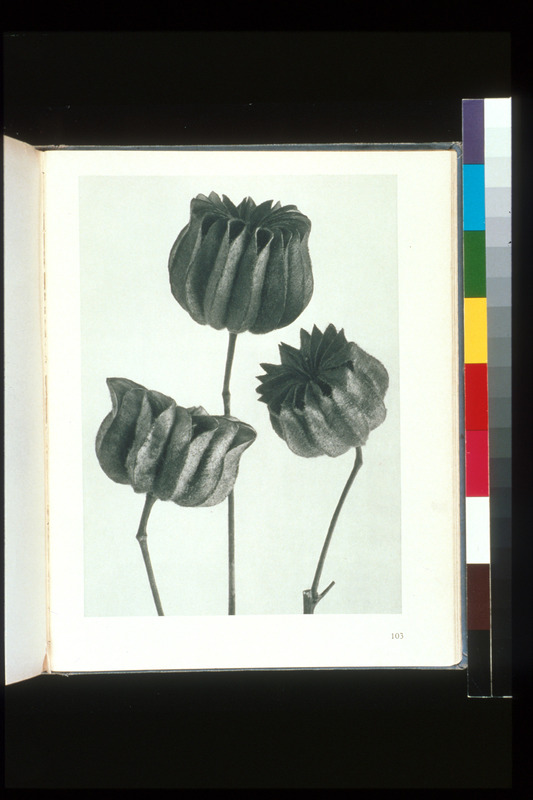 Gift of the Burndy Library, ex-collection Herbert McLean. 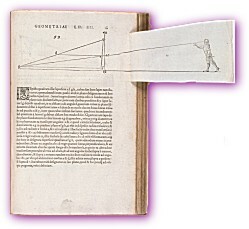 Shortly after the invention of the telescope, Galileo in 1609 constructed one for himself and turned it to the heavens. 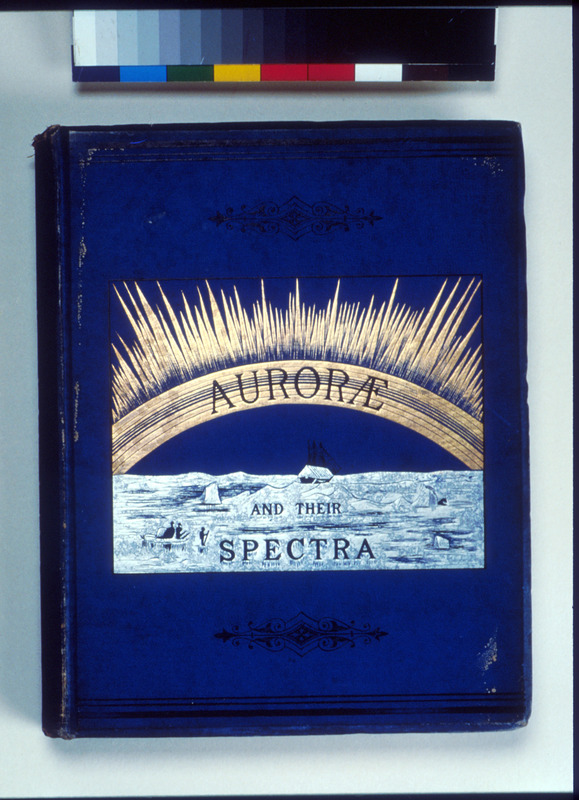 He quickly published this brief account of his amazing discoveries, the first work of modern observational astronomy. 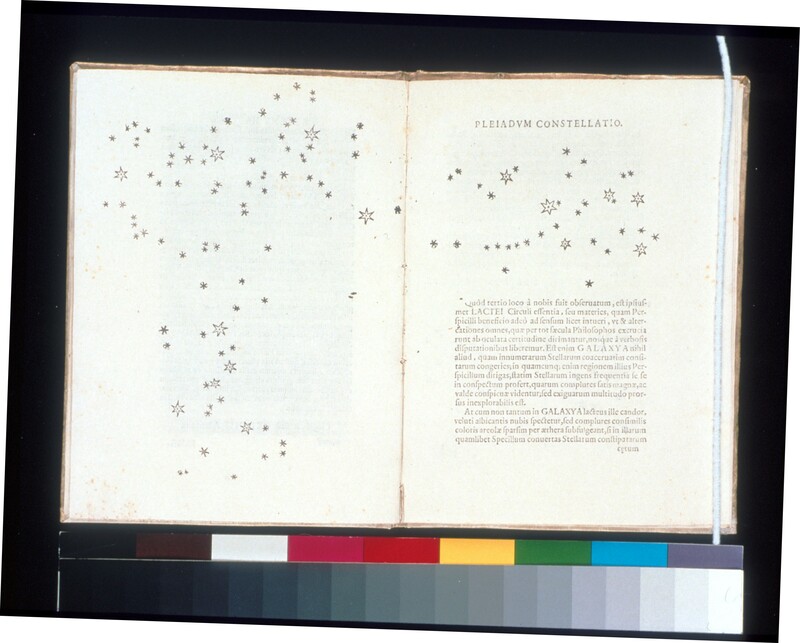 In it, Galileo describes his revolutionary sightings of craters on the Moon, individual stars in the Milky Way, and the four largest moons of Jupiter. 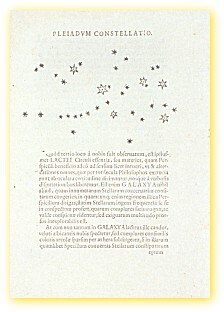 Publication of Sidereus nuncius triggered a chain of events that shook the foundation of European thought and launched an intellectual voyage that would take us deeper into the universe. 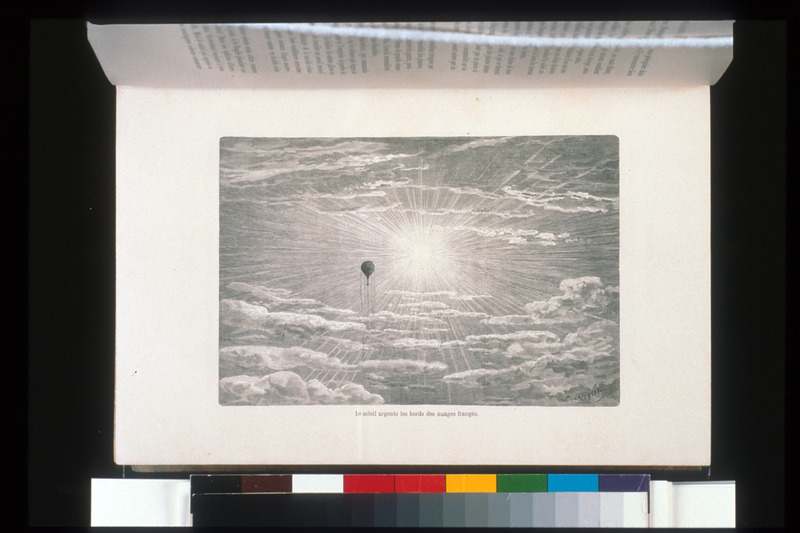 This copy is from the collection of Herbert McLean Evans (1882-1971), a pioneer in collecting books about the history of science. Leiden: I. 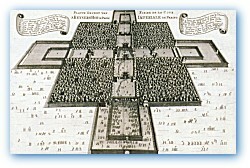 A. Huguetan, 1641. 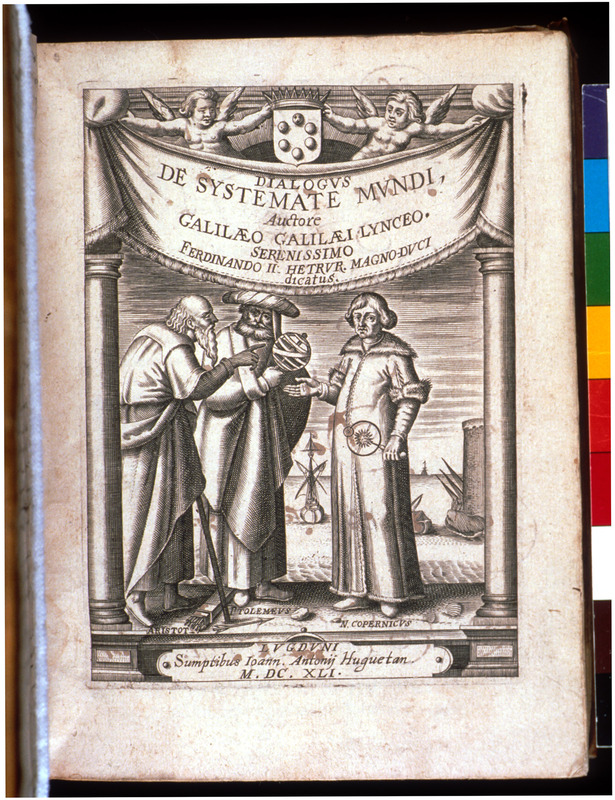 Systema cosmicum is the Latin translation of Galileo’s great 1632 treatise, Dialogo sopra i due massimi sistemi del mondo . . . (Dialogue concerning the two chief world systems). 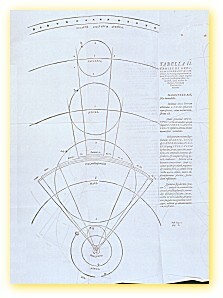 Galileo set the Dialogo as a conversation among three people about the problems and merits of the classical Earth-centered model of the solar system versus the newer Sun-centered one. Galileo’s endorsement of the latter arrangement so infuriated papal authorities that he was kept under house arrest for the remainder of his life. He first published his treatise in Italian as an appeal to the larger public, and then again in 1641, in Latin, the language of the intellectual world. This copy was previously owned by the Dutch Protestant theologian Alhart de Raedt (born 1645), who annotated the book extensively. Naples: L. Gatti e Dura, 1836. 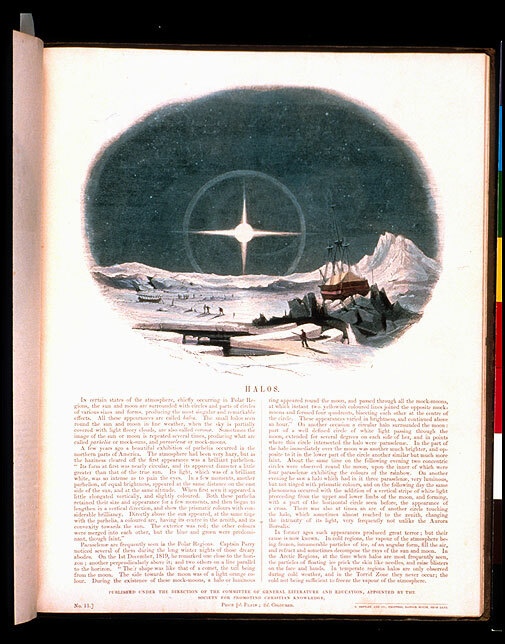 This portfolio of hand-tinted lithographs purports to illustrate the "discovery of life on the moon." 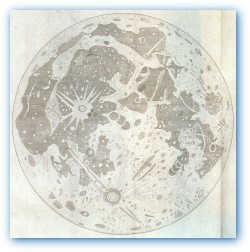 In 1836, Richard E. Locke, writing for the New York Sun, claimed that the noted British astronomer Sir William Herschel had discovered life on the moon. 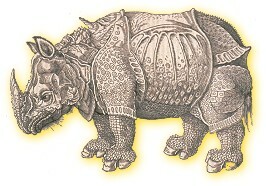 Flora and fauna included bat-men, moon maidens (with luna-moth wings), moon bison, and other extravagant life forms. 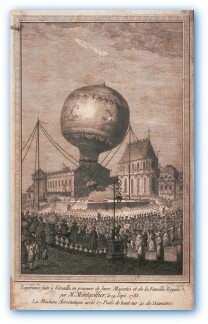 Locke proposed an expedition to the moon using a ship supported by hydrogen balloons. Zurich: C. Froschouser, 1551-87. 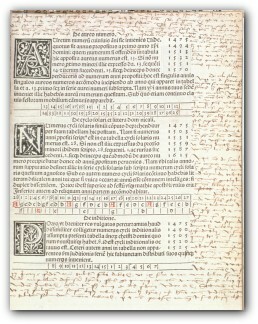 5 vols in 3: vols 1,4,5 (Frankfurt: Ioannus Wechel, 1585-86, vols. 2,3. 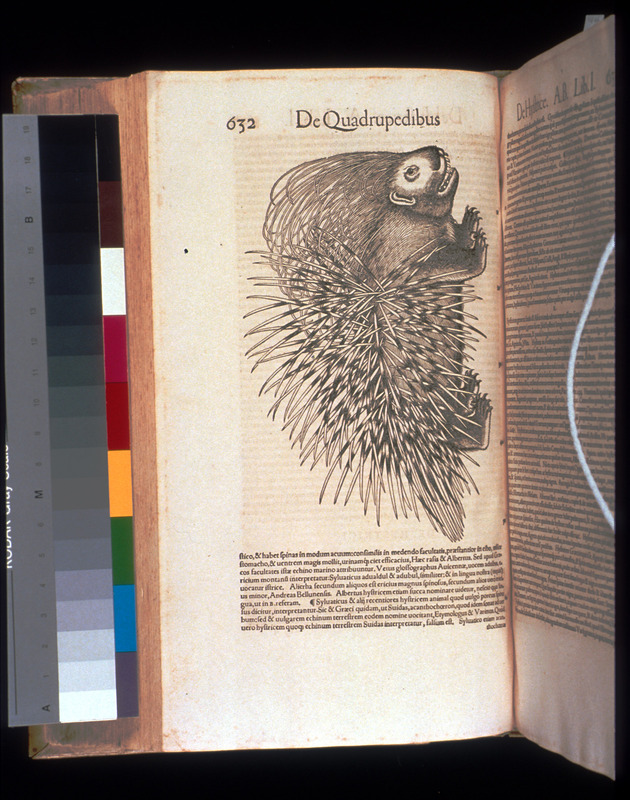 In contrast to the bestiary tradition, the physician and scholar Konrad Gesner managed to re-establish the natural sciences on a recognizably scientific footing of observation, experimentation, and deduction. His encyclopedic work, compiled from folklore, ancient and medieval texts, and correspondence with a wide network of scholars, travelers, and natural philosophers, was tempered by his skepticism and an emphasis on direct observations. 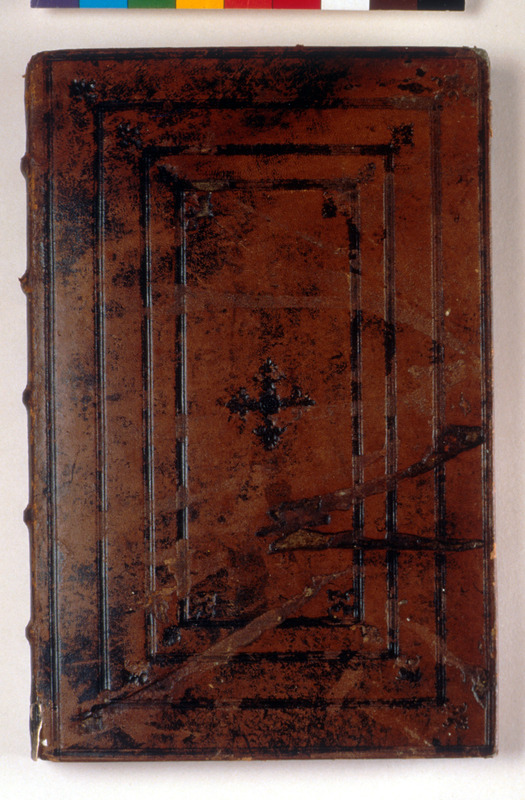 This copy, a mix of Zurich and Frankfurt imprints, is in a uniform blind-stamped pigskin binding dated 1599. 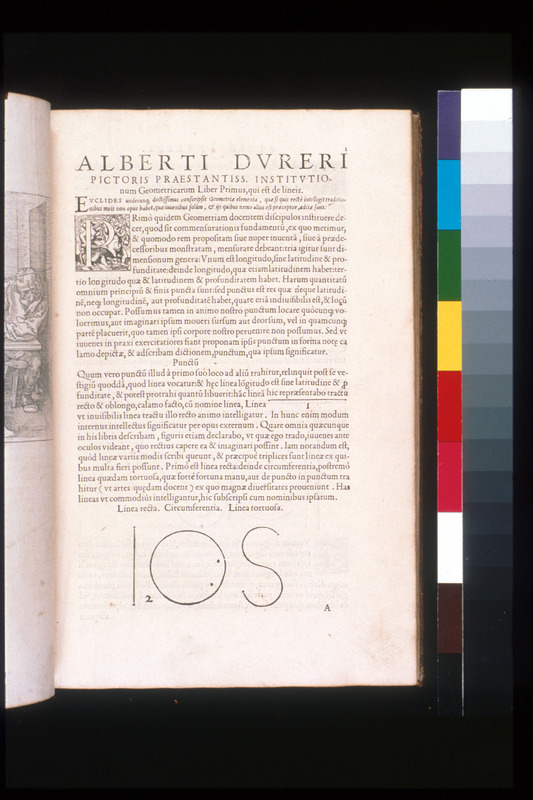 Although the magnetic lodestone had been used since ancient Greek times, Gilbert’s work contains the first experimental research on the properties of magnetism. 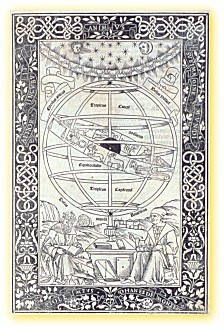 Gilbert argued, correctly, that the Earth is a natural magnet and that the Earth’s magnetic poles are relatively near its geographic poles. As a result, mariners were better able to use the lodestone as an effective navigational tool. 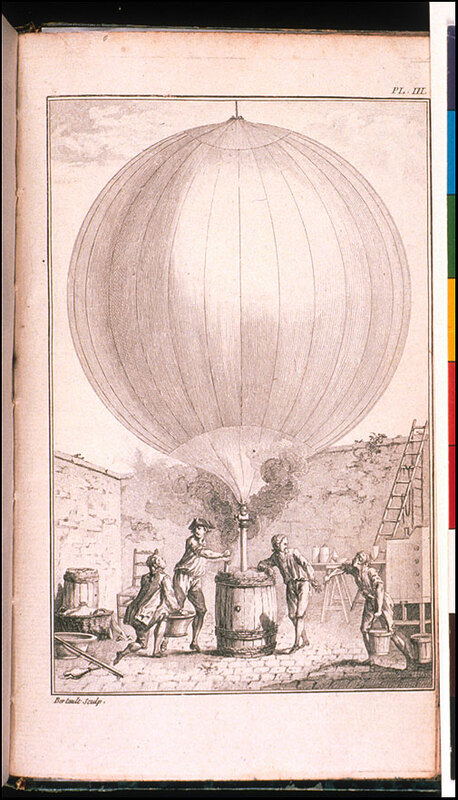 A founder of the Aeronautical Society of Great Britain, James Glaisher described the first recorded balloon ascensions undertaken specifically for scientific research. 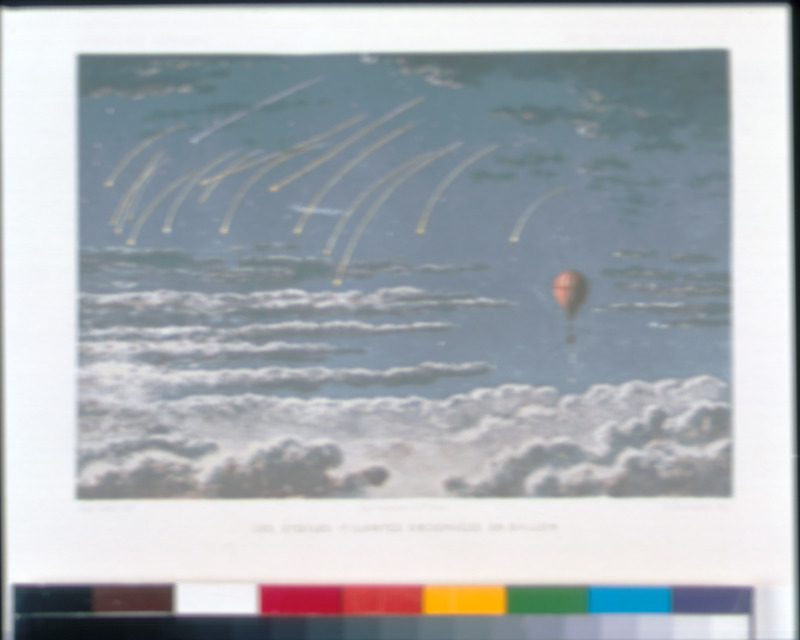 Glaisher and his colleagues studied atmospherics and meteorology, and they nearly died from asphyxiation and hypothermia when their balloon rose too high. New York: American Rocket Society, . 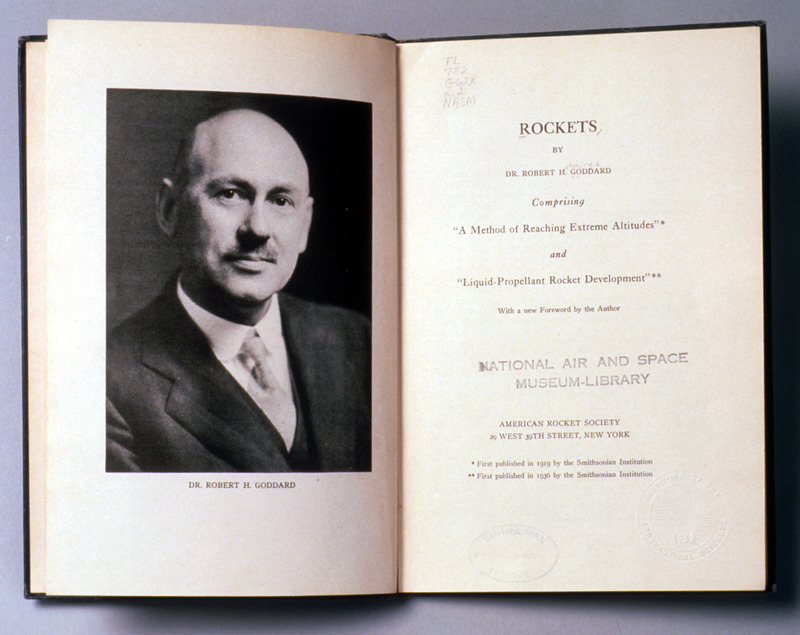 This volume is a republication of Robert Goddard's pioneering research in liquid-fuel rocket development. 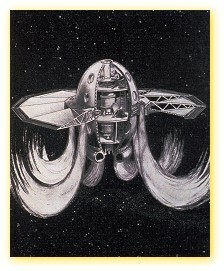 Goddard, considered the founding father of modern rocketry, laid the groundwork for America’s space program. The Smithsonian supported his research beginning in 1916 and published his first publication on rocketry in 1919. The Institution, despite mockery from skeptics, published further research in 1936. Honolulu: East West Center Press, 1965. 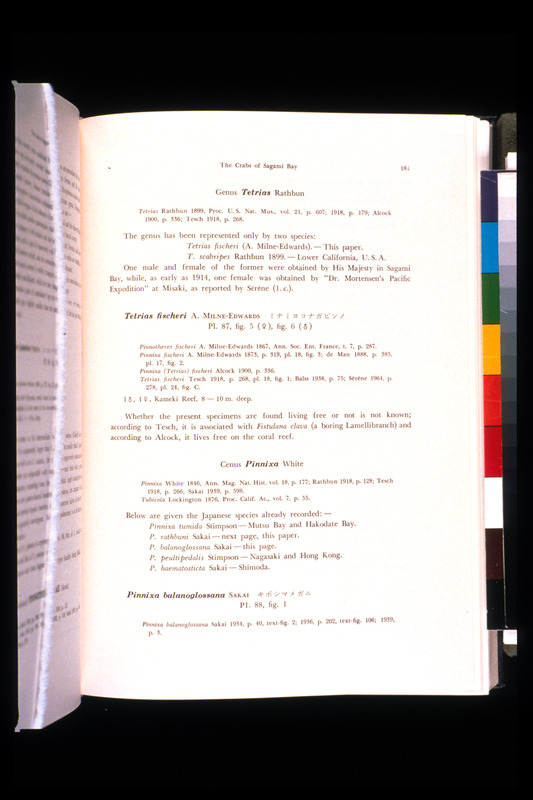 This volume is one of several published by Emperor Hirohito (1901-1989), a skilled collector and an avid and lifelong marine biologist. With its complex seabed and warm and cold currents, Sagami Bay is a site well known for its diverse marine life. 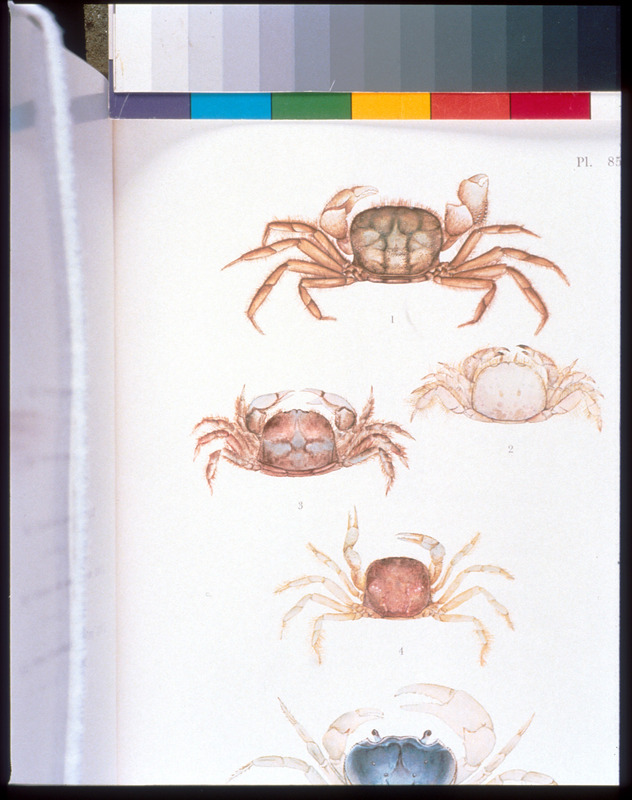 Hirohito himself collected the crabs illustrated in this volume and identified them in his palace laboratory using the work of Mary Jane Rathbun, a 19th-century Smithsonian scientist. 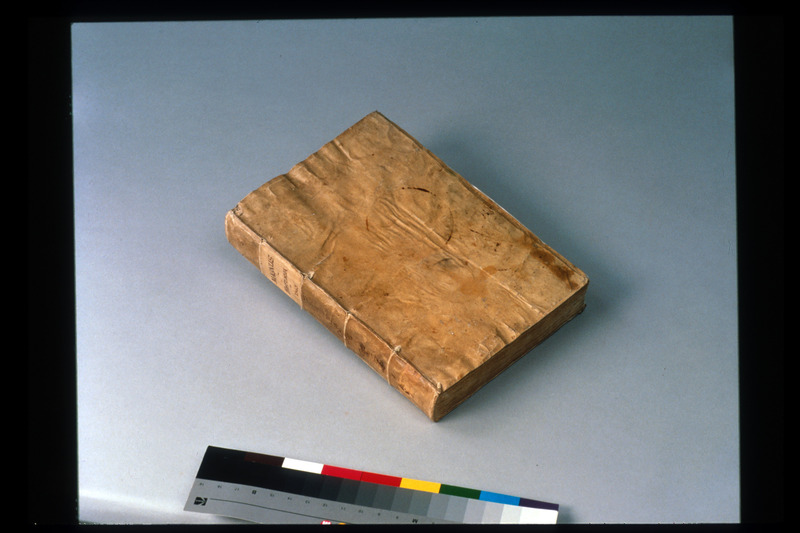 Today, scientists at the Smithsonian Environmental Research Center on the Chesapeake Bay refer to this catalog of the emperor’s research collection in their work. London: H. Sotheran, 1875-88. 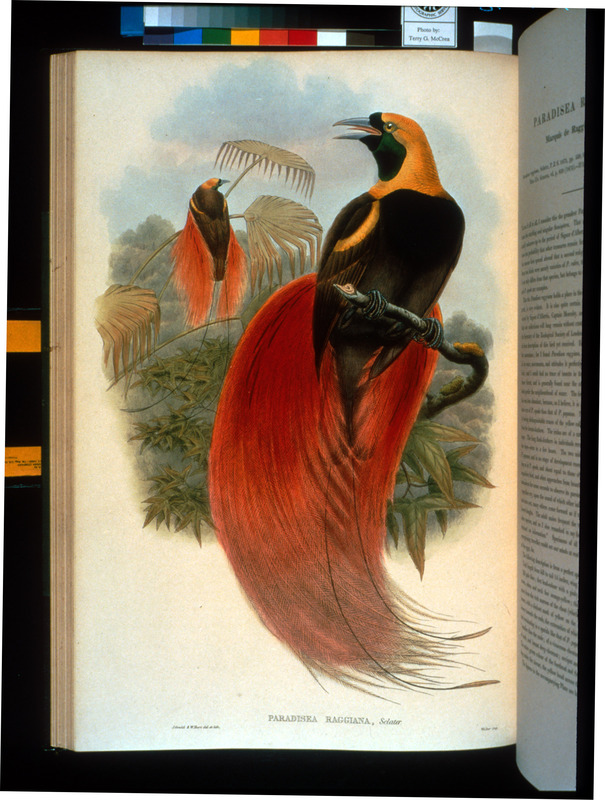 5 vols..
Like all of Gould's works, The Birds of New Guinea, completed by Richard Bowdler Sharpe after Gould's death in 1881, is both beautiful and scientifically important. 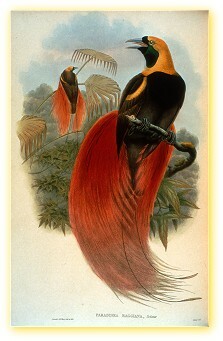 In it are described and illustrated many exotic species of birds, including the birds of paradise unique to New Guinea -- bowerbirds, parrots, and others previously unknown to Western science. 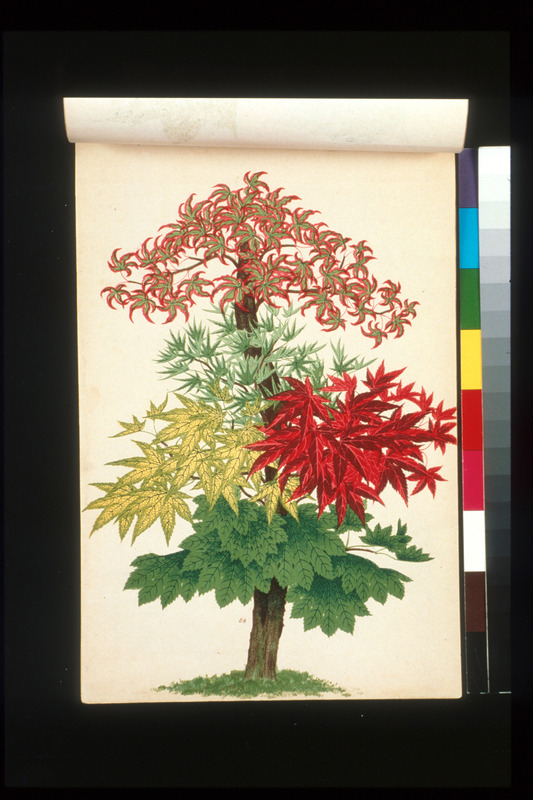 Its 310 hand-colored lithographs were largely the work of William Hart, who produced the final watercolors based on Gould's sketches and transferred them to the printing stone. 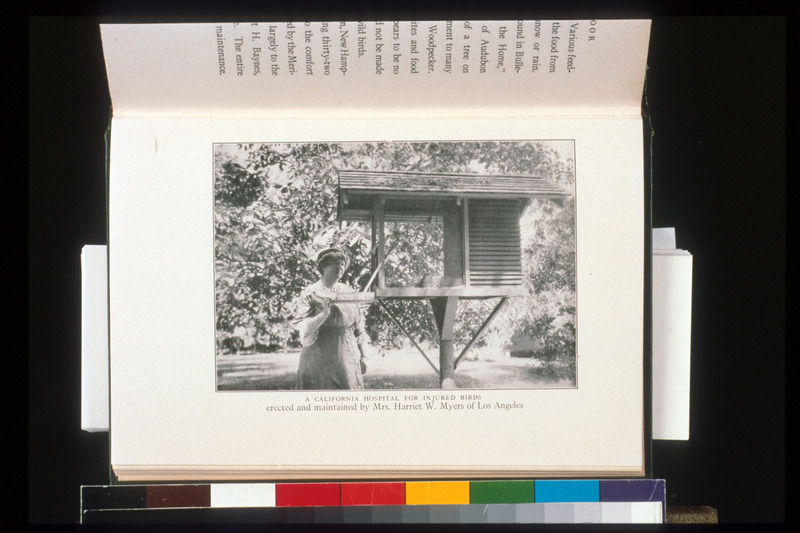 This and other volumes donated in 1980 by conservationist and broadcast magnate John H. Phipps enriched and complemented the already fine collections that support ornithological research within the Institution. 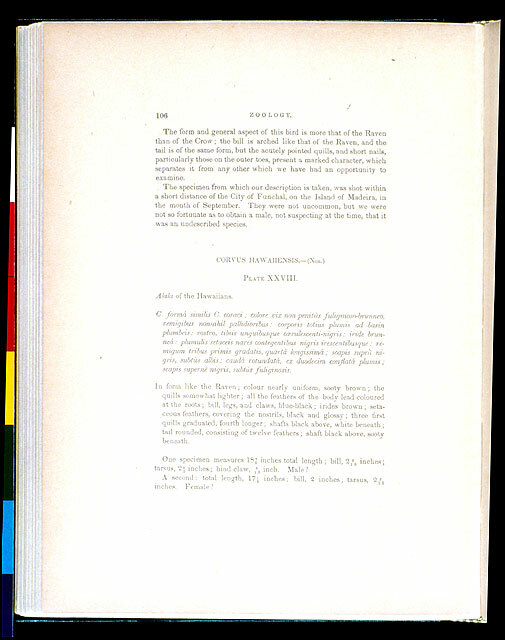 London: by order of the Trustees, 1869-71. 3 vols.. 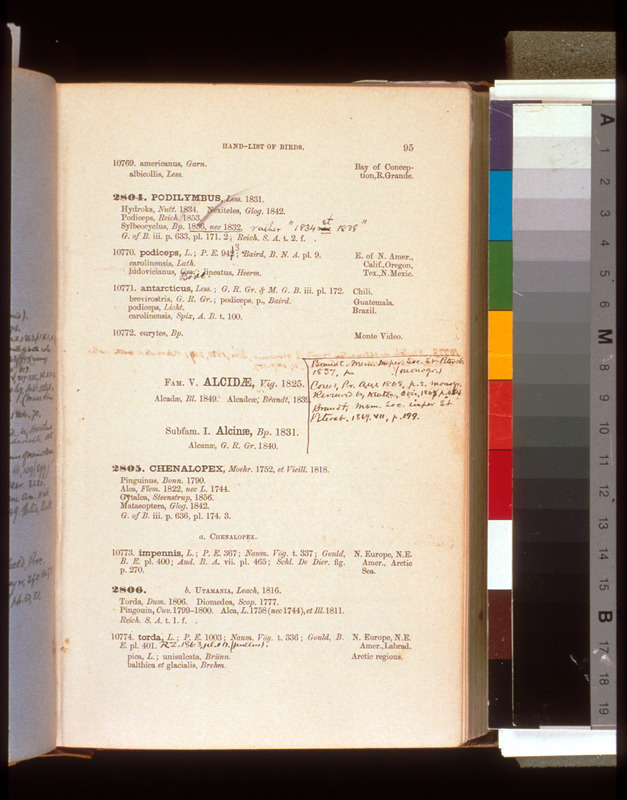 Although an important reference work in ornithological taxonomy, Gray’s Hand-list is not in itself rare. 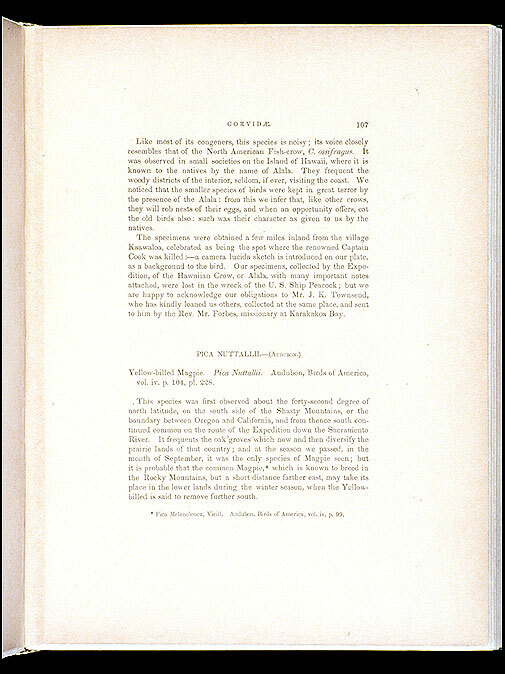 This copy, however, was owned and annotated by Elliott Coues (1842-1899), the premier American ornithologist of the period, after the Smithsonian’s Spencer F. Baird (1833-1889). Coues, as a boy, had studied informally under Baird and worked with the expedition collections at the Smithsonian throughout his life. 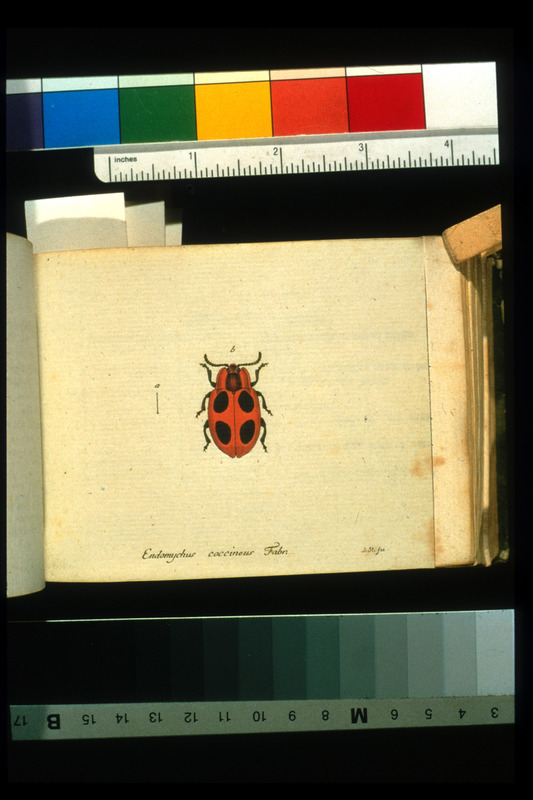 Books interleaved to provide space for annotations, linking the text to specimens in museum collections and to related taxonomic works, are not uncommon in the Smithsonian Libraries holdings. In an inscription, Coues exhorted later owners of this copy (who included book collector Evan Morton Evans and ornithologists John Eliot Thayer and Robert Cushman) to continue the annotations. A great pioneer in the study of the stars, William Herschel was appointed private astronomer to the king of England in recognition of his 1781 discovery of the planet Uranus. In this paper, he made his first, not entirely successful attempt at a scientific explanation of the structure of the Milky Way galaxy, opening a debate that continues to this day. 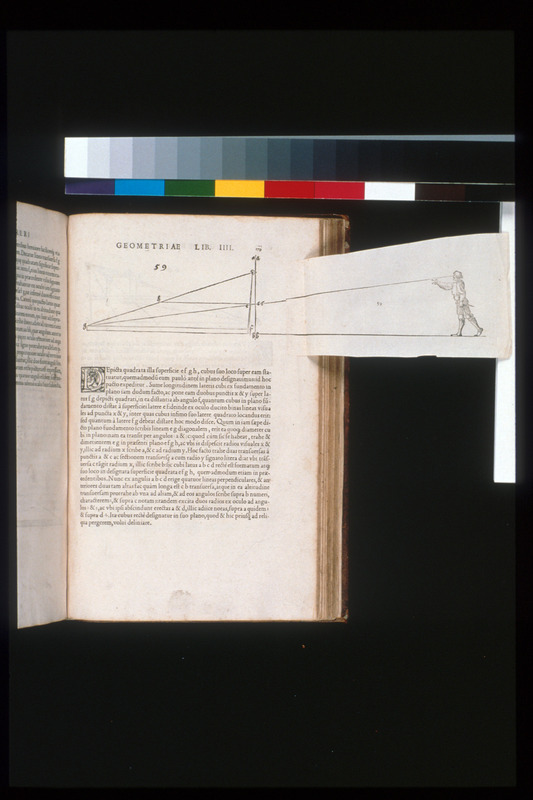 The folding plate illustrates his concept of how the galaxy would appear to an outside observer. Herschel also claimed that dim nebulous patches in the sky were galaxies just like our own. Gdansk: S. Reininger, 1673-79. 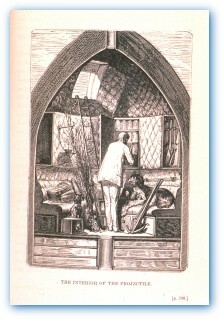 2 vols..
Hevelius’s personal observatory in Danzig was the best-equipped facility of its kind in the world. 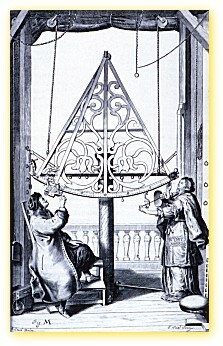 A champion of the "long-focus" telescope, sometimes more than 100 feet in length, Hevelius was an expert builder who constructed many of his own instruments. 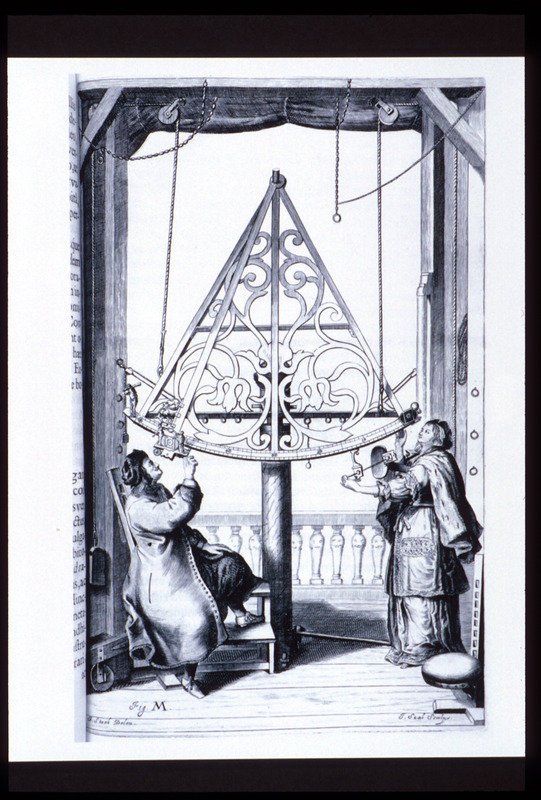 The first volume of this work describes his "celestial machines" in great detail, and its engravings often depict Hevelius using the devices, frequently in concert with his wife and collaborator, Elisabetha. 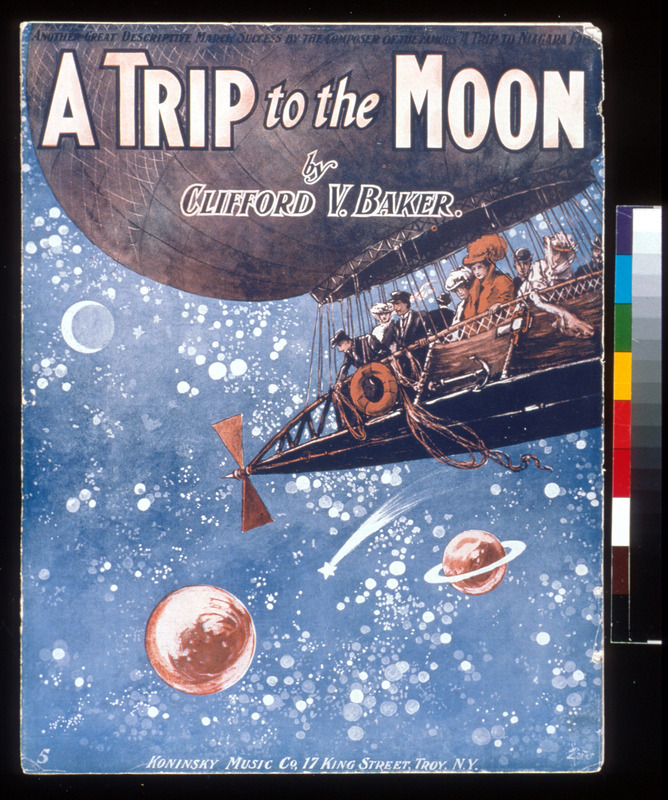 This book was in the collection of Herbert McLean Evans (1882-1971), a pioneer in collecting books about the history of science. 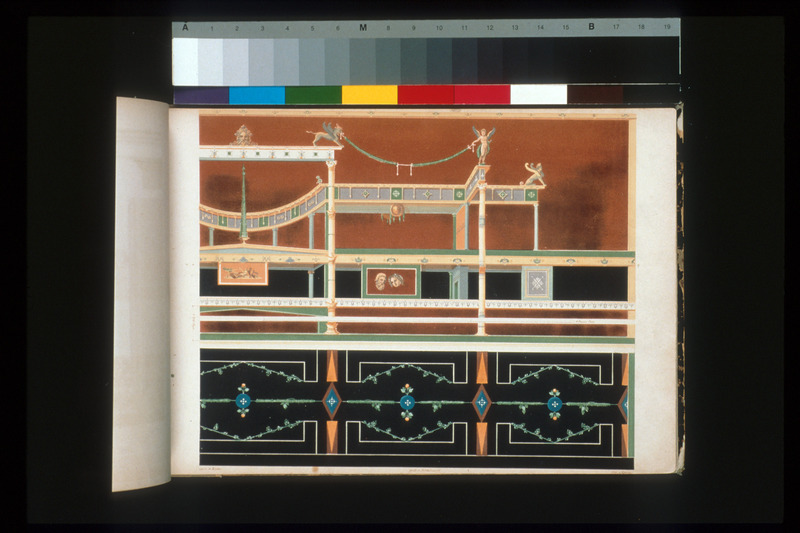 One of many technical works on 19th-century craftsmanship in the Smithsonian Libraries collections, this volume contains hand-painted illustrations of various wood grains along with descriptions of how to achieve this effect with paint. 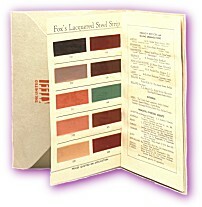 It was written for craftsmen, architects, and interior designers, and the spattered and stained illustrations in this copy show heavy use in the workshop. 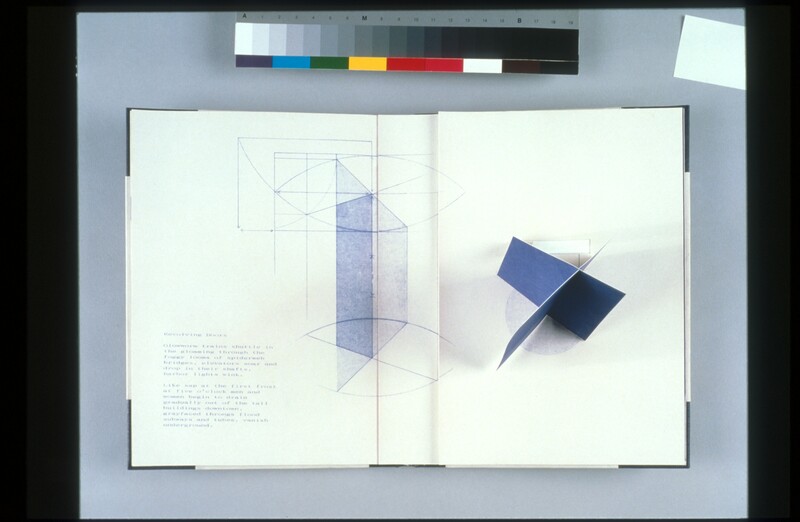 This book is from the collection of furniture conservator Robert D. Mussey, Jr.
Amsterdam and New York: ZET, 1992. 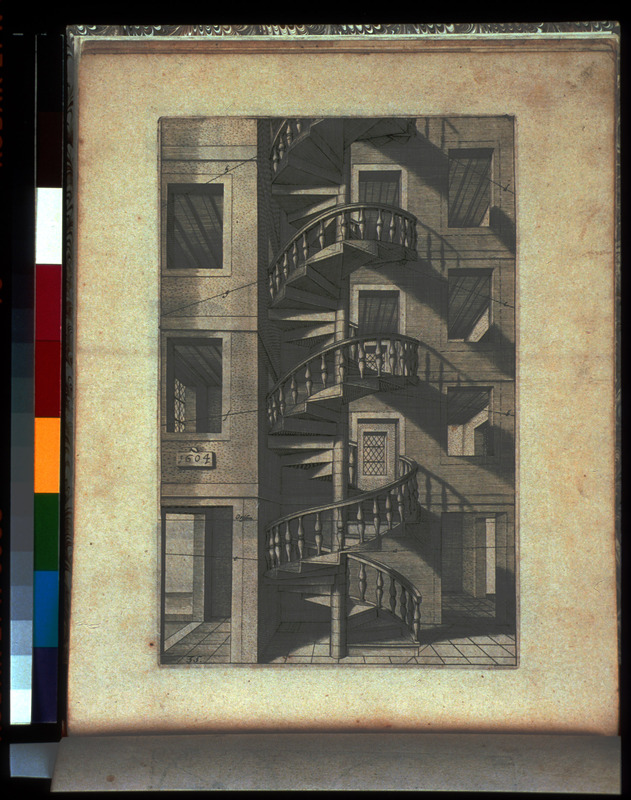 In this remarkable book, Dutch-born artist Sjoerd Hofstra showed himself to be a master of paper construction by creating highly dramatic pop-ups, including a revolving door and a cascade of rooftops. The book is a reinterpretation of Manhattan Transfer, John Dos Passos’s 1925 novel which captured the hustle and bustle of daily life in New York City. 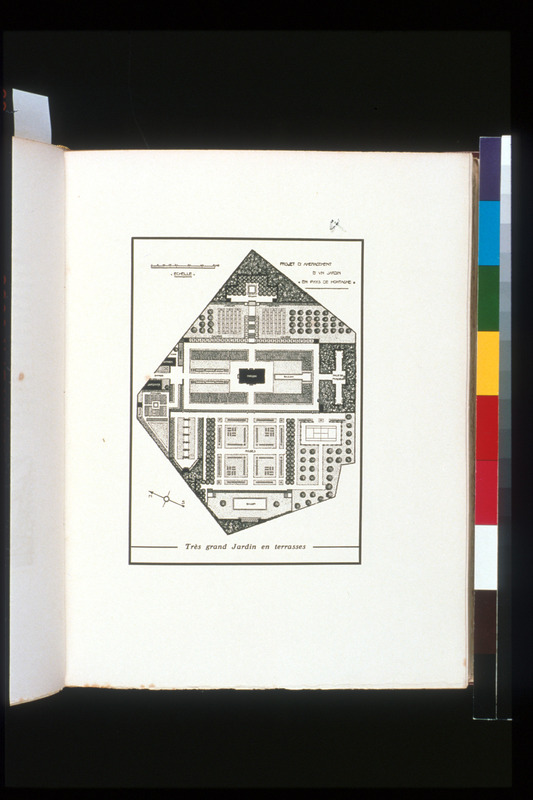 Hofstra incorporated Dos Passos’s text within printed pages that resemble architectural drawings, so that the viewer feels as if he or she is reading a blueprint. 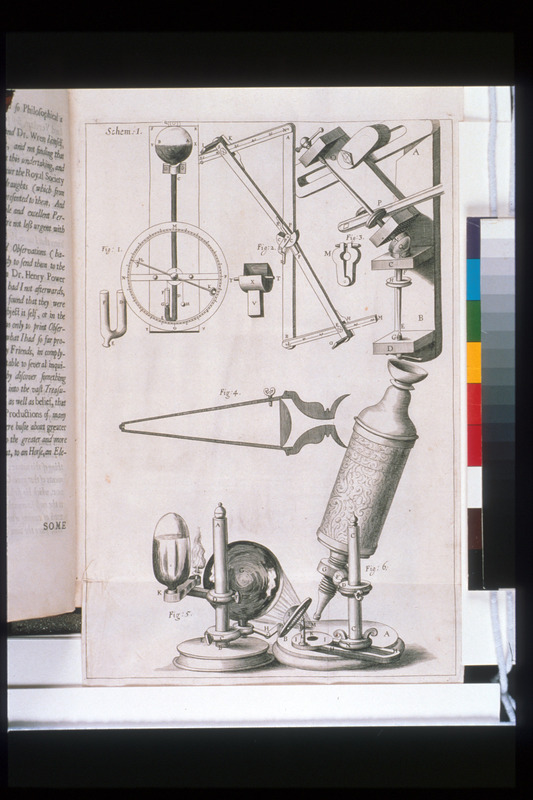 Micrographia: or Some Physiological Descriptions of Minute Bodies Made by Magnifying Glasses. London: Printed by J. Martyn and J. Allestry, 1665. 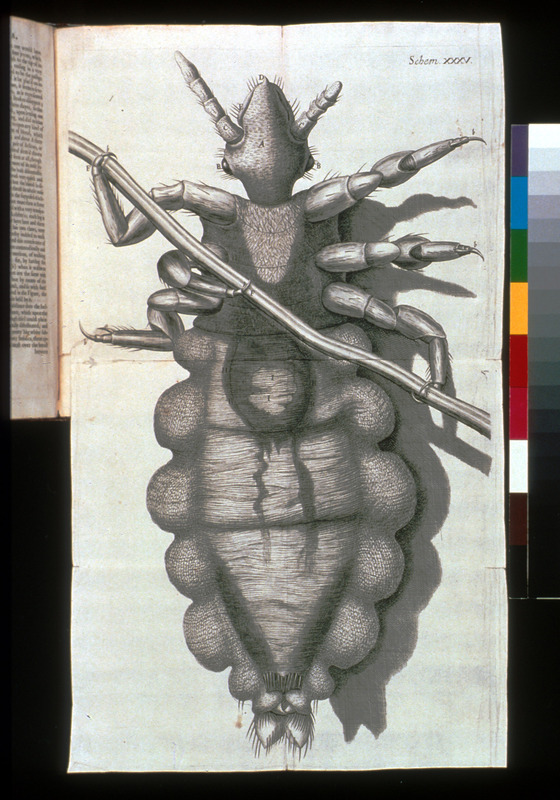 Curator of experiments at the Royal Society of London, Hooke published his Micrographia (literally, "Little Drawings") to record a series of observations he had made with a microscope. Like Galileo’s Sidereus nuncius, the Micrographia presented a wealth of new observations with dramatic visual effect, exerting an enormous influence on the development of science. 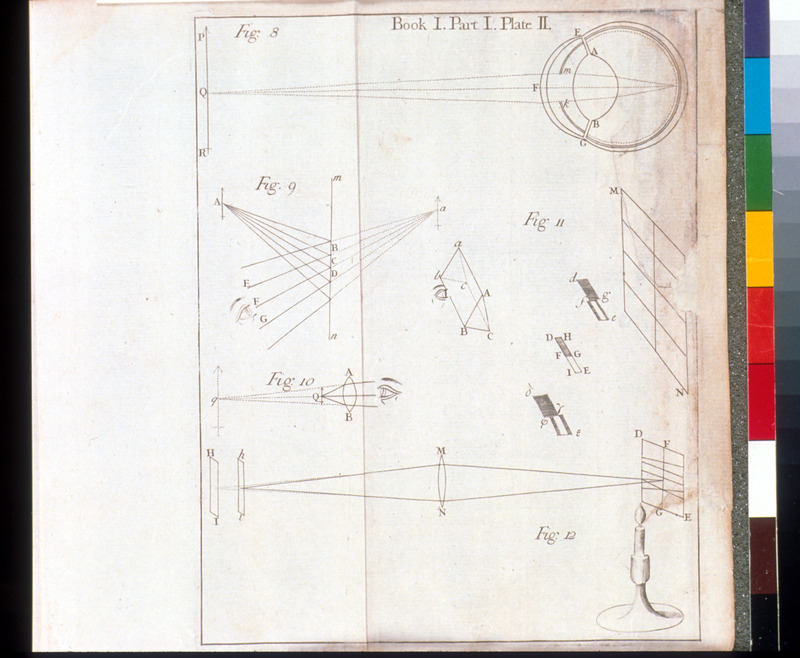 Hooke was the first scientist to use the word "cell" and to speculate on its function. 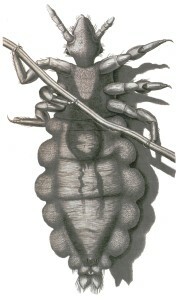 The detailed plates in Micrographia were so popular that they were reprinted continually in other books up to the 1800s. [Kyoto]: Kyoto Bijutsu Kyokai, 1903. Produced as a commemorative for members of the Kyoto Art Society, this book presents 16 Japanese interiors that contain implements required for 16 traditional activities, including a poetry contest, coming-of-age ritual, and green-tea (sencha) gathering. 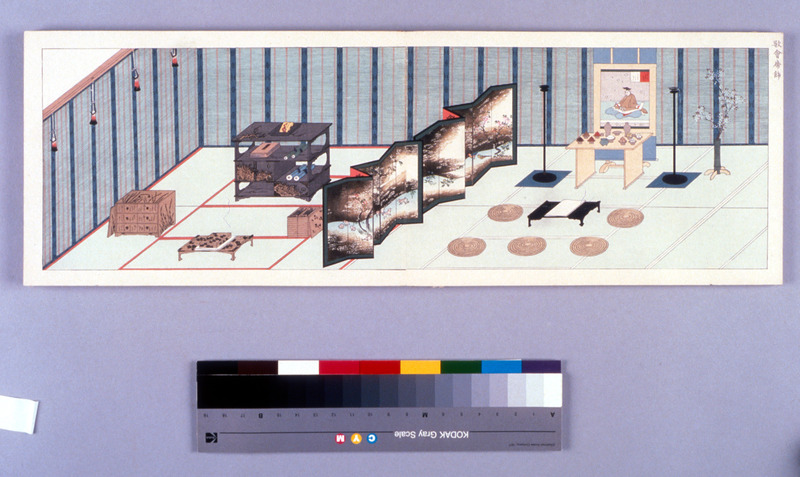 Filled with distinctive Japanese patterns and details, the hand-colored woodblock illustrations depict decorative lacquered pieces, costumes, and furnishings. An extraordinarily beautiful object in its own right, the book provides a fascinating look at Japanese culture. Vienna, London, Leiden: C.F. Wappler, B.&J. White, S.&J. 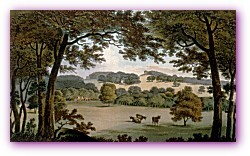 Luchtmans, 1797-1804. 4 vols.. 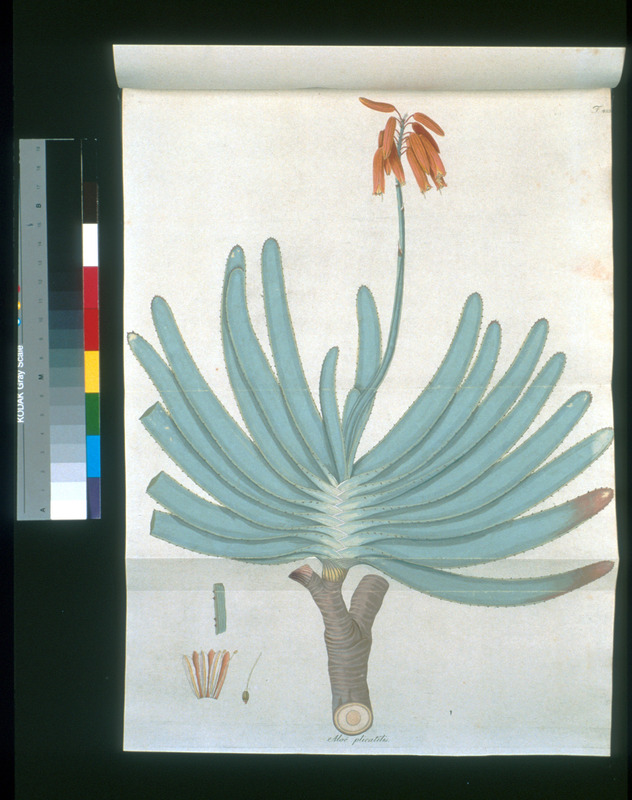 Importing and cultivating rare and exotic plants from newly explored regions of the world was popular throughout late 18th-century Europe. 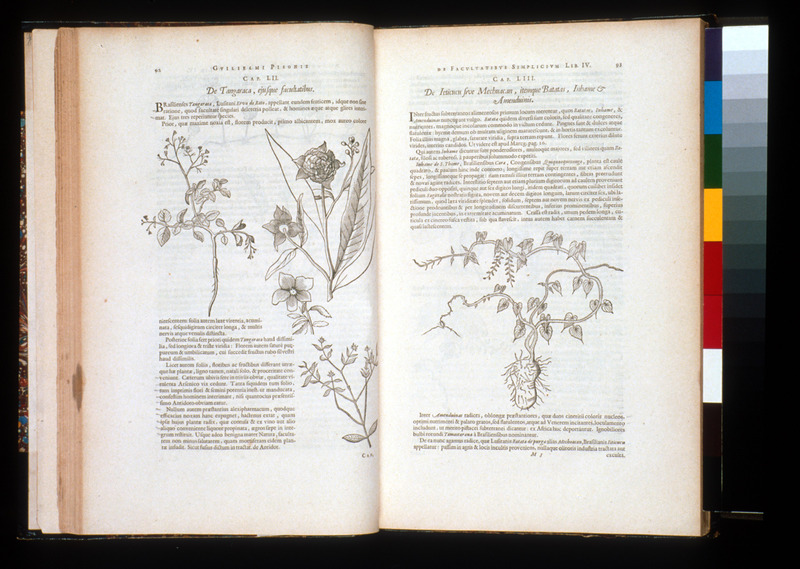 Jacquin, a Dutchman of French extraction, produced many of the great florilegia, or flower books, of the period during his career with the Austrian imperial gardens and natural history collections. 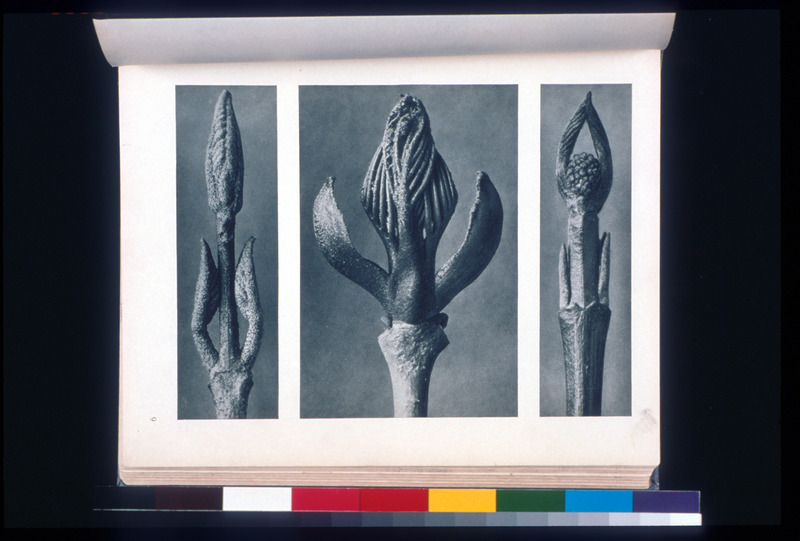 Collectively his works described a multitude of new species and some 2,700 plates of plants, many of them never before depicted. 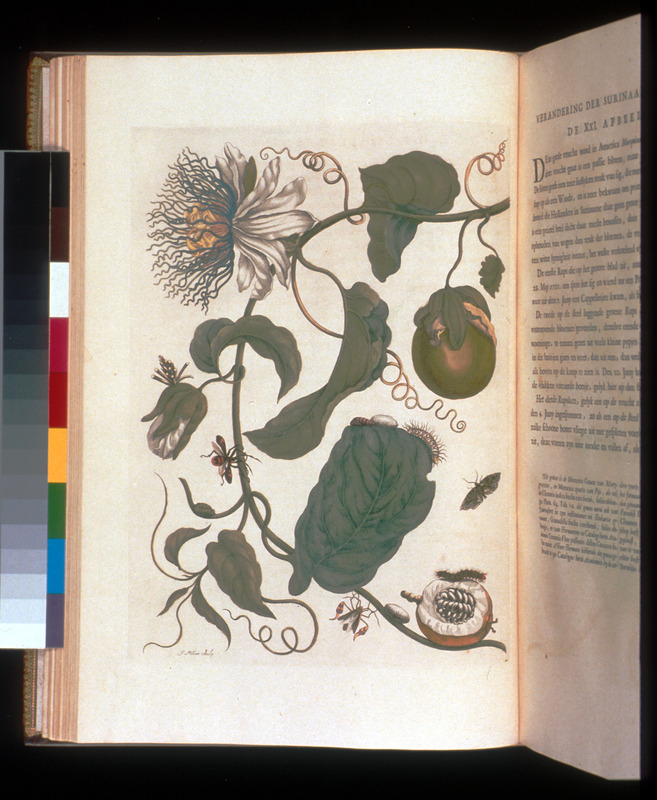 This four-volume folio, published in fewer than 200 copies, contains 500 detailed engravings of plants from South Africa, the Americas, and other distant regions, all of which were grown in the royal gardens of Schönbrunn in Vienna. New York: Harcourt Brace, 1943. 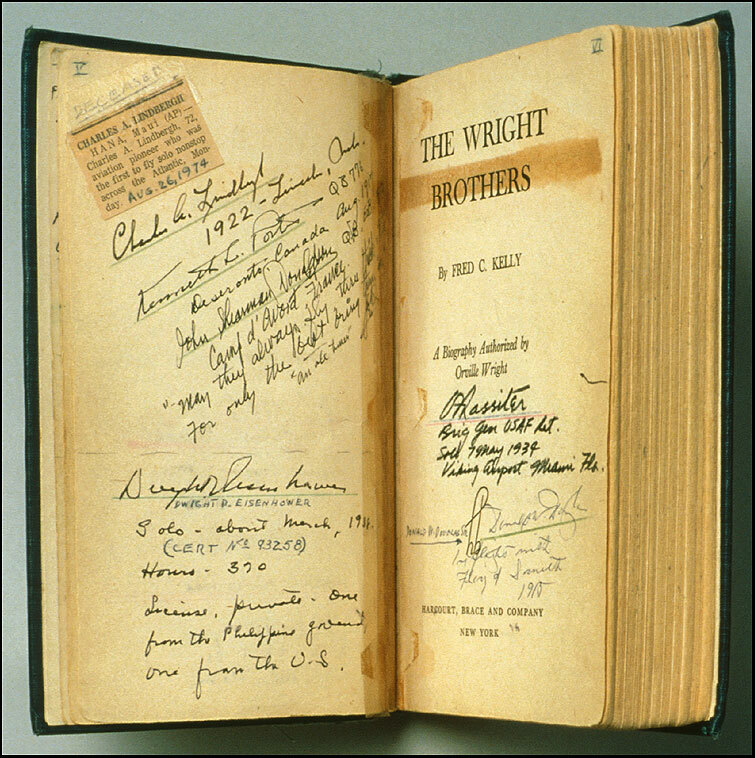 Kelly wrote the only authorized biography of the Wright brothers. 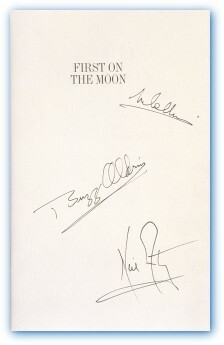 George C. Page, an aeronautical engineer, sent his copy to prominent figures, especially from early aviation and space flight, for their autographs, with the intention of donating the book to the Air and Space Museum of the Smithsonian. Among the signatures are those of Charles Lindbergh and Dwight D. Eisenhower. Imposing mathematical harmony on the skies, Kepler proposed that the planetary orbits nested one inside the other, with each planet (at the time, thought to be six) alternating with one of the five Platonic "solids" (geometric figures such as the cube). 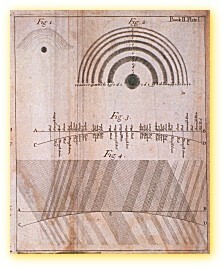 This elegant model addressed both the number of planets and the spacing of their orbits. 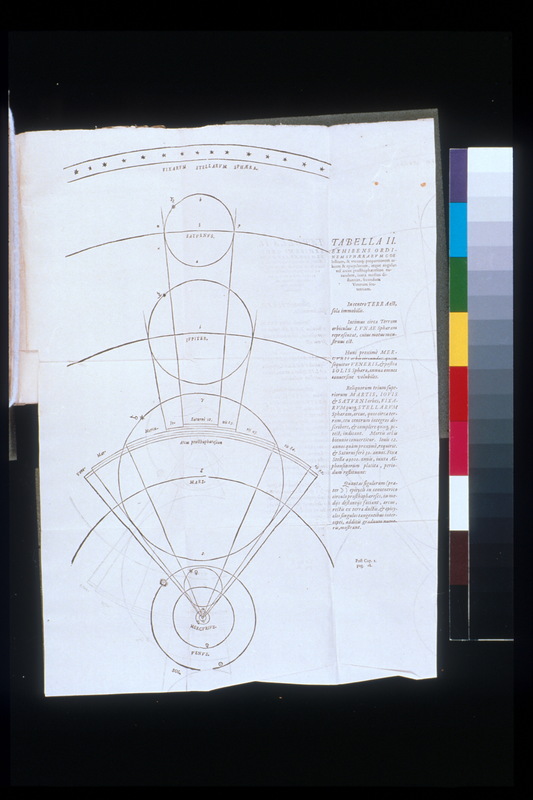 Kepler’s idea, while not fully worked out, attempted to clarify the spatial organization of the solar system while arguing that geometry was an innate part of the divine plan of creation. 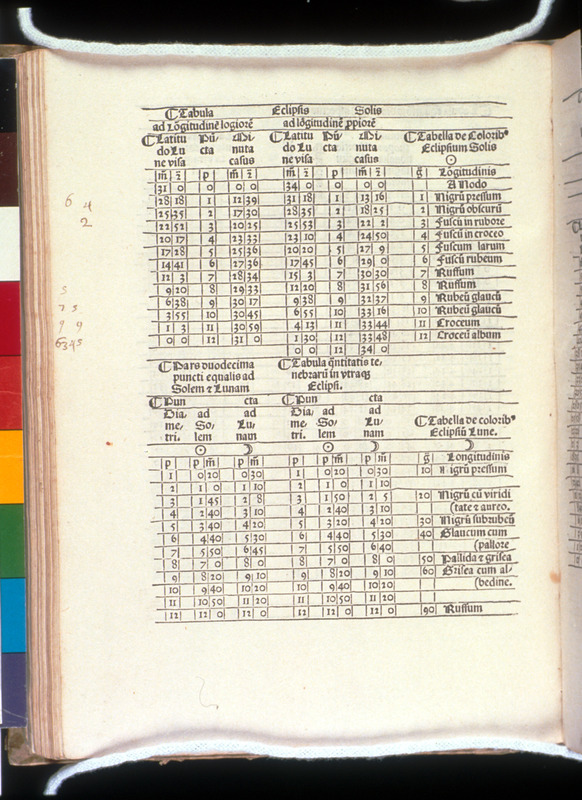 Navigators for Columbus would have taken the Alfonsine tables, a set of astronomical tables, on their expeditions to the New World. Once thought to have been devised by astronomers at the court of Alfonso X, the tables were extremely useful to navigators and crucial to early explorers. 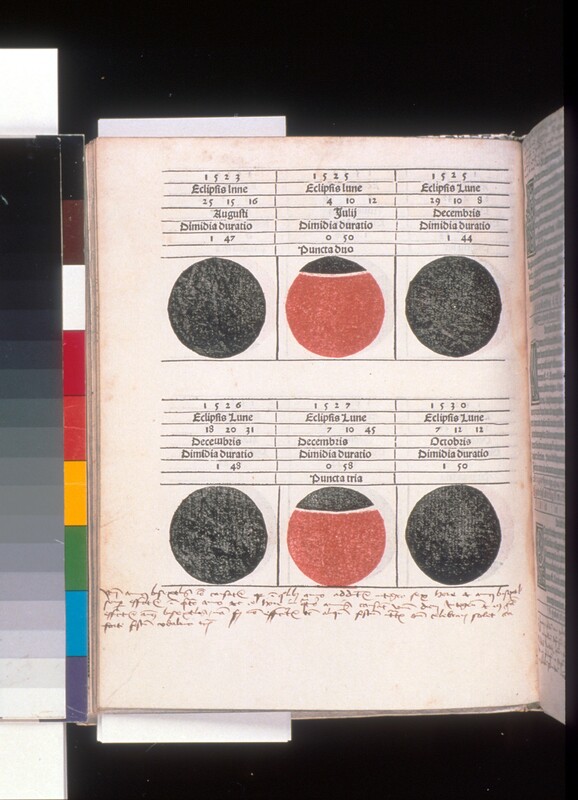 Because the tables considerably simplified astronomical calculations, the user could determine planetary positions without having to work with the underlying mathematical models that described the Ptolemaic solar system. Amsterdam: Joannern Janssonium and Elizeum Weyerstraten, 1664-65. A man of intense curiosity, Jesuit scholar Athanasius Kircher pursued research in geography, language, astronomy, mathematics, and medicine. 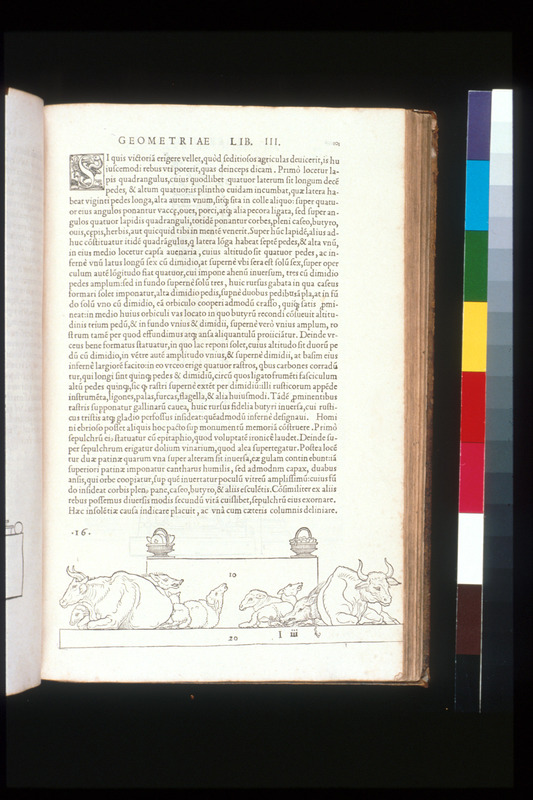 He authored more than 40 books, including Mundus subterraneus, perhaps the earliest printed work on geophysics and vulcanology. 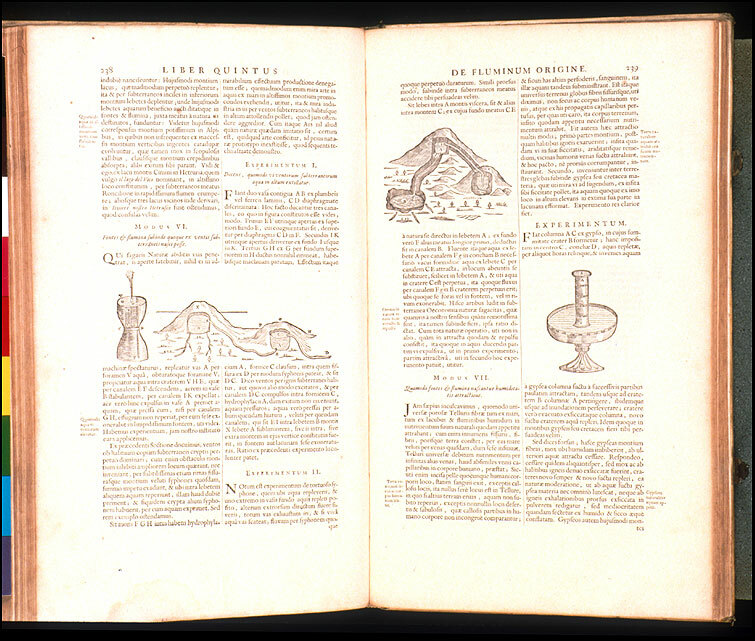 Recent earthquakes and the 1630 eruption of Mount Vesuvius prompted Kircher’s interest. To satisfy his inquisitiveness, he climbed Vesuvius and was lowered by a rope into the crater. 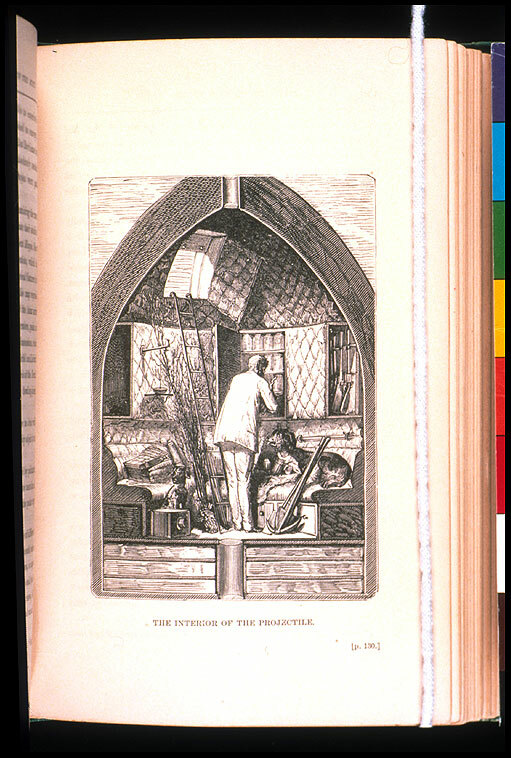 In this book, he speculated on the nature of phenomena that occur below the Earth’s surface, and explained and illustrated the origins of fossils, hot springs, and volcanoes. 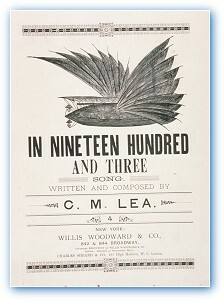 "In Nineteen Hundren and Three"
New York: Willis Woodward, 1894. 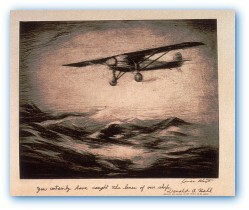 The lyrics speculate about the possibility of powered, controlled flight in 1903, surprisingly the same year that the Wright brothers made their historic first flight. London: E. & C. Dilly, 1774. 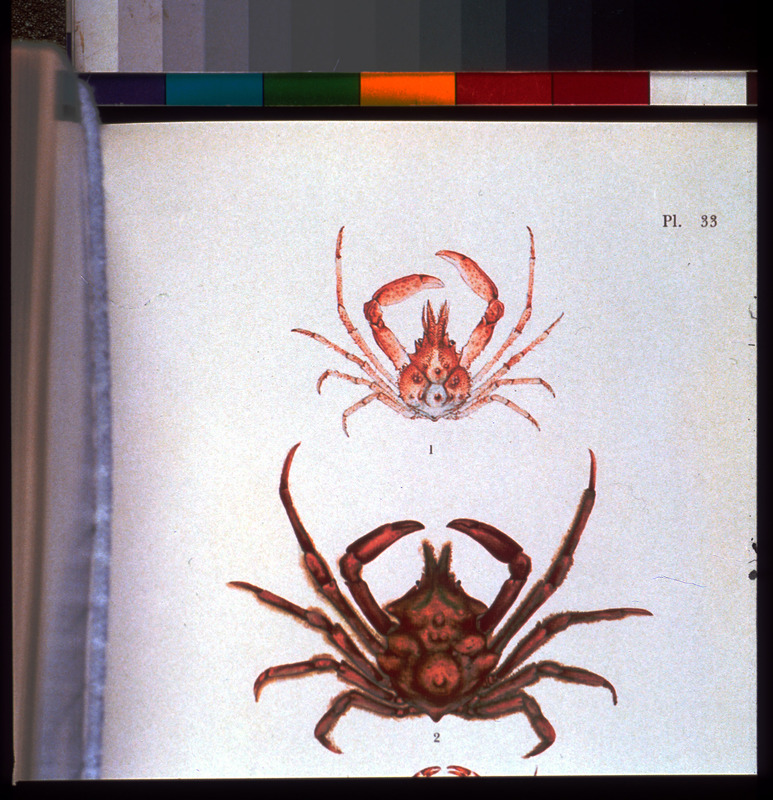 Battling careless handling, rot, bugs, and inadvertent damage, European scientists and collectors exercised considerable ingenuity in getting specimens safely home for study and in keeping them safe once there. 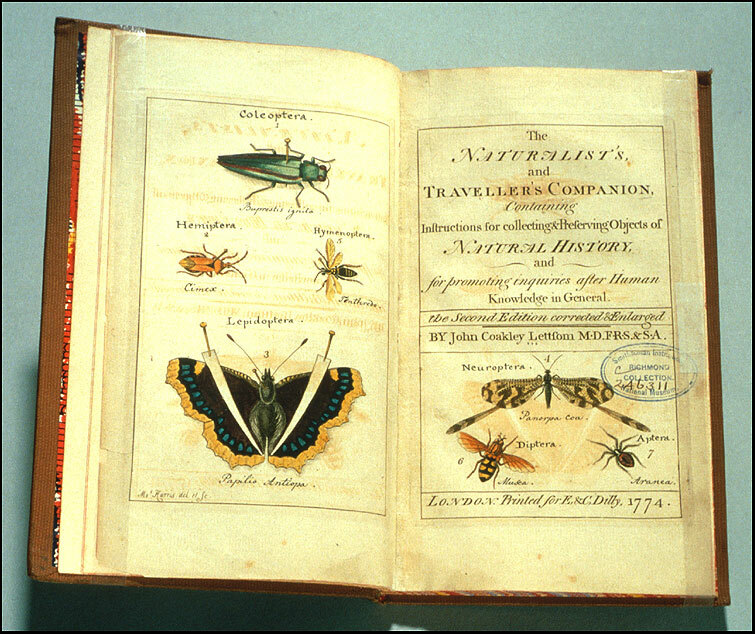 In 1772, Lettsom, a British physician who had a private natural history museum and botanical garden, produced one of the earliest and most handsome manuals on collecting, preparing, transporting, and preserving scientific specimens. 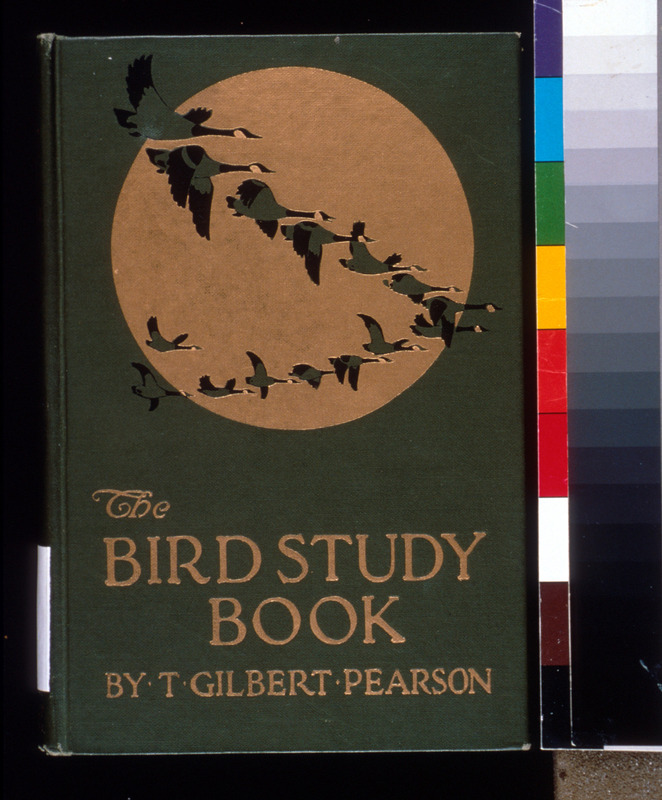 Charles W. Richmond, a Smithsonian ornithologist and bibliographer, acquired this book in the early 1900s. Leipzig: Hachmeister and Thal, 1928. 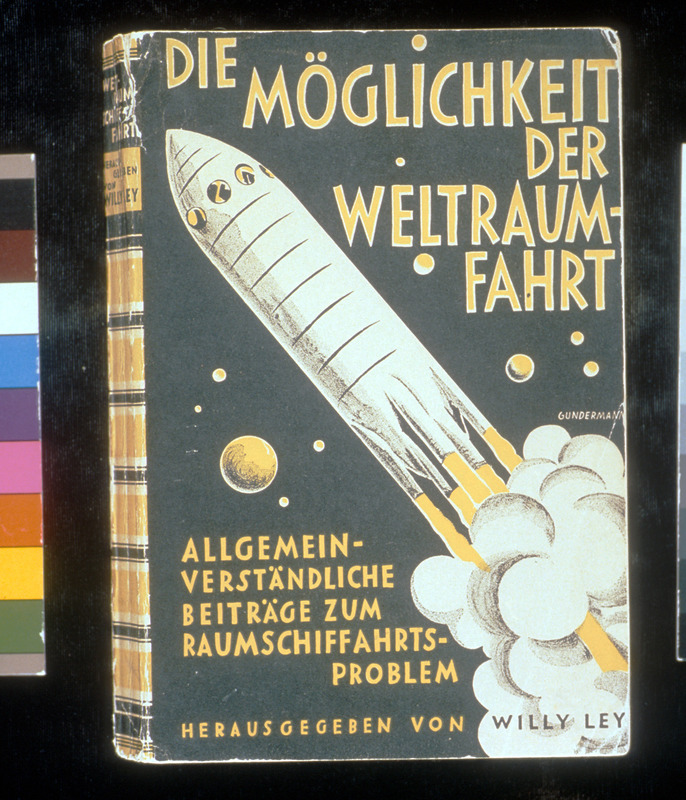 Ley, a paleontologist, engineer, and theorist on conditions on other planets and space, edited this book of essays written by famous rocket scientists, including Hermann Oberth, Walter Hohmann, and Guido von Pirquet. New York: G.P. Putnam's Sons, 1927. On May 21, 1927, Charles Lindbergh completed the first nonstop solo air crossing of the Atlantic, in 33 hours and 39 minutes. 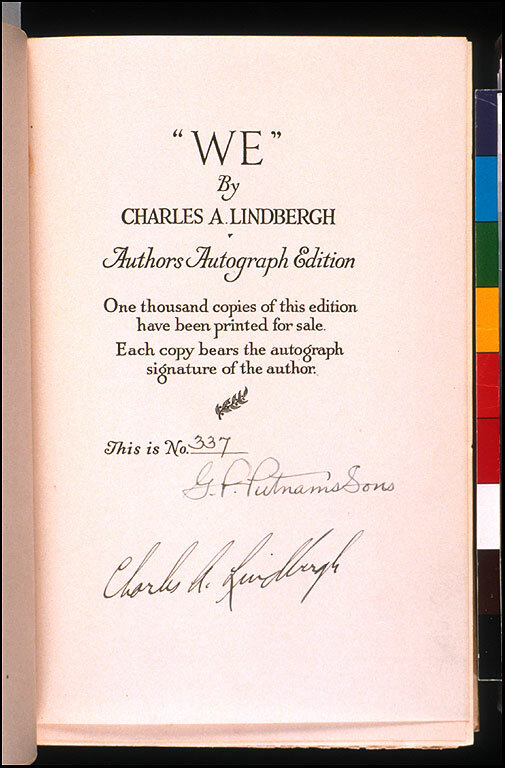 Lindbergh, who flew in a customized single-engine Ryan monoplane, the Spirit of St. Louis, signed this copy, one from an edition of a thousand. World explorers brought back to Europe so many exotic plant and animal specimens that chaos loomed for the 18th-century naturalists attempting to identify, classify, and communicate what they had gathered. 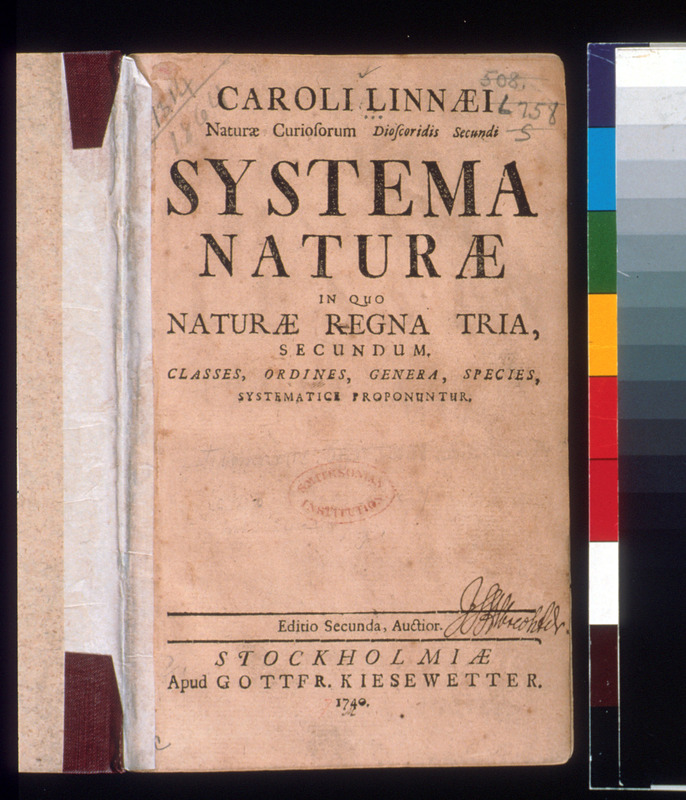 Linnaeus made a great contribution to science by developing systems of classification and nomenclature to organize these processes. 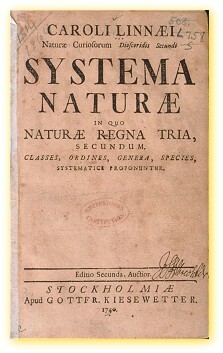 His principles of organization, especially his system of binomial nomenclature, provided essential tools for making sense of the natural world. 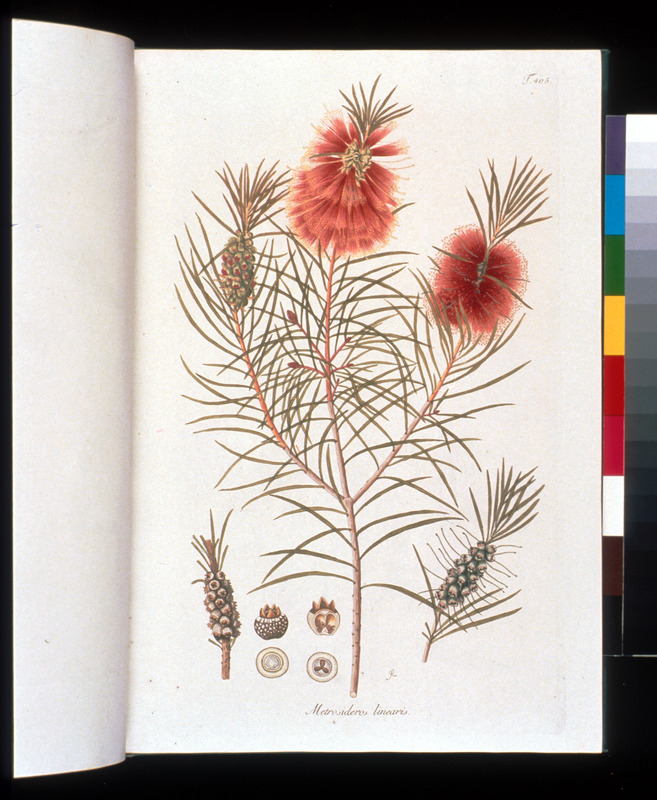 The practice of taxonomy (naming and classifying species) and systematics (the classification of species into higher groups) continues at the National Museum of Natural History today and still relies on Linnaeus’s classic work. 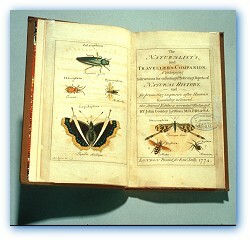 The tenth edition (1758-59), which the Libraries holds in multiple copies, was chosen as the starting point for zoological nomenclature. 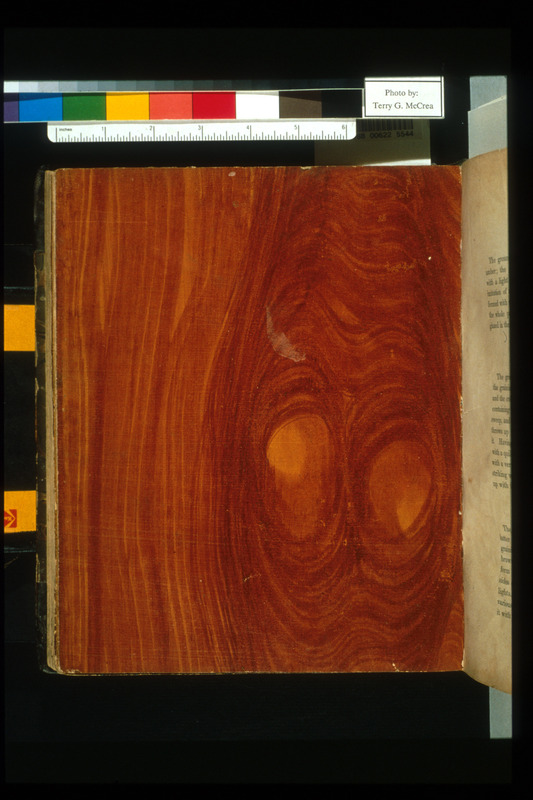 This much rarer copy of the second edition is from the library of Lorenz Oken (1799-1851), a renowned German natural scientist. One of the most effective marketing methods is to show clients a product in a memorable or eye-catching manner. 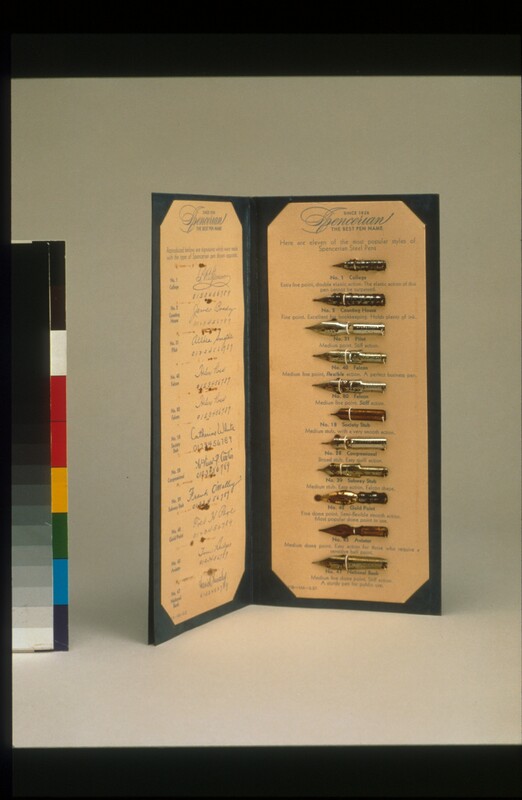 Clever designers devised ways to incorporate samples into product literature. 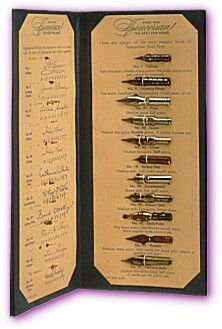 These examples include a colorful cover sunburst of lacquer strips, pen points and their corresponding signature styles, and colored threads indicating dye lots. 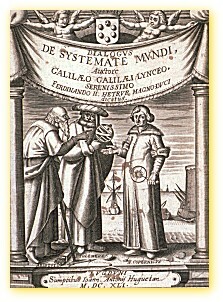 Olaus Magnus (Olav Stov), a Swedish bishop who traveled widely in Scandinavia and Europe during the mid-1500s, compiled the first major work on the peoples, geography, economy, and fauna of northern Europe. 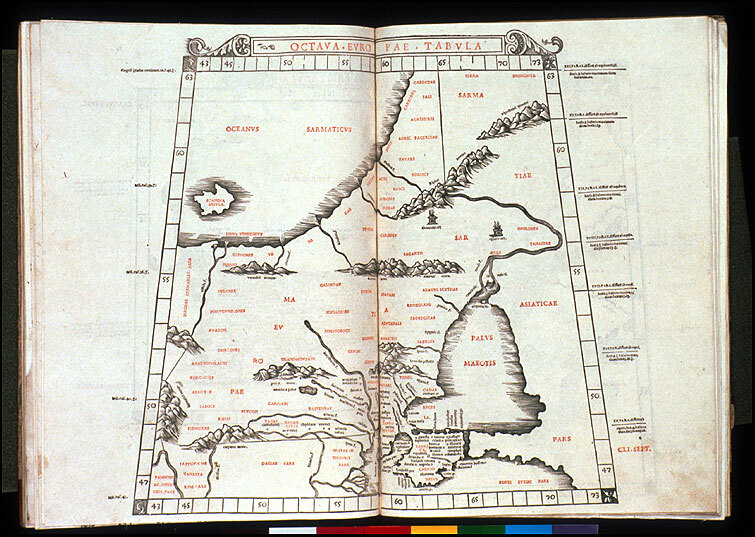 Olaus Magnus intended his work, first published in Latin (Rome, 1555), to be an explication of his great map of the lands of the north, which he created in 1539. 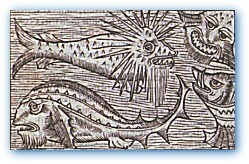 Woodcuts show northern peoples, including Lapps and Finns, engaged in their daily occupations, which were no doubt exotic and strange to southern Europeans. 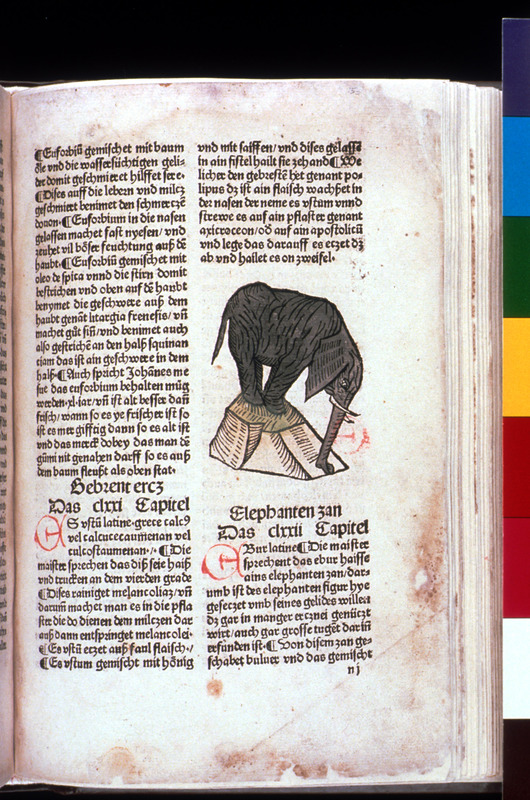 The volume also includes some of the first illustrations of whaling, and readers may have readily accepted as real the various fantastical monsters depicted throughout the popular and widely translated book. Though trained as an engineer, Martinet was another of the great 18th-century engravers, producing hundreds of plates for Brisson’s Ornithologie and Buffon’s Histoire naturelle, among other works. 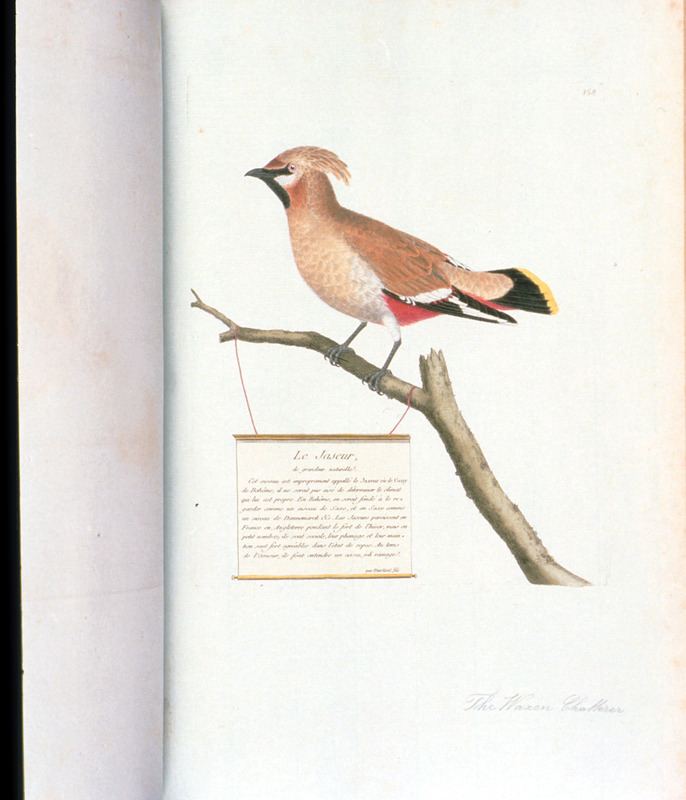 Carrying on the success of his ornithological illustrations, he and his son engraved and issued independently at least two series of bird plates from the 1770s into the 1790s. The 174 numbered plates in this volume are especially charming for their delicate coloring and occasional Parisian backgrounds. Amsterdam: For the author by G. Valck, . 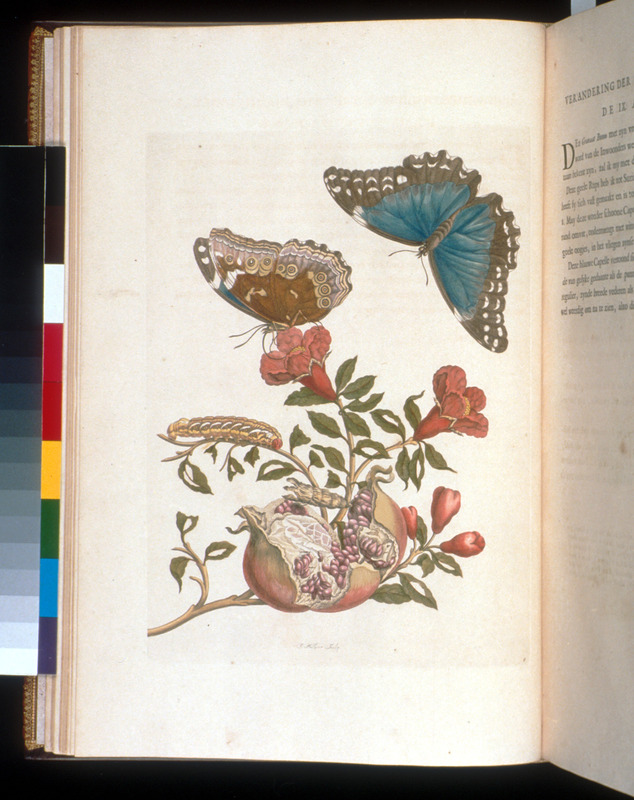 Maria Sibylla Merian, the daughter, sister, and wife of artists and engravers, lived a most unconventional life: she became an artist herself, left her husband to join a Protestant sect, and voyaged at the age of 50 to the Dutch colony of Surinam in South America. 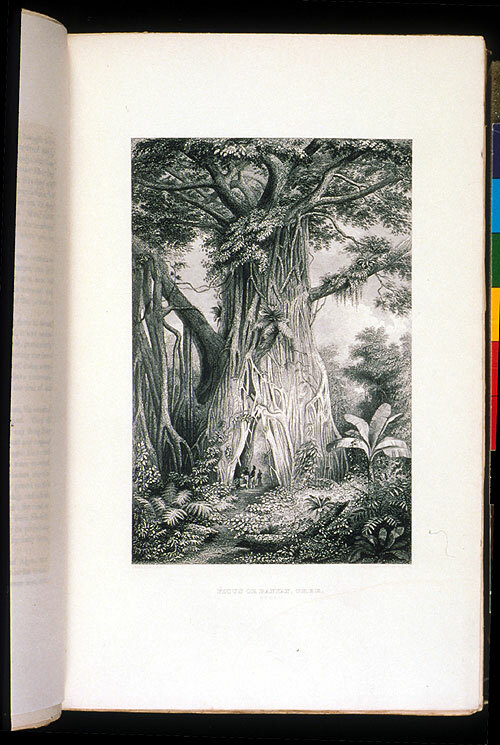 Merian, who worked professionally under her own name, spent two years in the rain forest observing, collecting, and drawing insects and plants. Despite a few errors, her Metamorphosis, published after her return, is a masterpiece of both art and science. 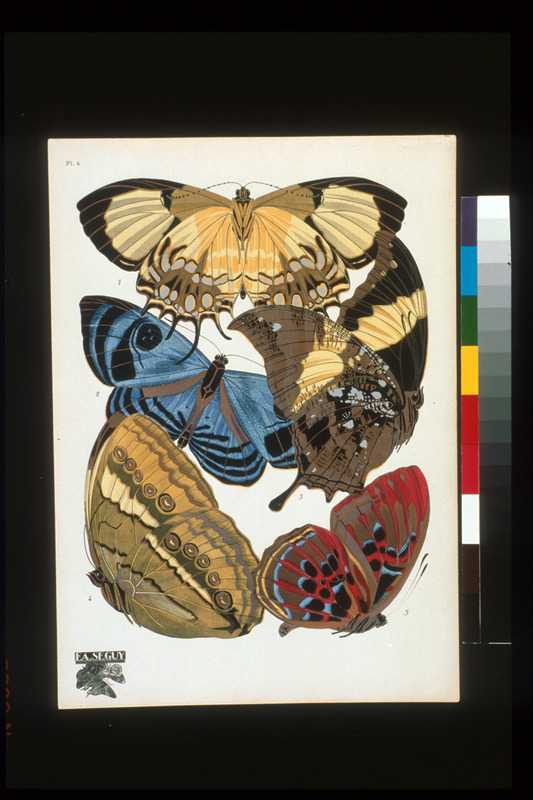 In a vivid, pleasingly ornate artistic style, she was the first to record the full life cycle of many species of butterflies and moths. 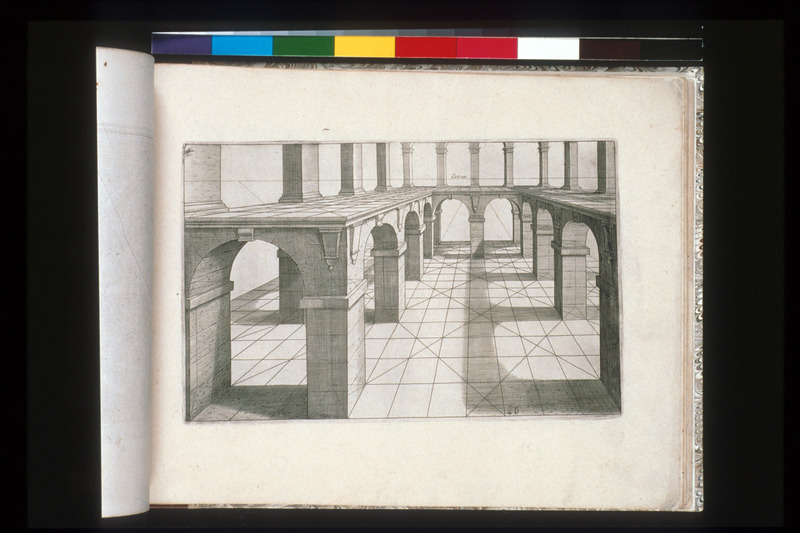 Opticks, or, A Treatise of the Reflections, Refractions, Inflections and Colours of Light. 2nd ed. London: W. and J. Innys, 1718. 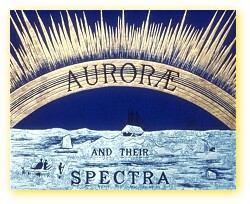 When Newton presented his concepts about the behavior and characteristics of light, particularly his assertion that white light is composed of a spectrum of colors, he posed a number of questions intended to stimulate further research. 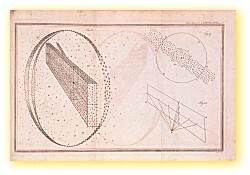 In the 1718 revision of his 1704 work, Newton extended his original 16 queries to 31; these discourses were considered the most provocative parts of the book. 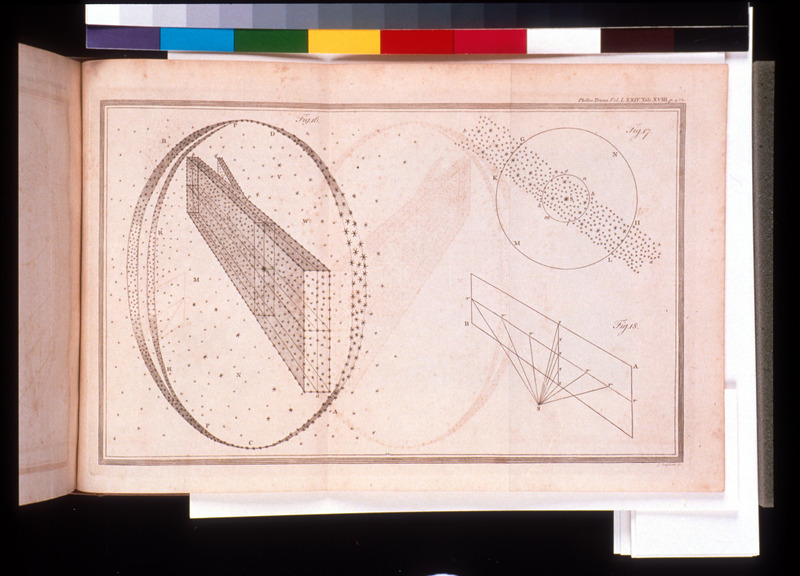 Through the queries, Newton speculated that a fluid, or "aether," pervaded all of space and provided the medium through which light could travel. 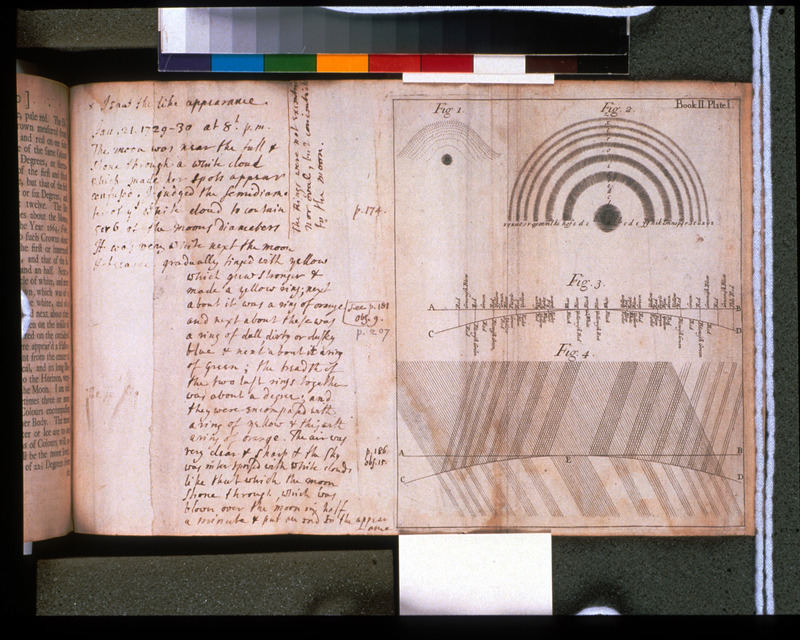 Robert Smith (1689-1768), Plumian Professor of Astronomy at Cambridge University and author of the most influential textbook on optics in the 1700s, owned this copy and annotated it heavily. 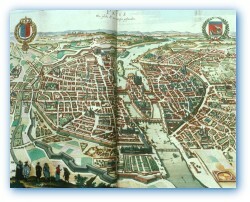 Amsterdam: by Jacob van Neurs, 1665. 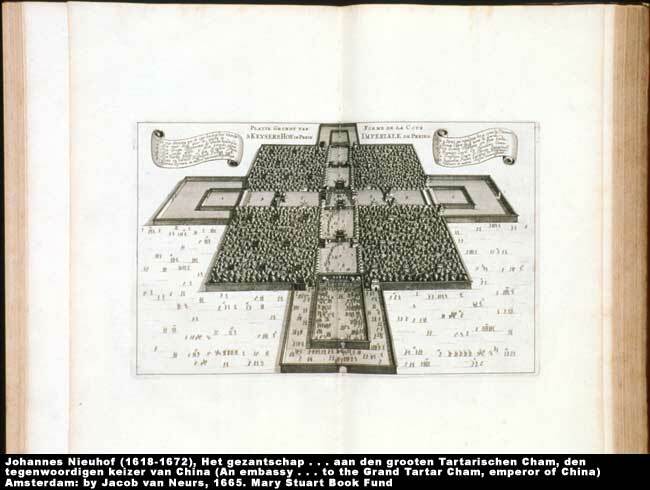 This remarkable travel account by an agent of the Dutch East India Company details the culture, landscape, peoples, architecture, festivals, and cities of 17th-century China. 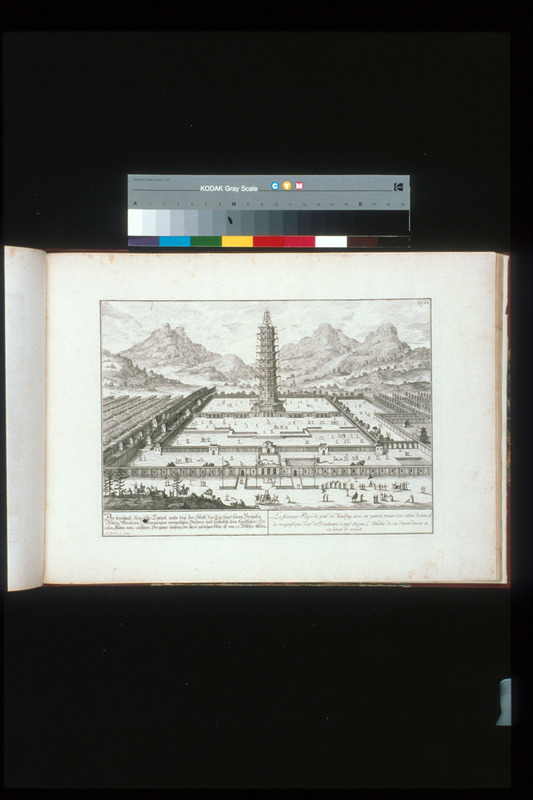 During the age of exploration and imperialism by Western powers in the Far East, Europeans craved information on exotic lands, and this book profoundly affected them. 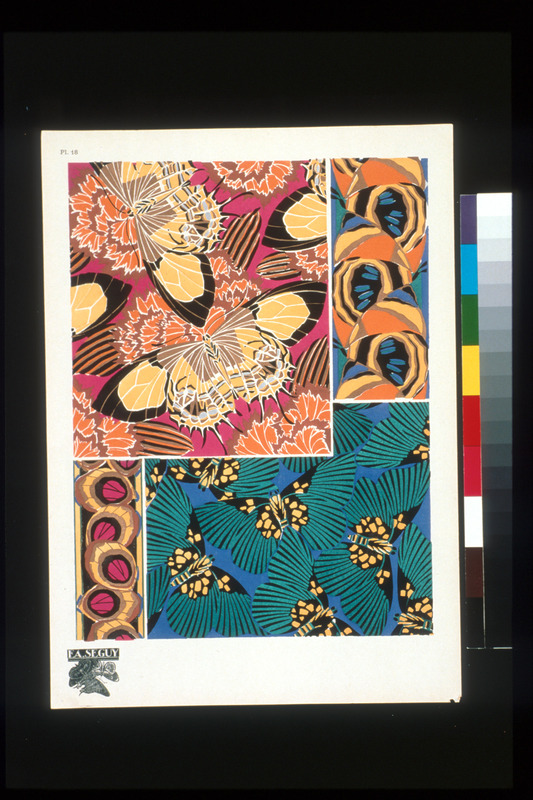 Designers copied its illustrations of Chinese ornament and used them as inspiration for creating decorative objects and furniture. 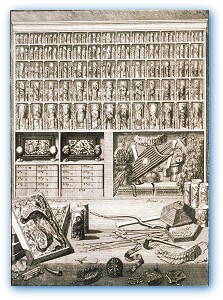 Nuremberg: Felseckerschen buchhandlung, 1796-1813. 18 vols.. 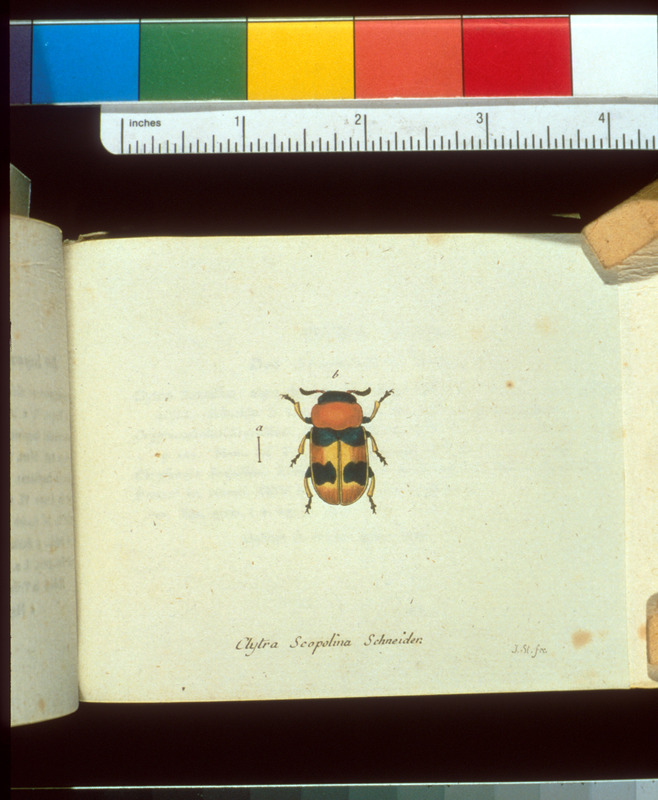 In the 18th century, entomology became a fertile field for artists as well as scientists. 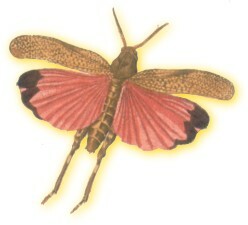 Illustrated by Jacob Sturm (1771–1848), one of the period’s best entomological artist/engravers, with more than 2,600 hand-colored plates of individual, lifesize insects, Panzer’s work was issued in 109 parts over a 17-year period. 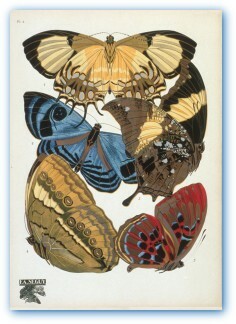 Issued as a serial publication, a common pattern for illustrated natural history works in the 18th and 19th centuries, complete sets are scarce. 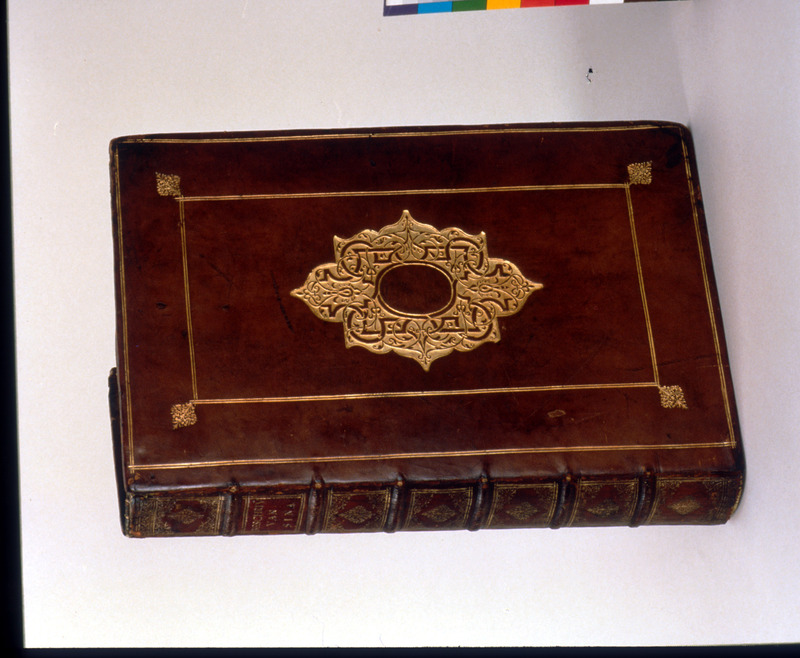 The Smithsonian Libraries has one of them, in contemporary bindings. New York: C. Scribner's Sons, 1894. Frances Theodora Parsons started taking walks in the countryside after the death of her first husband. 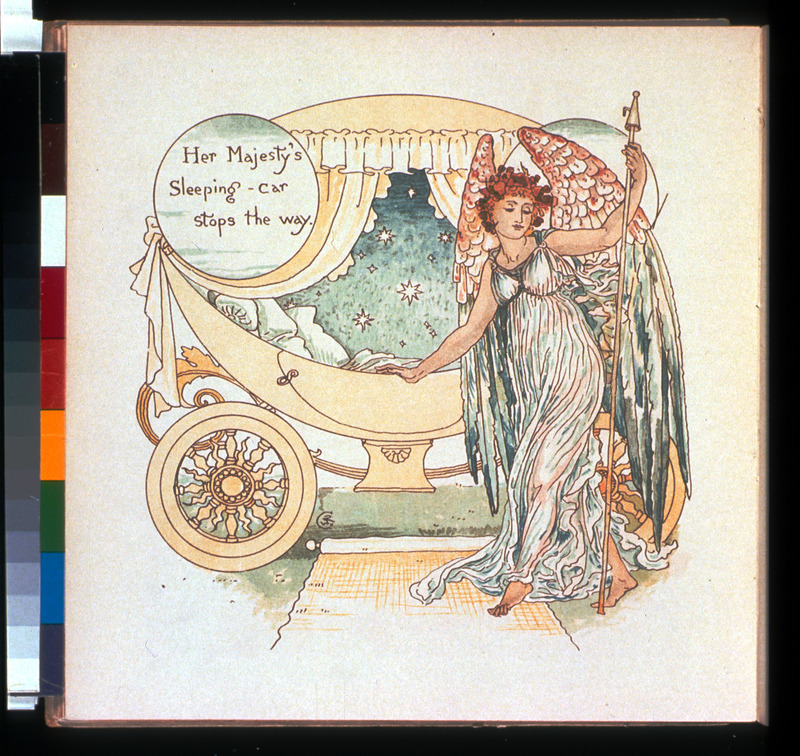 These strolls inspired her most popular book, How to Know the Wildflowers (1893). According to Season is a collection of the author’s articles for the New York Tribune. 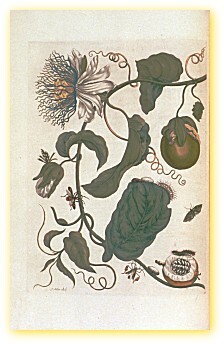 This special copy of the first edition contains nine original watercolor sketches by an unknown artist. Philadelphia: printed by C. Sherman, 1848. Peale, the youngest son of American artist Charles Willson Peale, was one of the naturalists appointed to the United States Exploring Expedition of 1838-42. 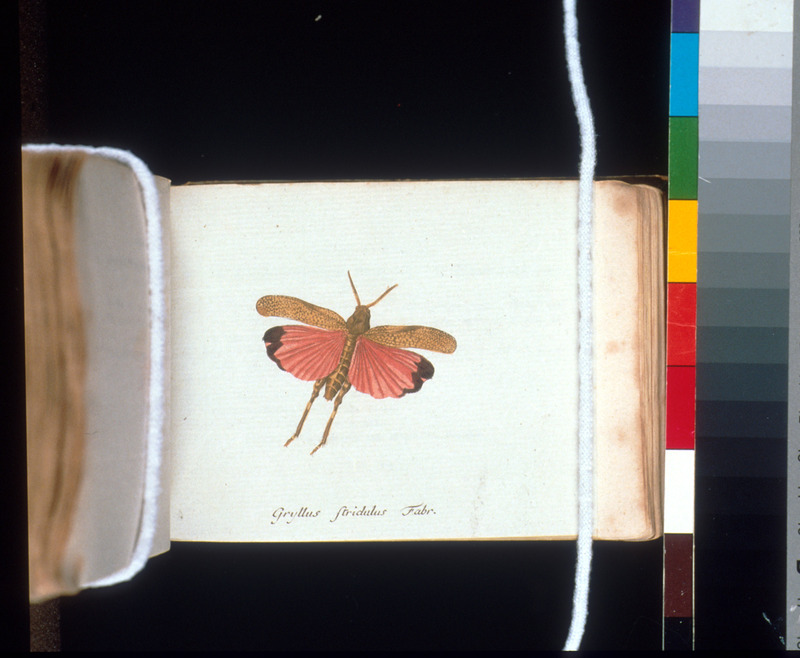 Because Charles Wilkes, the expedition’s leader, objected to parts of Peale’s report, and other naturalists criticized his taxonomic nomenclature, Peale’s volume was suppressed shortly after it was published. 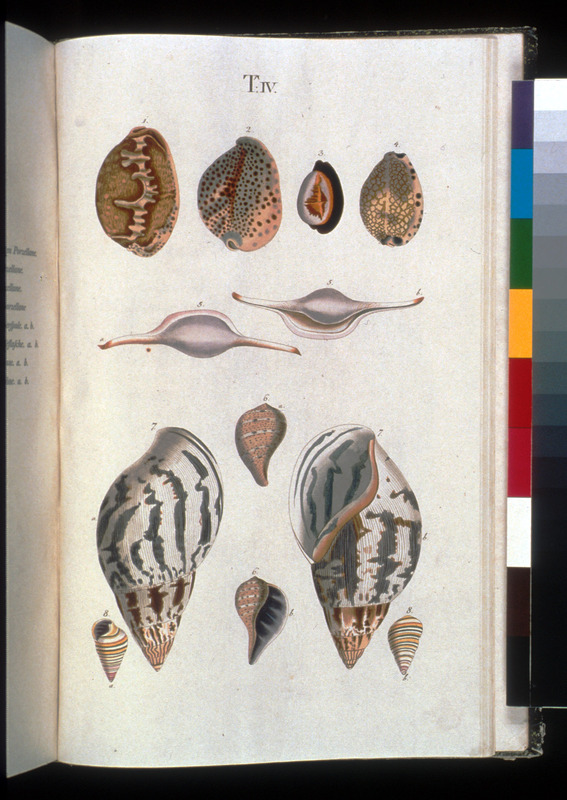 Peale’s plates survive in the official expedition report by John Cassin, which also quotes Peale’s field observations at length. 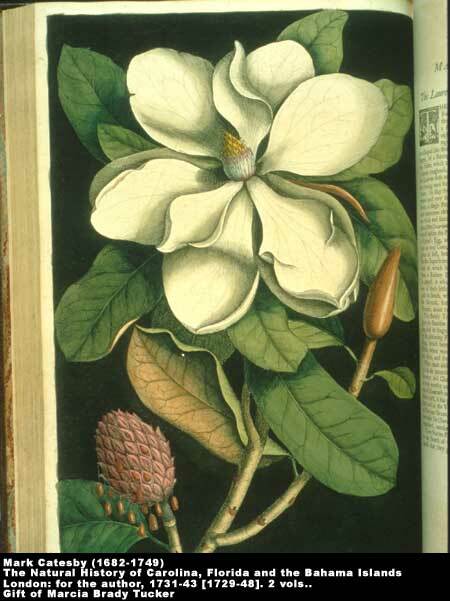 The Smithsonian Libraries holds two copies of Peale’s extremely rare work, all in their original bindings. Garden City, N.Y.: Doubleday, Page, 1917. 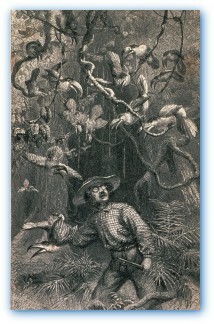 Pearson, a famous southern naturalist, was one of the founders and later president of the National Association of Audubon Societies (now the National Audubon Society). 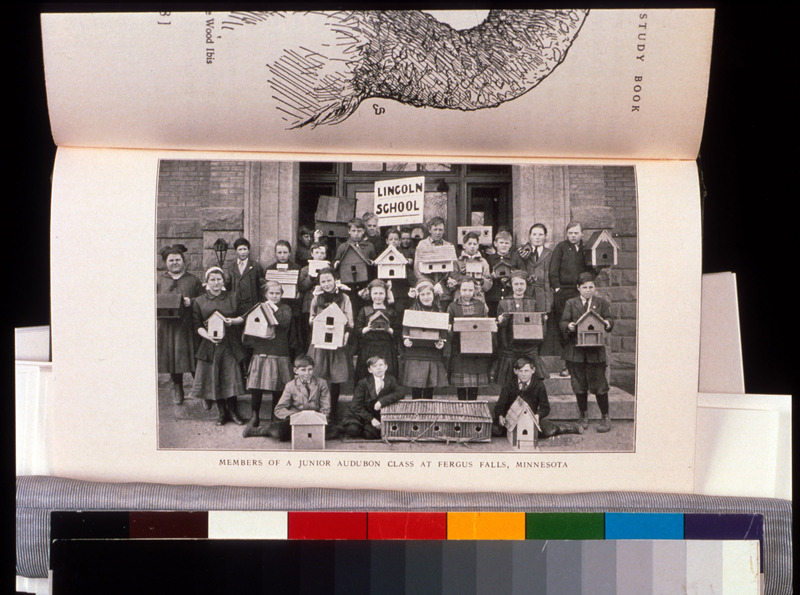 Pearson, who also founded the International Council for Bird Preservation, established many school libraries throughout his native North Carolina by donating natural history books to school superintendents. 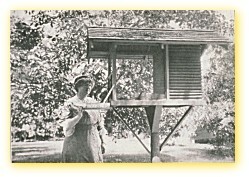 His early work on bird conservation is important to the mission of the Smithsonian Migratory Bird Center at the National Zoological Park as well as to the history of the conservation movement in the United States. 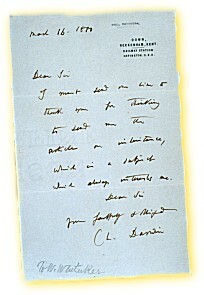 The Smithsonian Libraries copy is signed by author. 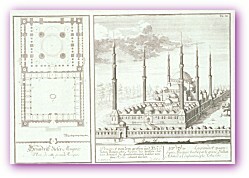 Leiden, Amsterdam: F. Hackius, L. Elzevir, 1648. Willem Piso served as the physician of the Dutch settlement in Brazil from 1636 to 1644 and was a pioneer in tropical medicine and pharmacology. 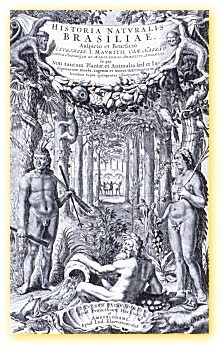 He studied the herbal medicines of the indigenous people and advocated many of their health practices. 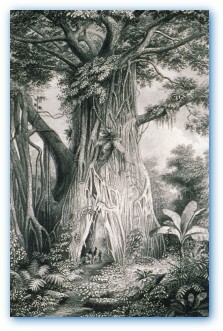 Searching the jungle for medicinal plants, he was the first European to grasp the usefulness of native treatments using ipecacuanha, sassafras, sarsaparilla, guaiacum, and other plants. 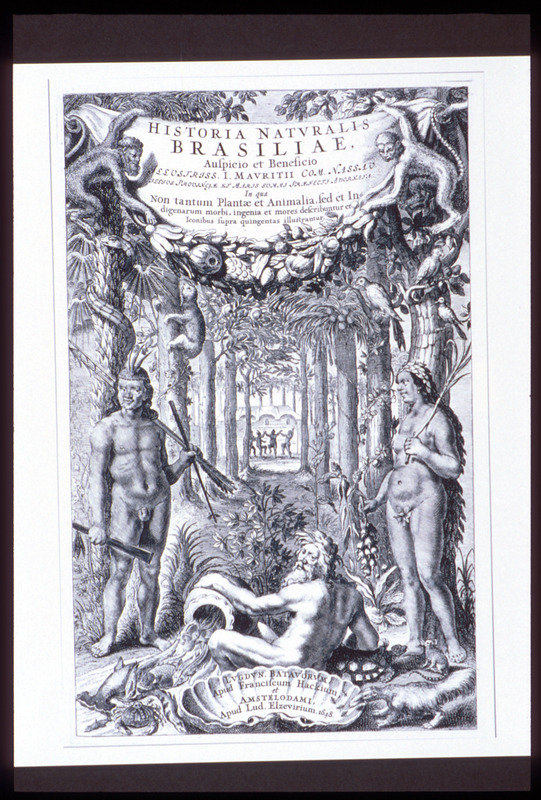 His findings constitute the first part of the Historia naturalis Brasiliae; the second and larger part is a broader natural history of the region by Georg Marggraf, Piso’s assistant, and includes the first illustrations and descriptions of a variety of New World animals. 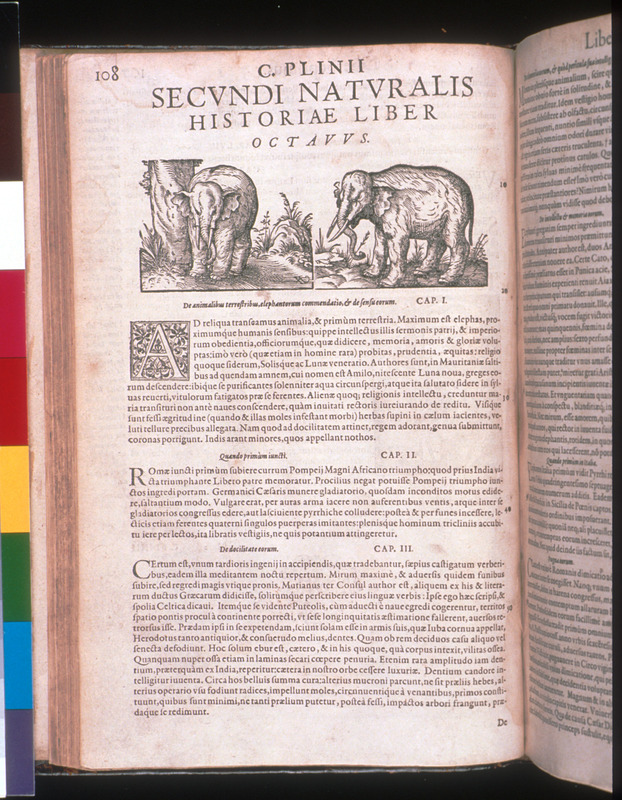 Naturalis historia is the most thorough zoological and botanical treatise known from the ancient world. Gaius Plinius Secundus, a well-traveled military officer of the Roman Empire and a naturalist, attempted to record all knowledge of the world and nature, preserving that written by earlier authors and adding to it from his own observations. A man of intense curiosity, he died after venturing too close to the erupting Mount Vesuvius. 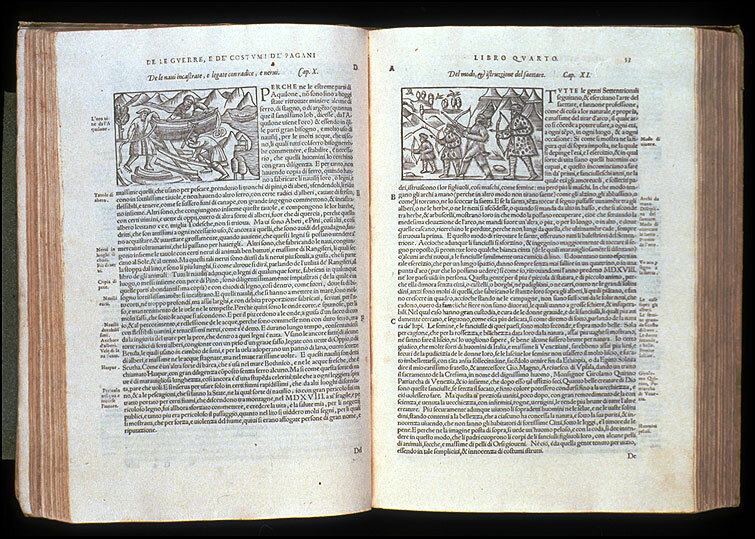 The 1582 edition, with woodcuts by artists Jost Amman and Hans Weidlitz, is one of the few illustrated versions among the 15 editions (published from 1469 to 1800) that are held in the Smithsonian Libraries. Paris: Emile Benoit, no date. This song describes a young girl’s dream of a balloon journey into space. 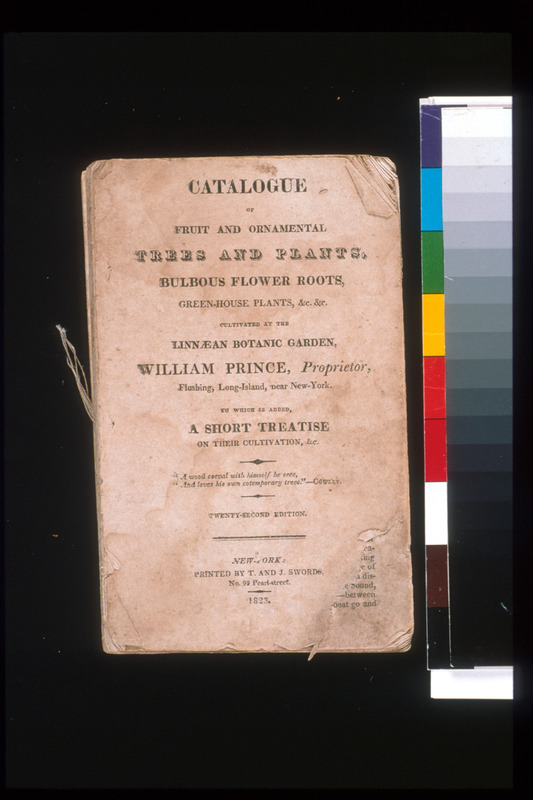 Catalogue of Fruit and Ornamental Trees and Plants, Bulbous Flower Roots, Green-house Plants, . . . The Prince garden on Long Island was the first major commercial nursery in the United States. It became the largest and most important American nursery of the 18th and early 19th centuries. Its first known advertisement is dated September 21, 1767, and its earliest catalog was published as a broadside in 1771. 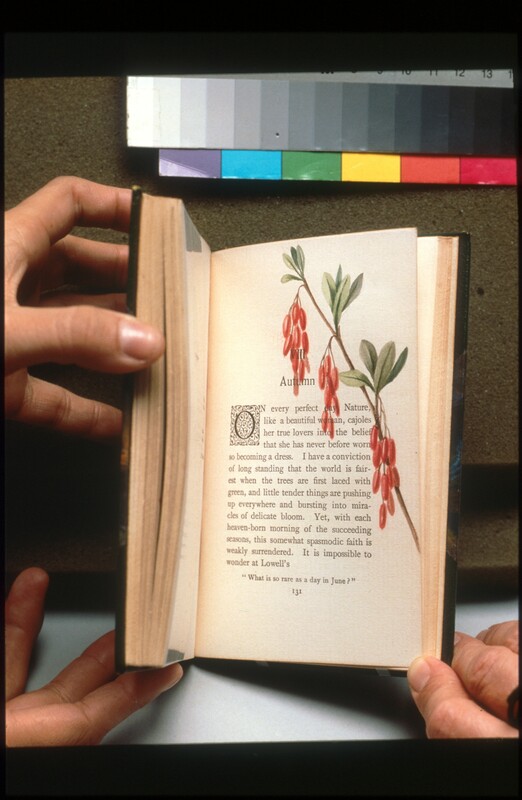 Many of the shrubs and flowers collected from the Lewis and Clark expeditions were sent to the Prince nursery for propagation and distribution. 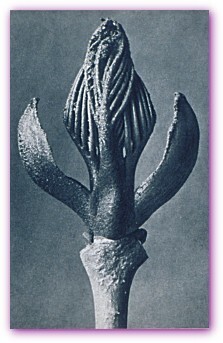 The nursery also trained most of the early plantsmen in the United States. 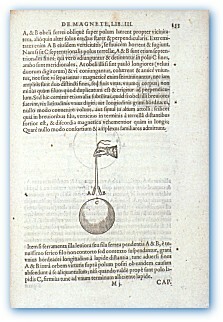 Venice: Iacobum Pentium de Leucho, 1511. Claudius Ptolemaeus, an astronomer and mathematician living in Alexandria, Egypt, summed up the geography of the known world -- essentially the Roman Empire -- in the second century A.D. 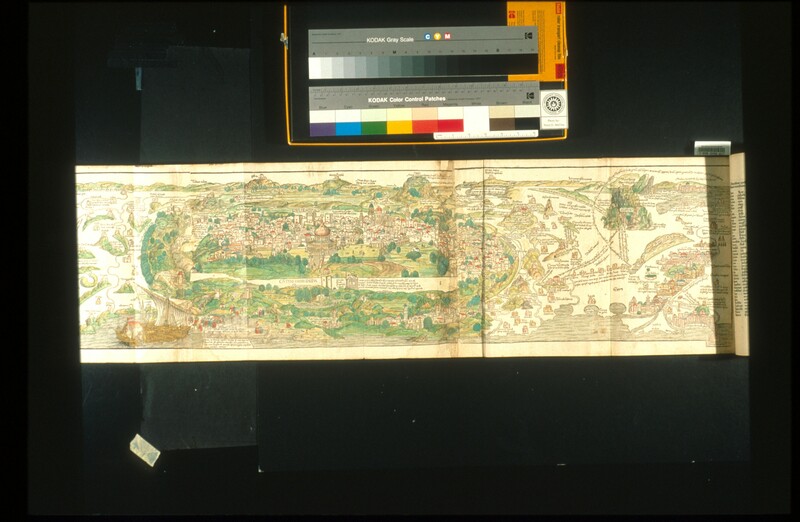 He systematically listed the latitudes and longitudes of some 8,000 places in Europe, Africa, and Asia, and described methods of projection for drawing maps. 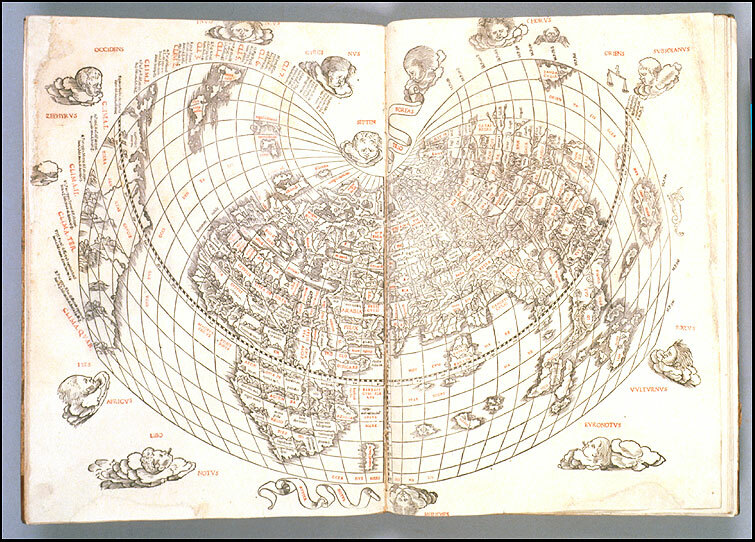 Ptolemy’s work represented a major advance in the science of mapmaking and, despite its errors, retained its authority for almost 1,400 years. 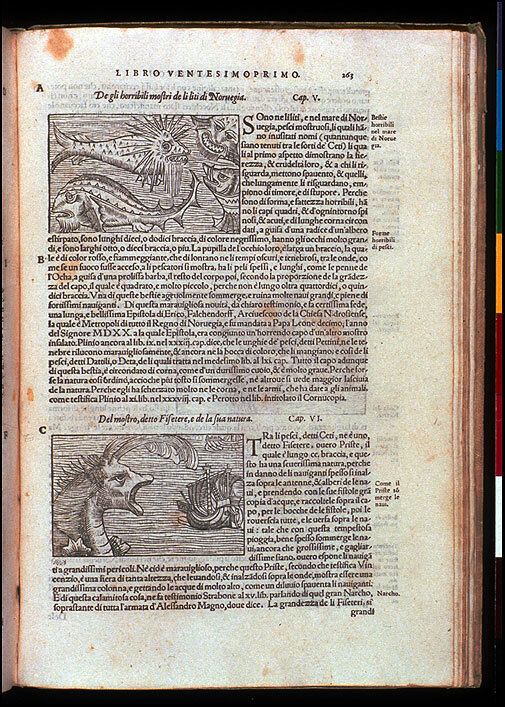 It survived for centuries through manuscript copying and was put into print in 1482, all the while expanding as geographical knowledge increased. 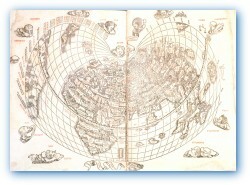 The 1511 edition is the first to include a bit of North America in the world map. Published in collaboration with the Kuru Art Project, Qauqaua is a rendition of a Naro folk tale and the first book to be published in Naro and English. Part of the folklore of Botswana, the story is mythically connected to rock engravings that are said to be the footprints of Qauqaua. 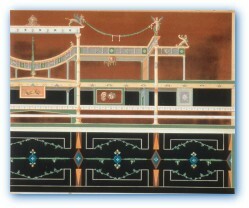 It combines the quality of the artist’s object with a folk tale similar to earlier exploration narratives. 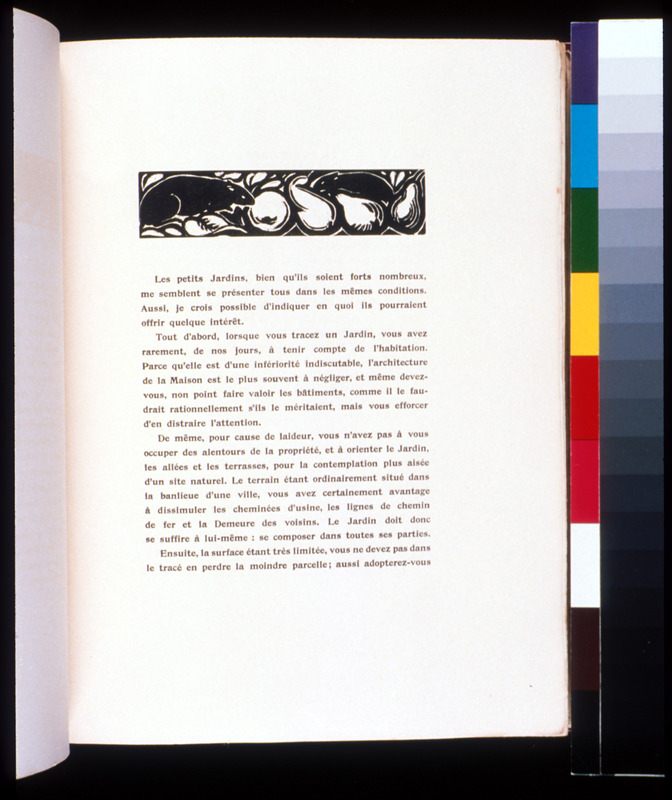 The book was hand-printed in a limited edition of 100 plus 20 artists’ proofs; the Smithsonian Libraries copy is numbered 52 of 100. 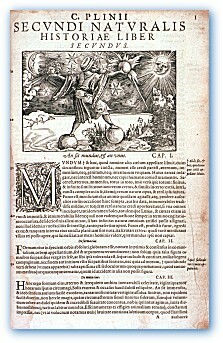 Regiomontanus, one of the first publishers of astronomical material, developed an almanac series that was popular enough to continue after his death. 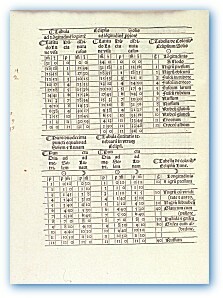 The almanacs contained planetary positions for a particular year as calculated from astronomical tables, freeing astronomers from performing the laborious task themselves. 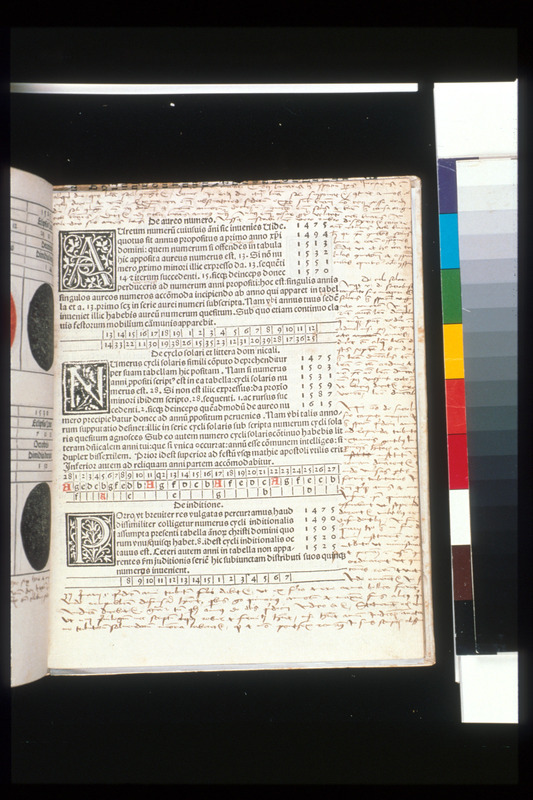 This 1499 copy contains numerous annotations to the almanac and its eclipse predictions. 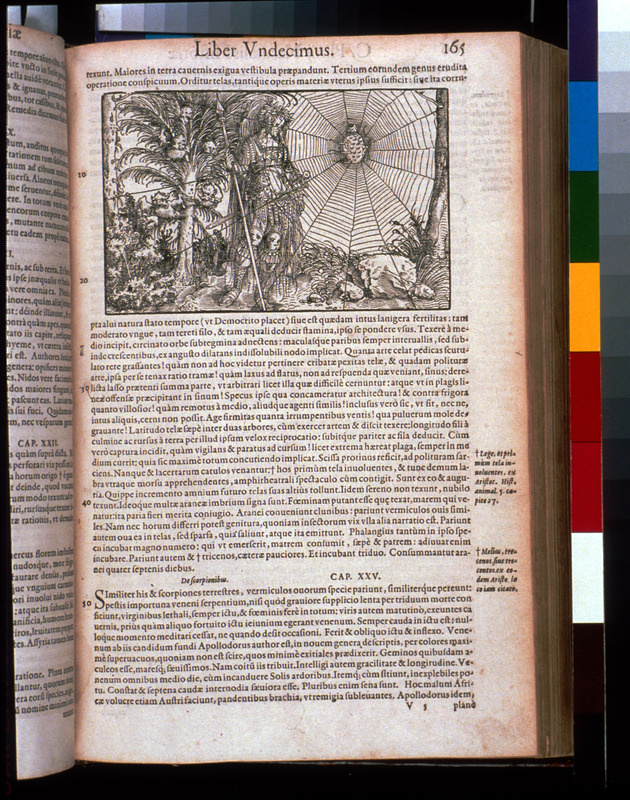 Austrian astronomer Georg Peurbach began a new Latin translation in 1460 of Ptolemy’s compendium of Greek astronomical knowledge, and Regiomontanus, a German astronomer and mathematician, completed it before 1463. 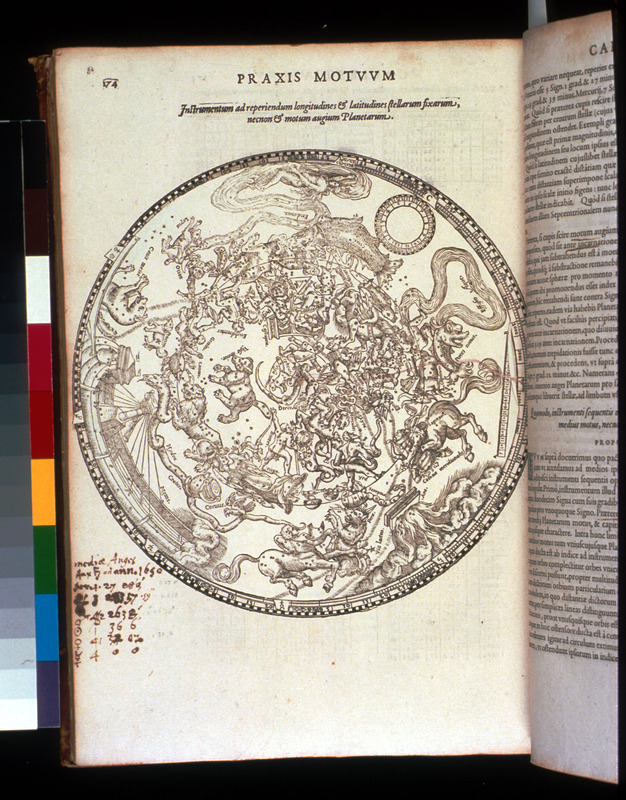 The authors clarified obscure passages and offered a concise and comprehensible summary of the Almagest. 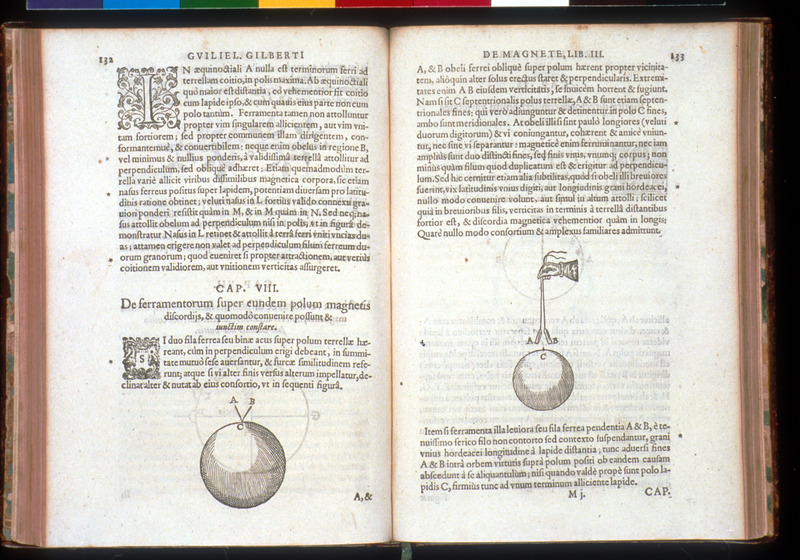 The work, the first appearance in print of Ptolemy’s treatise, had an unprecedented impact on Renaissance astronomers and played a key role in the development of modern astronomy. 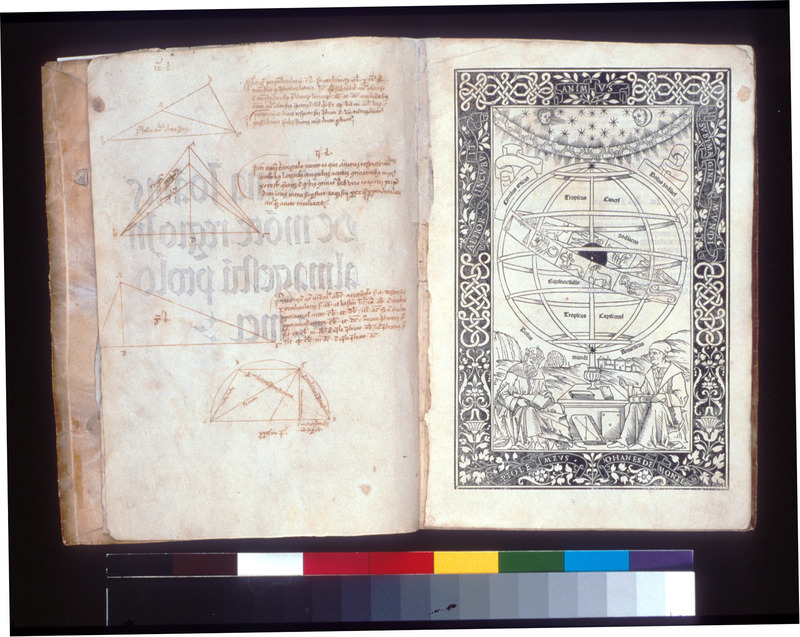 The Smithsonian copy is heavily annotated and contains numerous mathematical drawings. 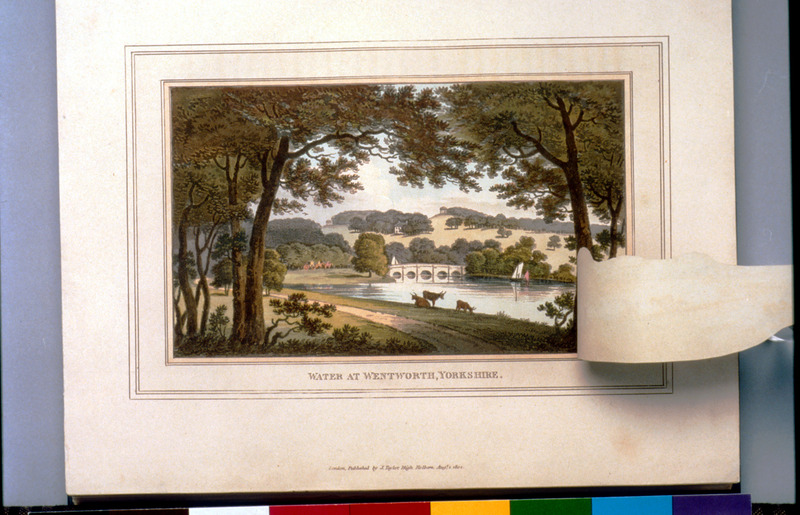 London: printed by T. Bensley for J. Taylor, 1803. 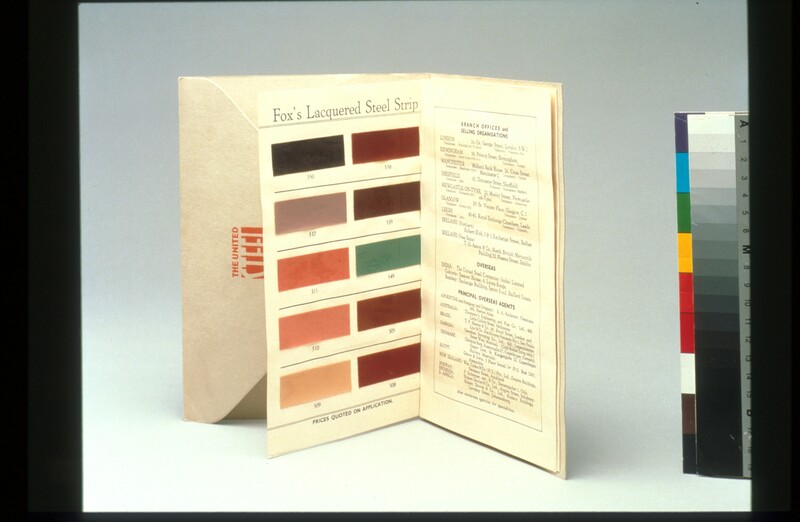 Essentially a device to show prospective clients how Repton could transform their grounds, Observations embodies his theories about creating formal landscapes for English country estates. Although Repton often incorporated neoclassical structures into his designs, they still retained a natural feel because of his strategic placement of loosely gathered together trees and plants throughout. In this work, he supplied "before" and "after" views; the viewer lifts a paper flap to see the dramatically transformed garden. 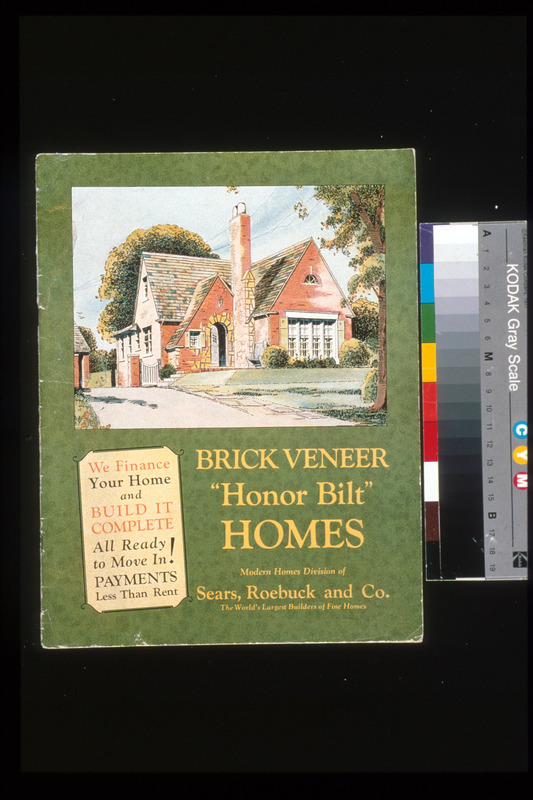 Brick Veneer "Honor-Bilt Modern Homes"
Sears shipped the components for 49,500 "kit-houses" in 15 years, providing middle-class Americans with good residential design at affordable prices. 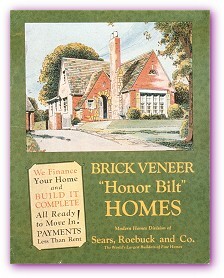 Buyers selected their dream house from the scores of models presented in Sears’ "Honor Bilt" catalogs. 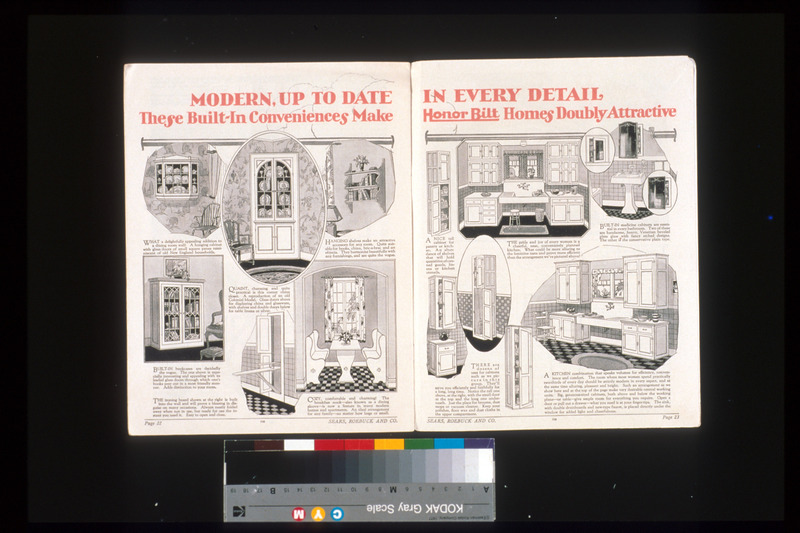 For historians, details of house design, such as the breakfast nook, and slogans, such as "Where women spend 2/3 of every day should be modern and bright," are important records of American domestic life. 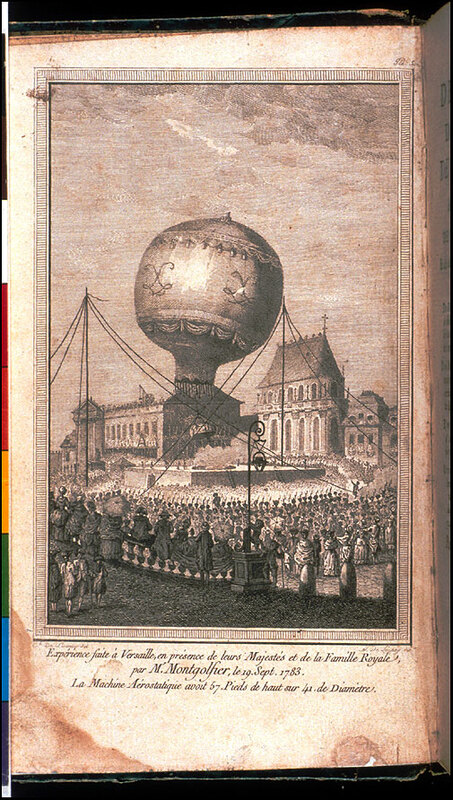 Magdeburg, Stendal, and Leipzig: Commercien-Rath Hechtel, 1764. 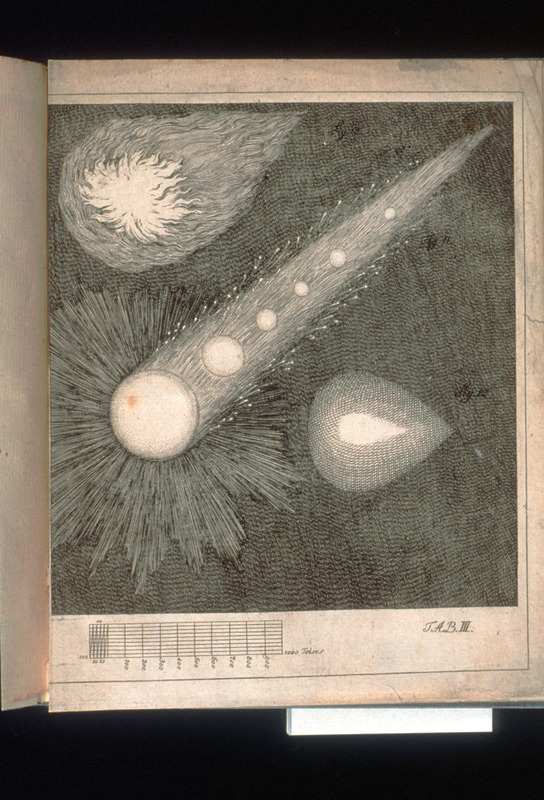 In 1762, a large fireball entered the Earth’s atmosphere and exploded over Germany. 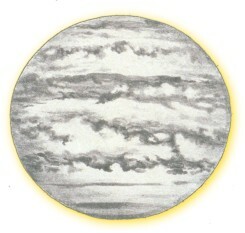 Silberschlag provided a good description of the event along with engravings of meteors, the fireball’s path, and its ultimate fiery explosion. 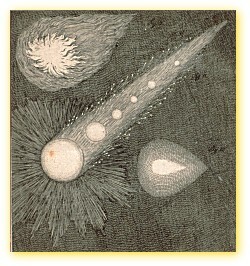 Not until the 1800s did scientists begin to concede that fireballs and meteorites might have extraterrestrial origins. Prior to that, it was difficult to conceive how boulders could fall from the sky, and many believed that meteorites were simply rocks struck by lightning. 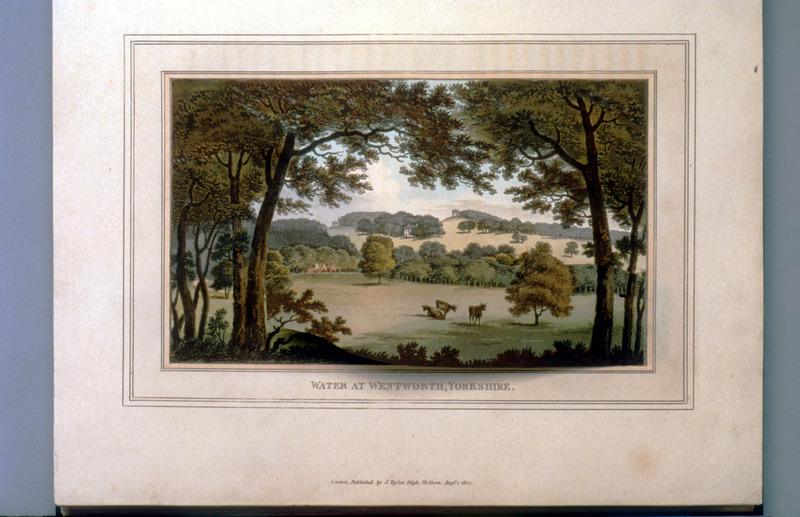 London: Printed by W. Bulmer, 1803. James Louis Macie Smithson was a gentleman scientist, educated at Oxford and interested in chemistry, mineralogy, and geology. 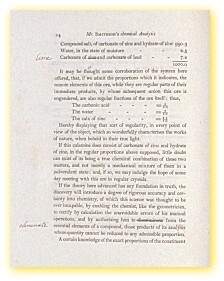 His 27 scientific papers, published in the Royal Society’s Philosophical Transactions and Thomson’s Annals of Philosophy, include this one on the mineral (a form of zinc carbonate) that was later named "smithsonite" in his honor. Smithson bequeathed $550,000 in gold as well as his library and personal effects to the United States, but many items were lost in a devastating fire in 1865. 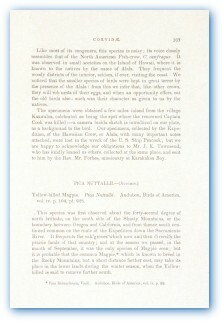 Approximately 115 titles survived, including several copies of this corrected offprint, and they are now in the Smithsonian Libraries Special Collections. 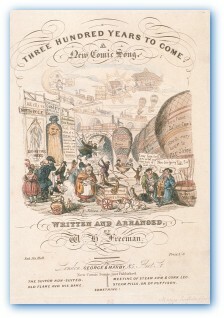 London: Printed by Richard Taylor and William Francis, 1858. Piazzi Smyth was the first astronomer to seriously advocate that astronomical observations would be greatly improved if done at high altitudes. 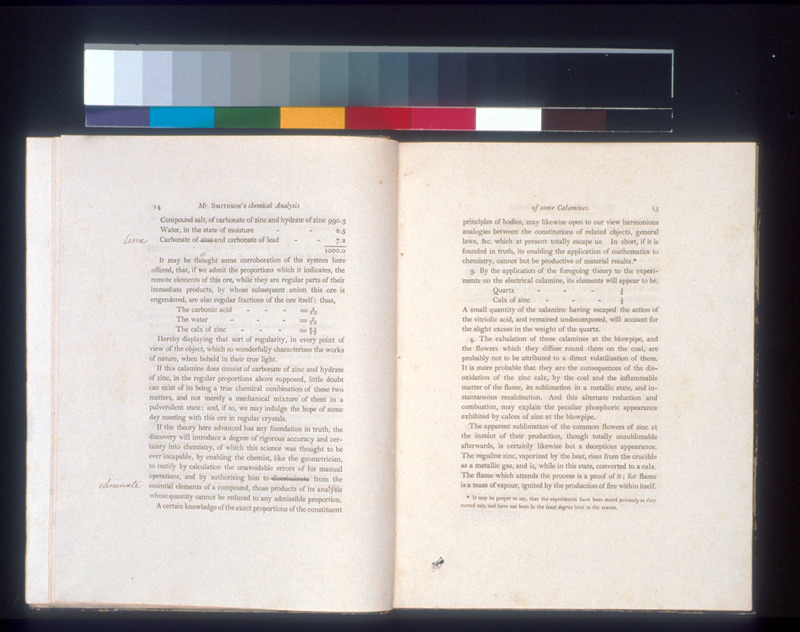 His report to the British Admiralty on his expedition to the Canary Islands greatly influenced the next generation of astronomers, including Samuel P. Langley (1834-1906), third Secretary of the Smithsonian, to whom he sent this copy. 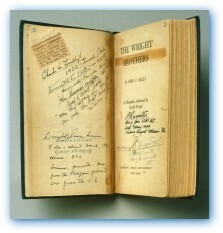 It includes annotations by the two men as well as a pasted-in spectrum by Piazzi Smyth and a letter from him to Langley. Vienna: Ignaz Alberti's Wittwe, 1795 [1801 issue]. 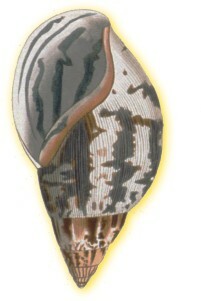 Elegantly combining art and science, Spalowsky’s Prodromus presents descriptions of new mollusk species accompanied by strikingly beautiful illustrations, some of them painstakingly layered with gold and silver leaf under watercolor to reproduce the effect of iridescence. 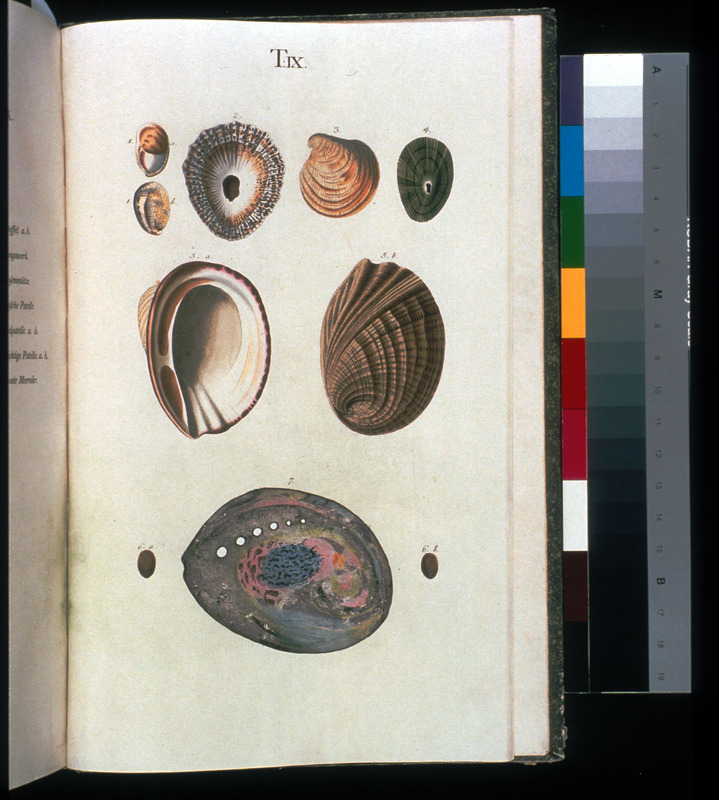 This book, in the 1801 issue with a contemporary binding, is one of the rarest published works on mollusks. Baltimore: John Hopkins University Press, 1992. 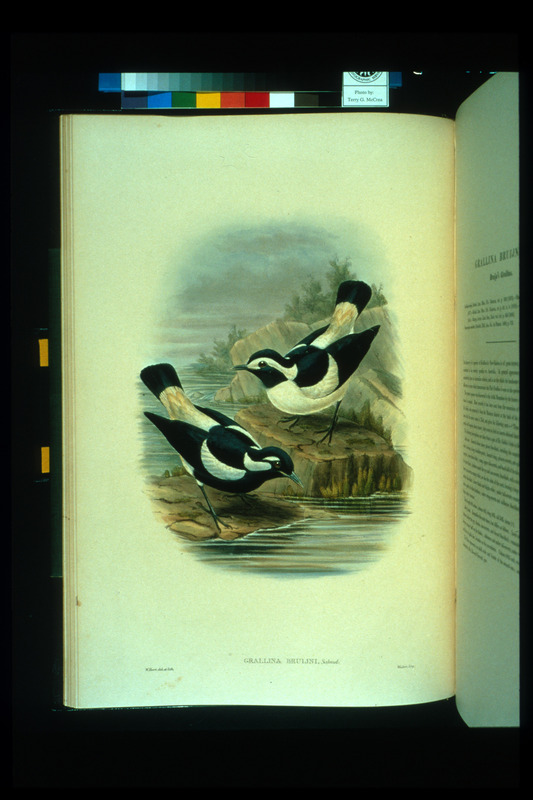 This book is unique in the Smithsonian Libraries collections in its artistic portrayals of many birds of the Chesapeake Bay. The author, a naturalist who lives along the shores of the bay, recorded much about the habits of these and other birds for more than 30 years. 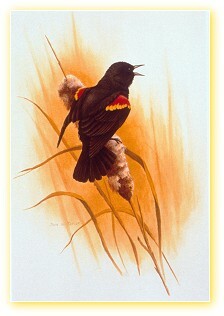 Taylor’s ornithologically accurate, full-color drawings depict rarely seen birds that inhabit the area. 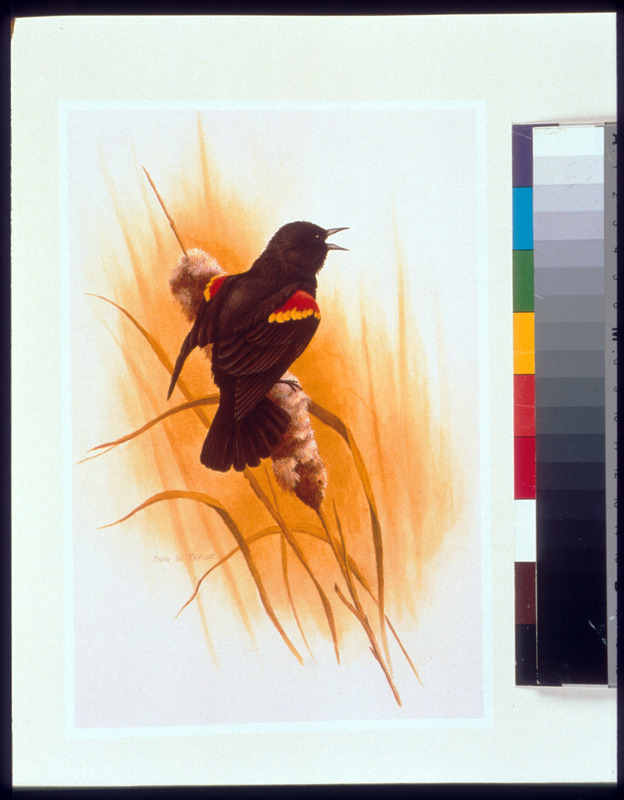 With each drawing, Taylor gives a natural history of the bird, the effects of encroaching development, and efforts to maintain the bird’s habitat. Boston: Ticknor and Fields, 1854. 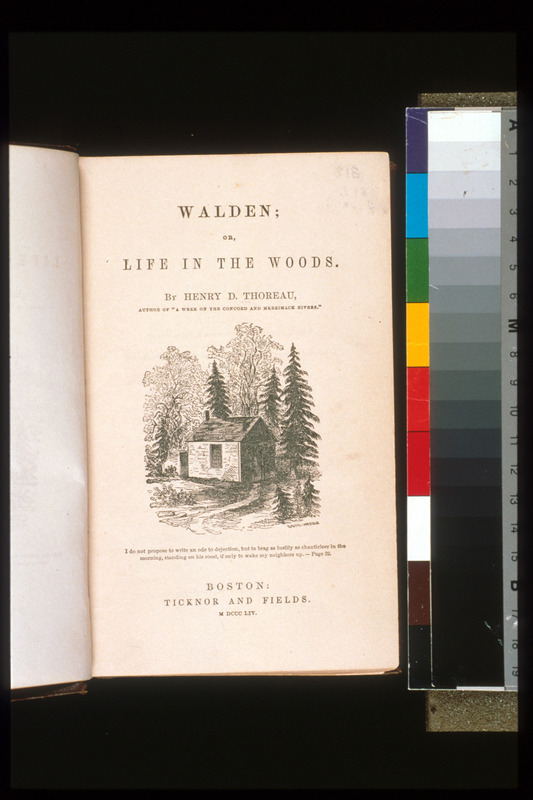 Embraced as a precursor to the modern environmentalist movement, Thoreau’s work emphasizes an appreciation of nature for itself rather than as a resource to be exploited -- a sharp departure from the prevailing economic and religious views of the period. 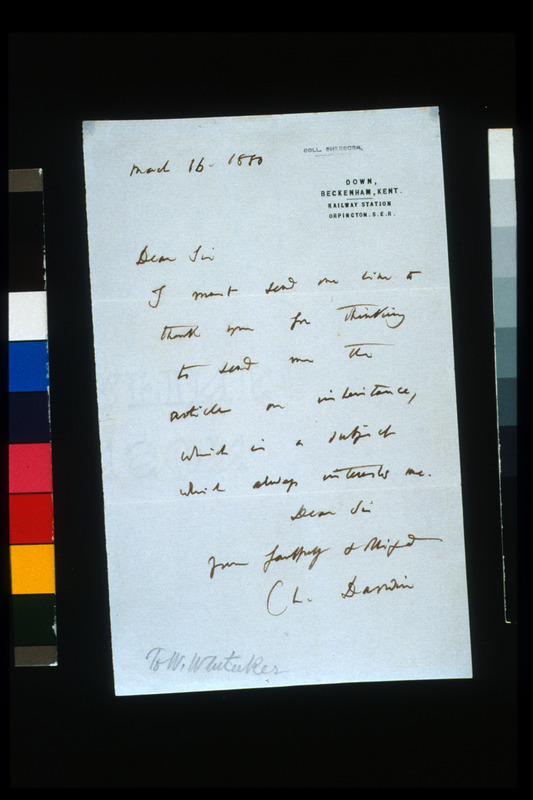 Thoreau inscribed and gave this copy to Spencer F. Baird, a young natural scientist who had been selected just a few years earlier as an assistant secretary for the museum of the newly founded Smithsonian Institution. 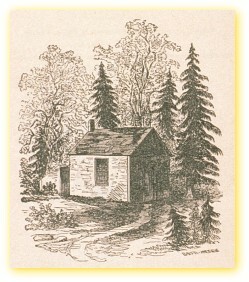 Baird had been introduced to Thoreau by Ralph Waldo Emerson in 1847. 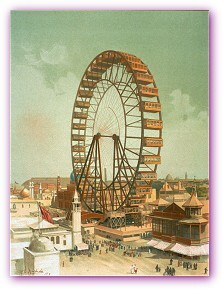 New York: Scribner, Armstrong, 1874. 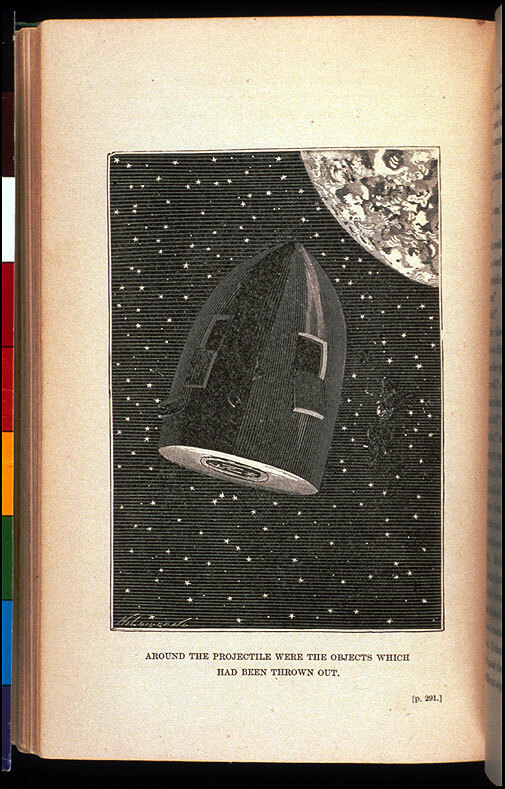 Long before men entered space, writers and artists imagined such expeditions. 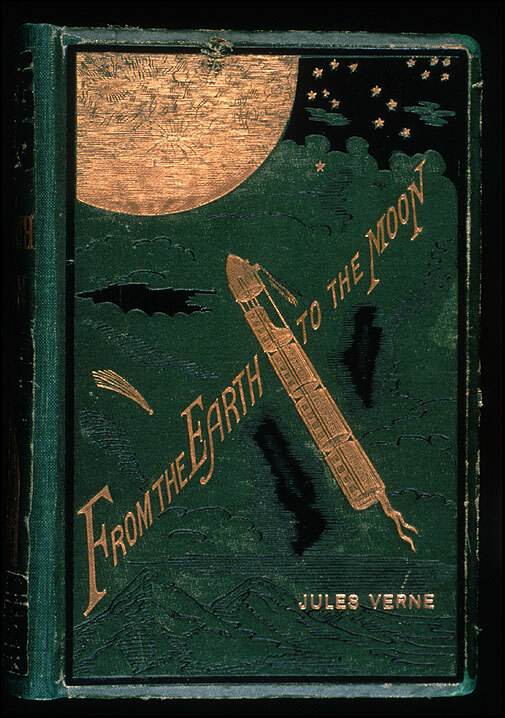 Jules Verne’s classic science-fiction work on space flight first appeared in English in 1874. 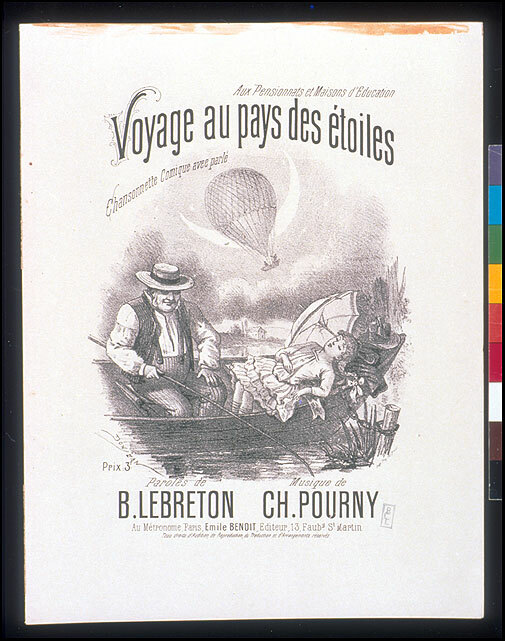 His novel remains of interest not only to researchers studying the cultural history of space flight but also to bibliophiles comparing the various editions of Verne’s books. 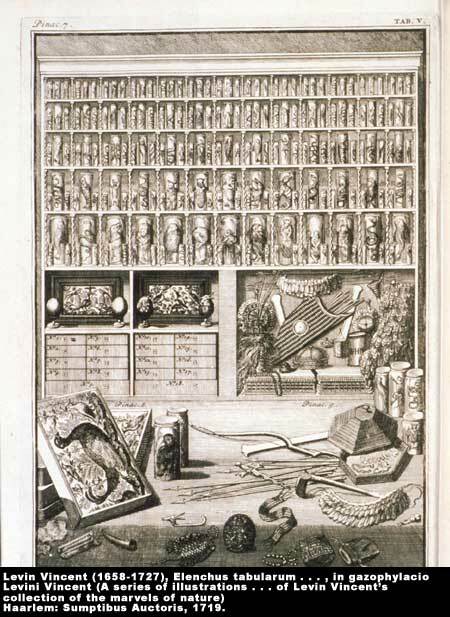 In the spirit of exploration and inquiry that began to emerge in Europe in the late 1500s, individuals of means took to assembling collections of curiosities. 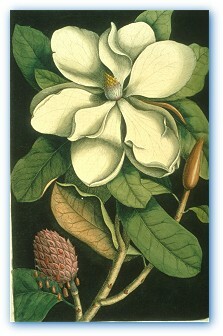 Some served as aids in classifying all known plants and animals. 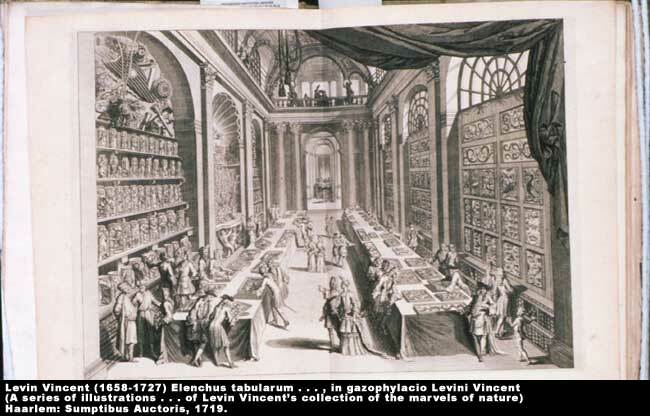 Among its varied holdings, the natural history collection of Dutch merchant Levin Vincent contained animals preserved in alcohol, skeletons and skins, and plants dried and pressed on paper. 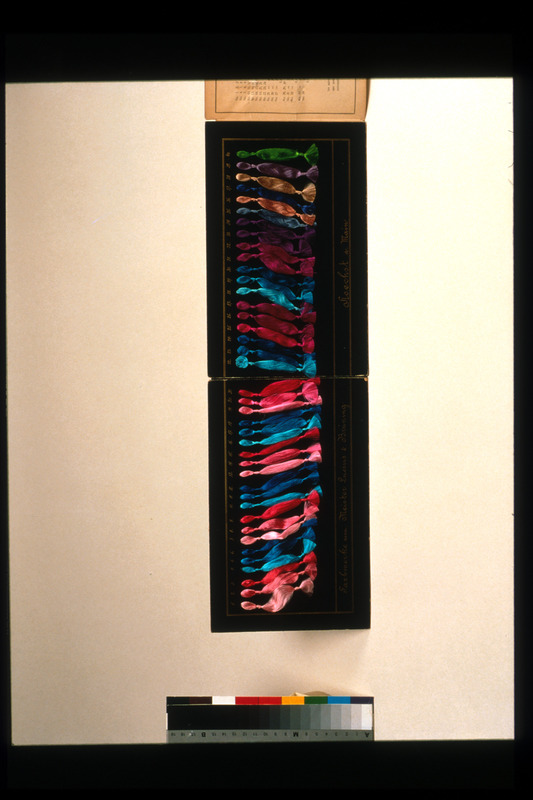 These same items, as well as books, remain the core materials of taxonomy and systematics, fields of research that continue today at the Smithsonian. 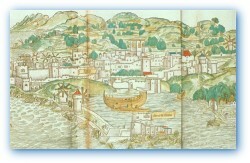 Breydenbach’s account of his 1483 pilgrimage to the Holy Land is thought to be the first printed travel book to contain illustrations. 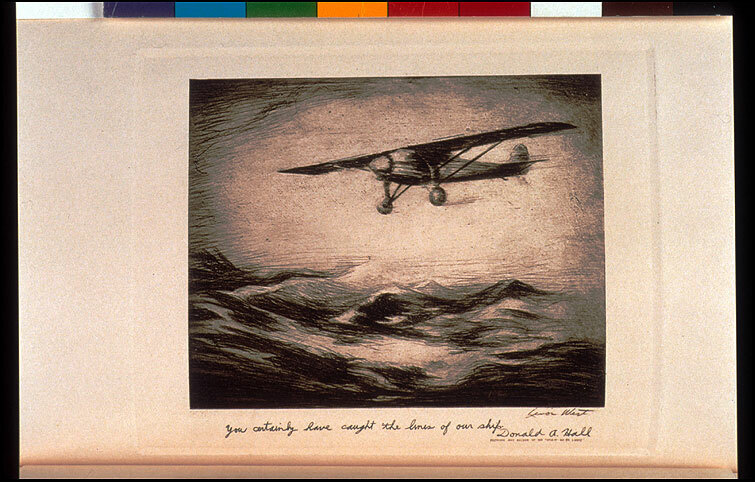 Fellow traveler Erhard Reuwich, the first painter known to have published a book, created its fine hand-colored woodcuts. 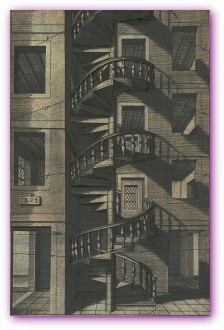 His illustrations include the first use of panoramas to depict cities. 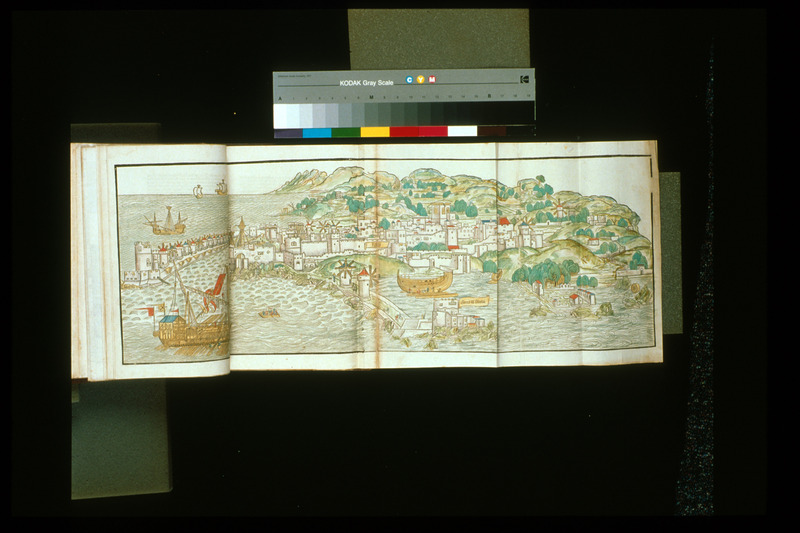 Panoramas, enlivened by great detail, became a popular illustrative form in early printed books. 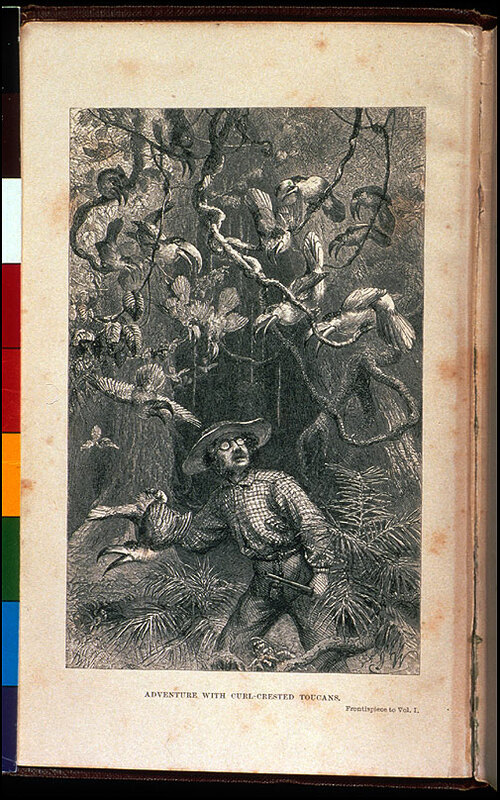 Narrative of the United States Exploring Expedition . . .
Philadelphia: Lea and Blanchard, 1845. 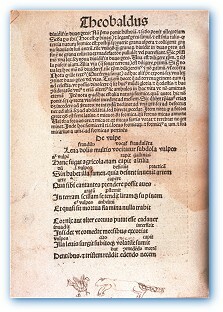 5 vols. and atlas. By the 1830s, the United States determined to assert itself in the economic and scientific exploration of the Pacific, including the western coast of North America. Lt. Charles Wilkes, U.S. Navy, led the first official scientific expedition to the region in 1838. 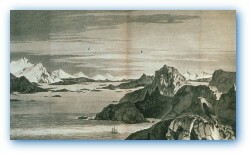 Navigators and hydrographers, along with scientists, naturalists, and artists, explored areas from Alaska to Antarctica for five years. 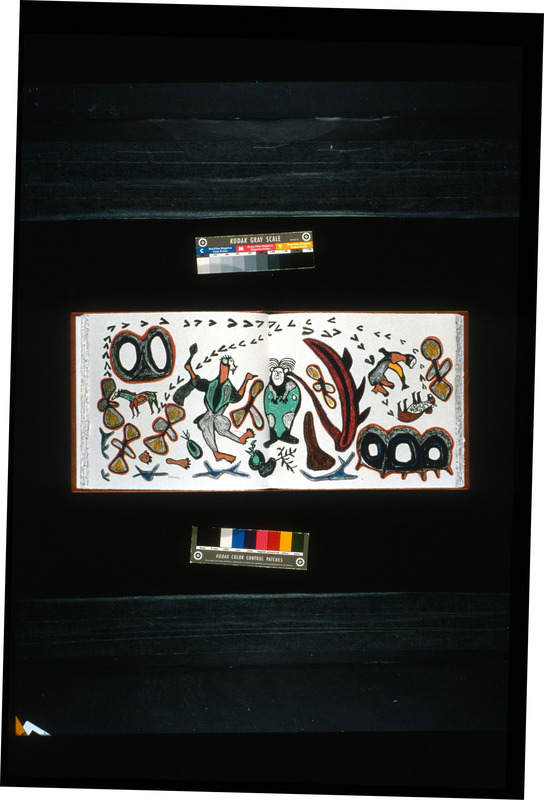 The materials they collected are preserved at the Smithsonian’s National Museum of Natural History and are still invaluable for the study of the peoples, animals, plants, and geography of the eastern Pacific. 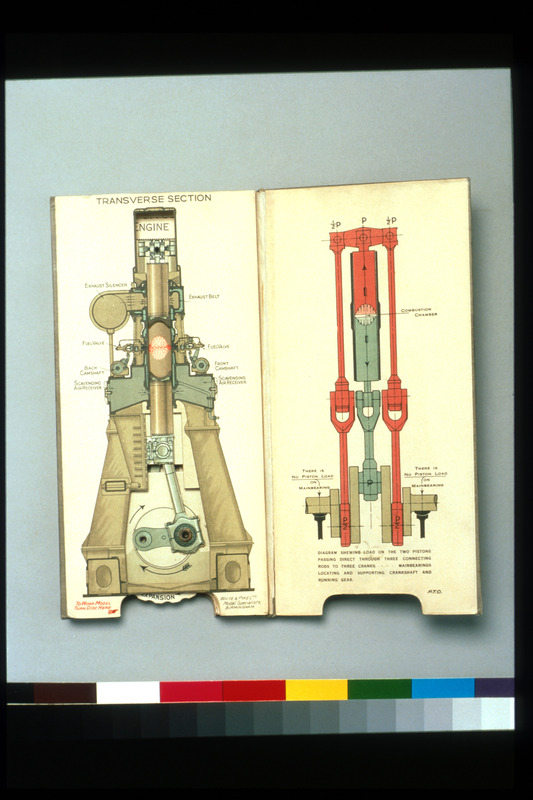 William Doxford and Sons, Ltd.
Shipbuilders and marine engineers, William Doxford and Sons developed the opposed piston marine oil engine. 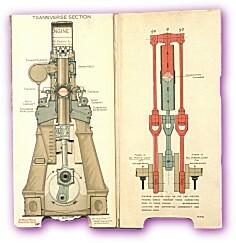 To illustrate its unusual operation, the firm devised this paper-and-board model with moveable pistons and levers. 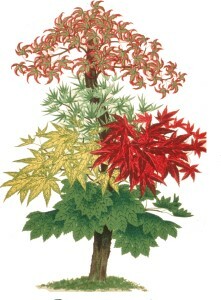 The Yokohama Nursery, with offices in New York and Japan, was one of the largest suppliers of Japanese plants and bulbs to the Western nursery trade. 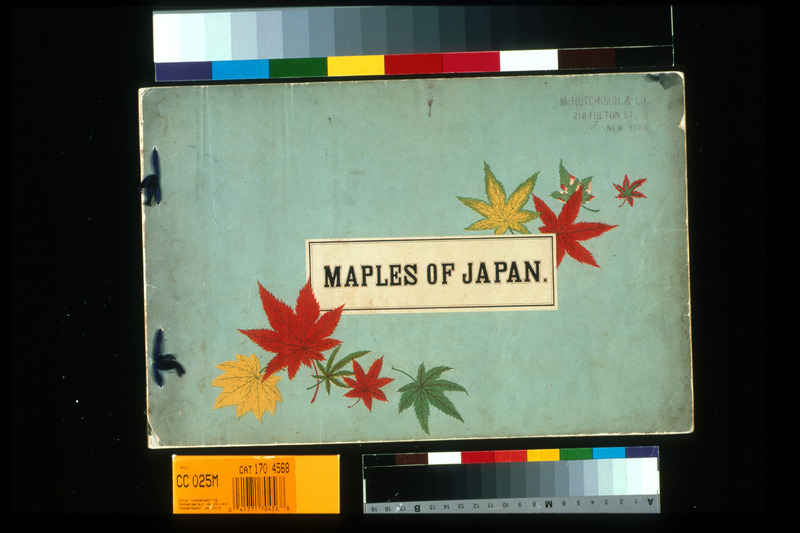 With pochoir stencil illustrations effectively presenting the vivid colors of leaves, the Yokohama export catalogs created much of the early interest in Japanese maples in the United States. 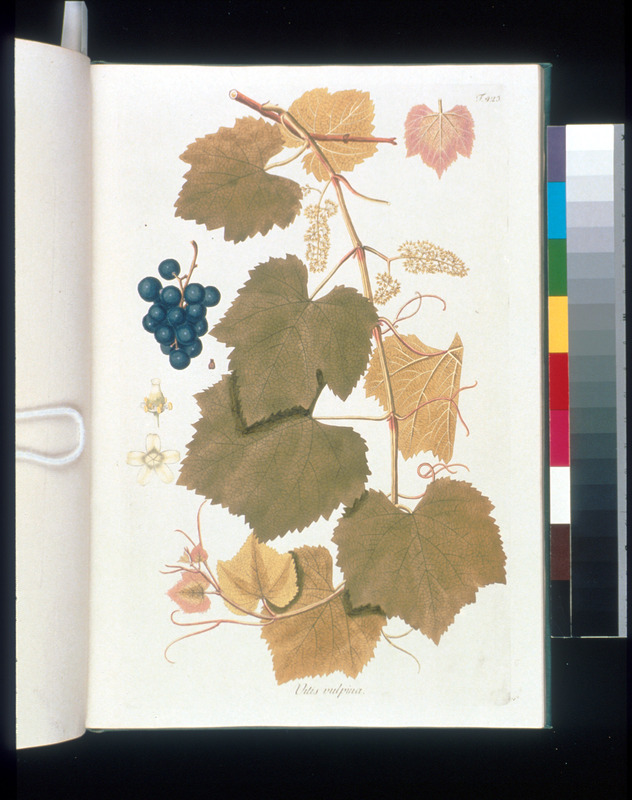 The Smithsonian Libraries horticulture collection , strong in 19th-century landscape design and garden practice, is augmented by garden furniture and other items related to the florist trade. Smithsonian horticulturists maintain period gardens and complementary plantings around every museum. 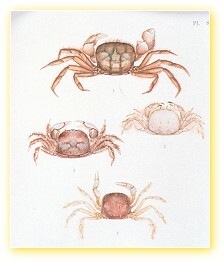 Frankfort: Caspar Merian, 1655-61. 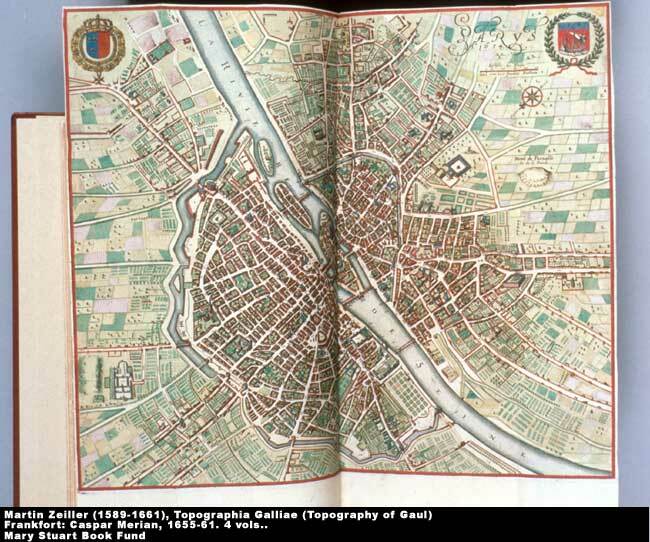 4 vols..
Zeiller, an Austrian cartographer, dedicated this four-volume survey of the provinces and towns of France to its king, Louis XIV. (It was part of an extensive geographic survey of many European countries.) 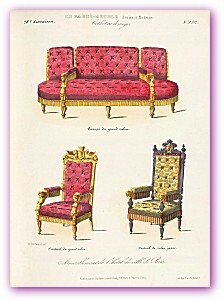 The volume containing his 300 illustrations is one of the period's finest examples of hand-colored engraving. The finely rendered pictures preserve many details of buildings, roadways, and cities that no longer exist or have been significantly altered. 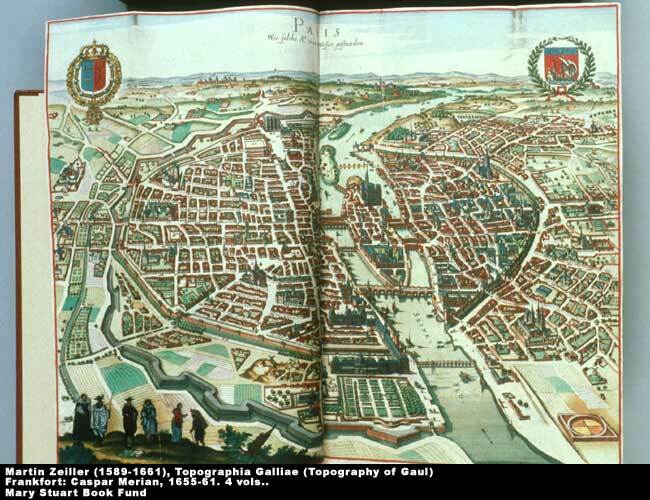 Topographia is an excellent example of the art of the book in 17th-century France and one of the most comprehensive contemporary guides to its cities and structures.